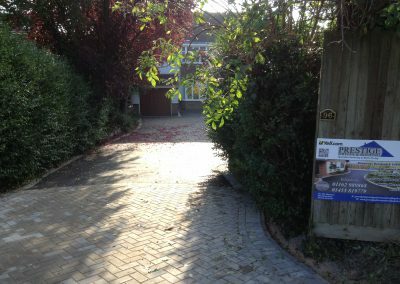 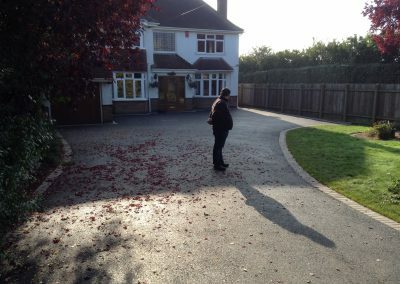 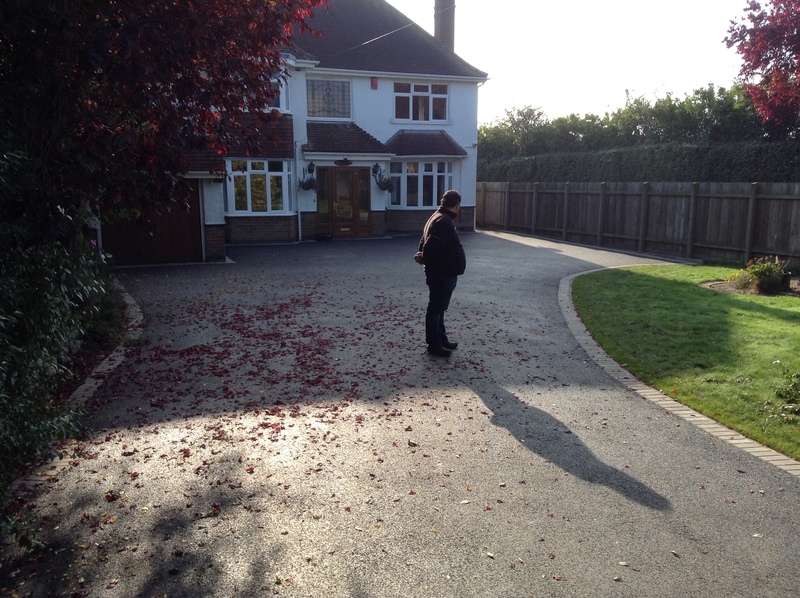 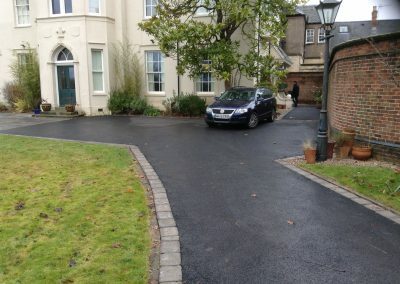 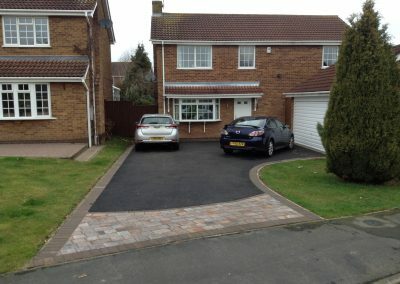 Looking for a new driveway? 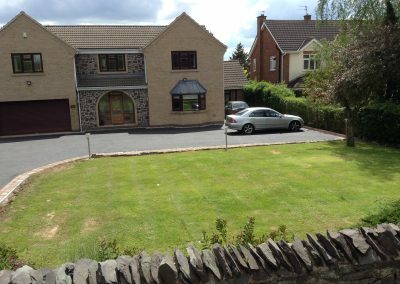 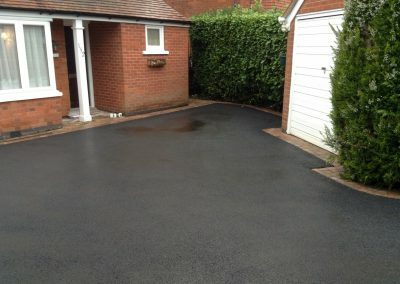 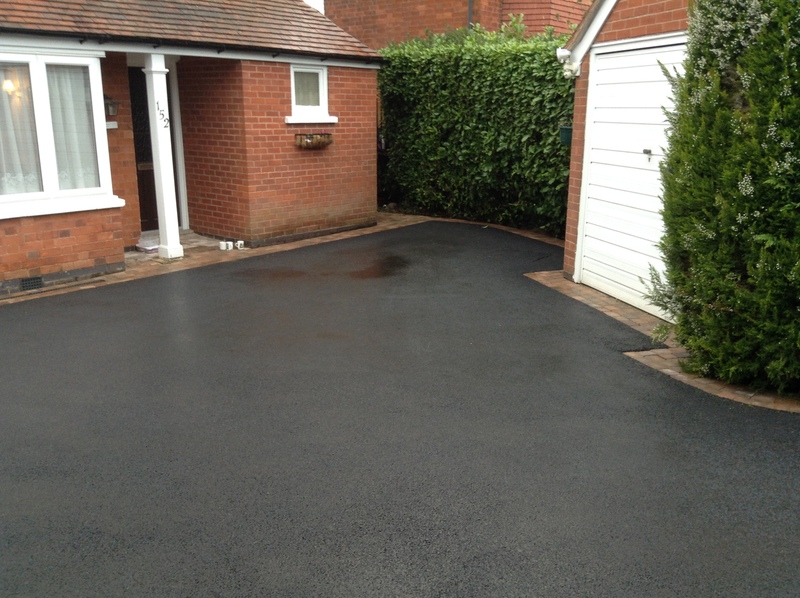 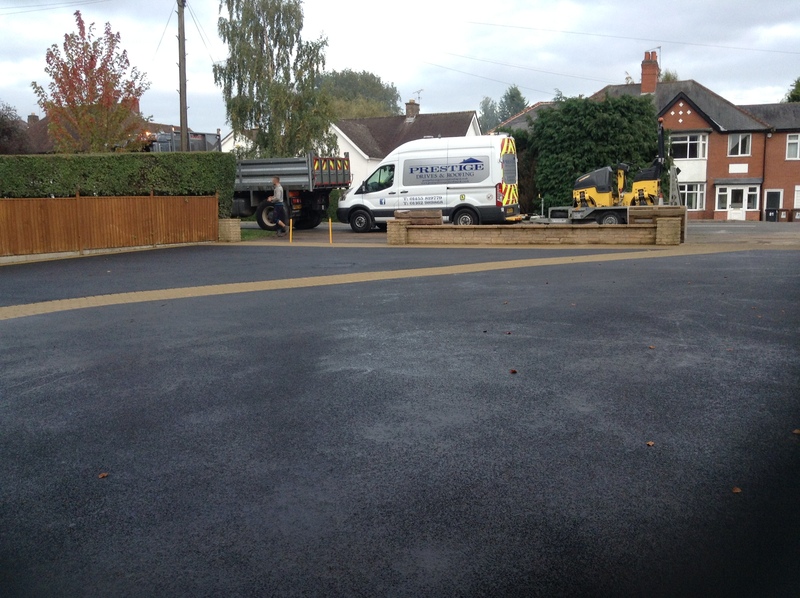 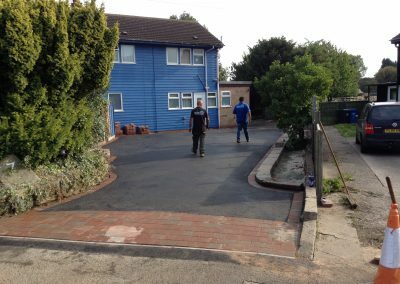 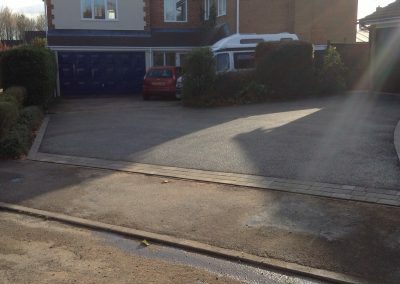 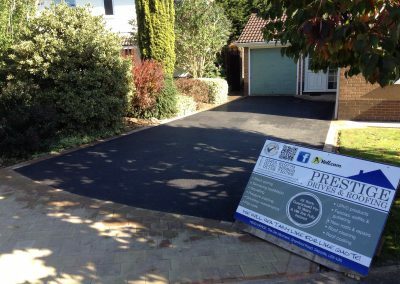 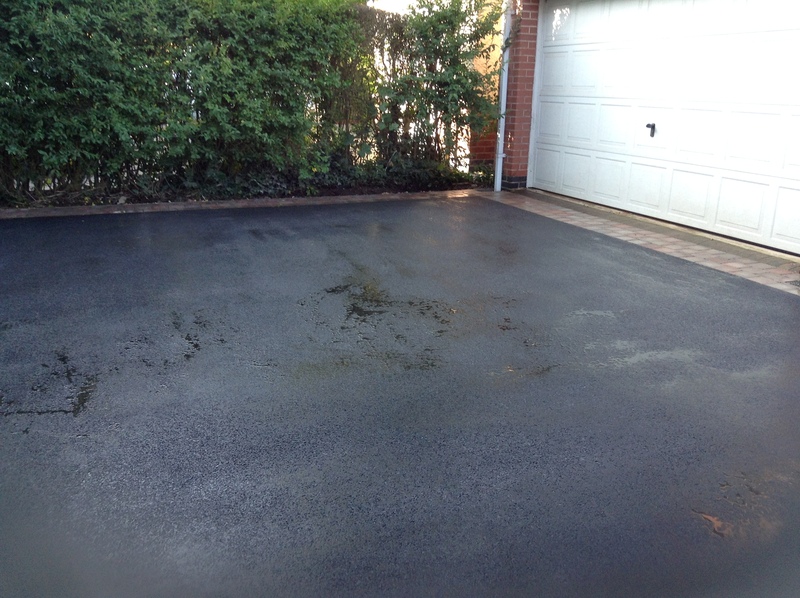 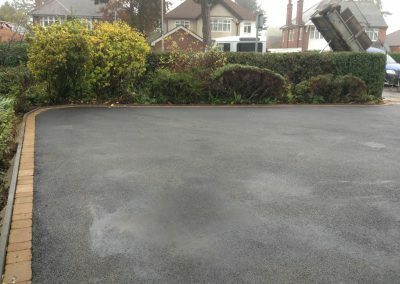 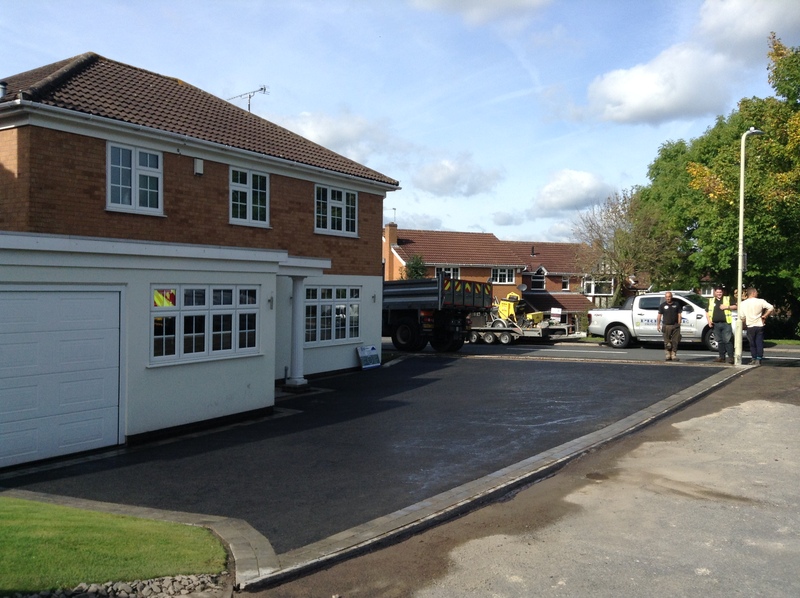 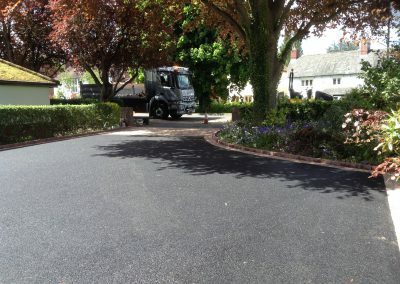 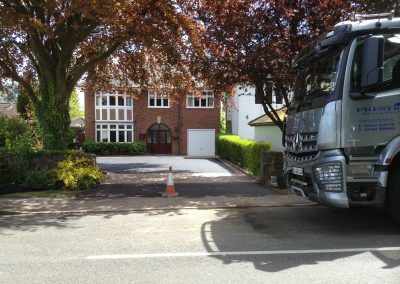 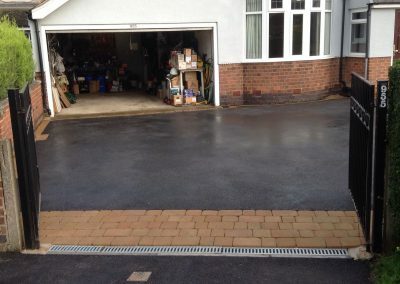 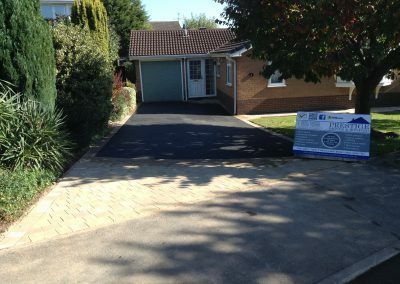 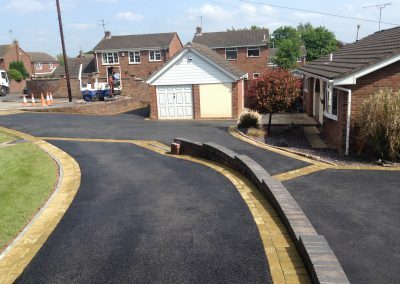 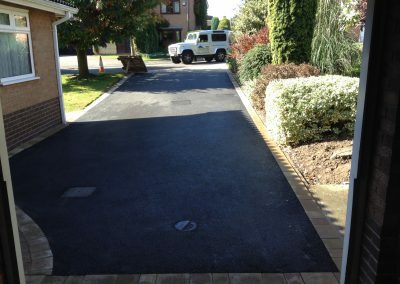 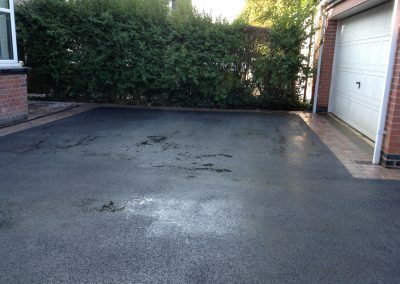 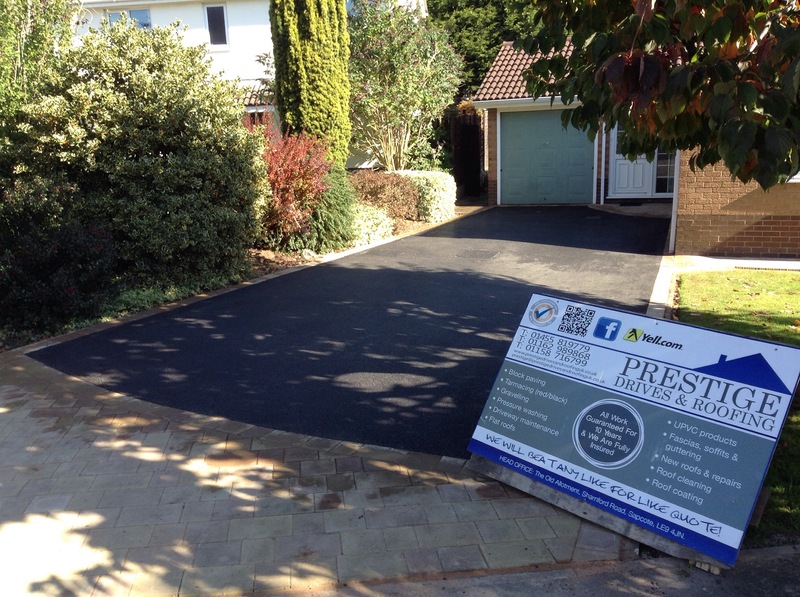 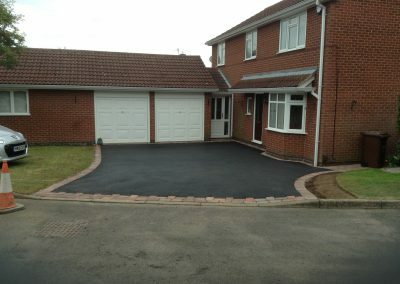 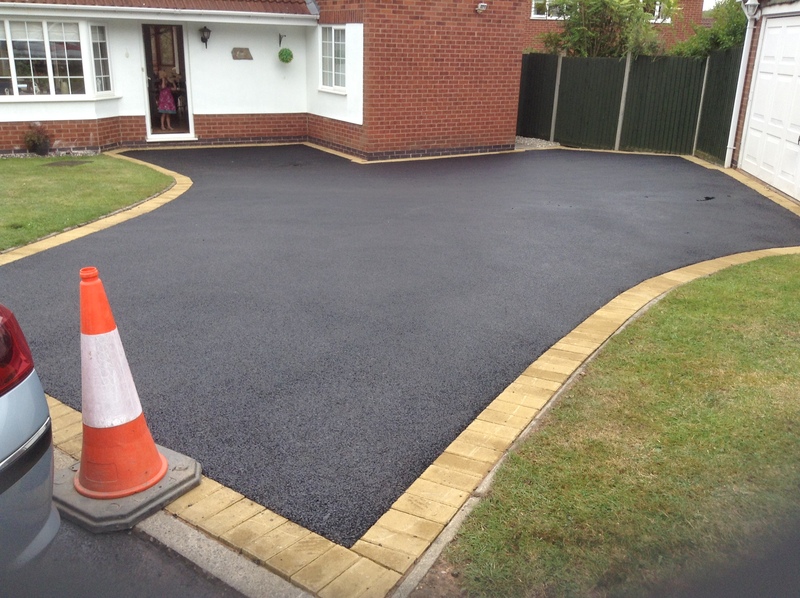 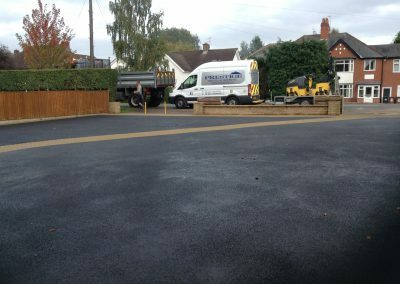 Prestige Drives and Roofing are a local business with over 25 years experience installing high quality driveways in Loughborough. 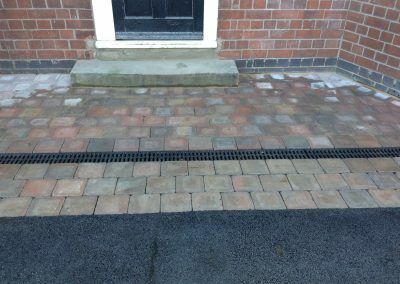 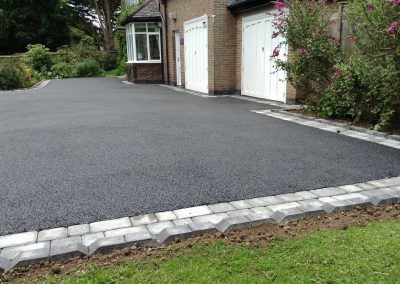 We specialise in tarmac, block paving and resin driveways and they all come with our generous 10 year guarantee and we are backed by TrustaTrader. 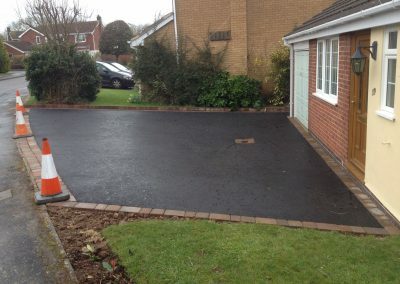 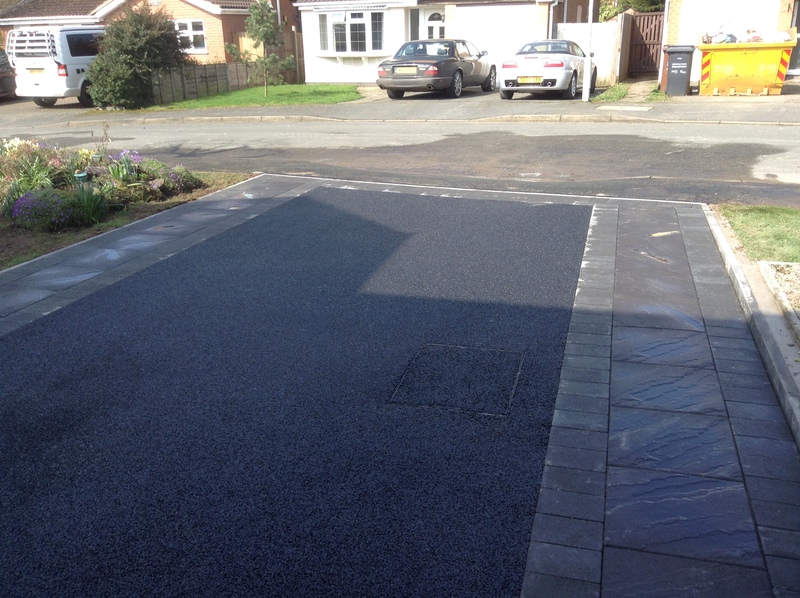 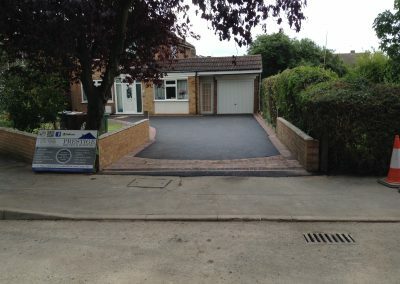 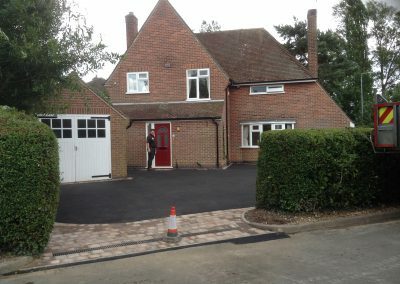 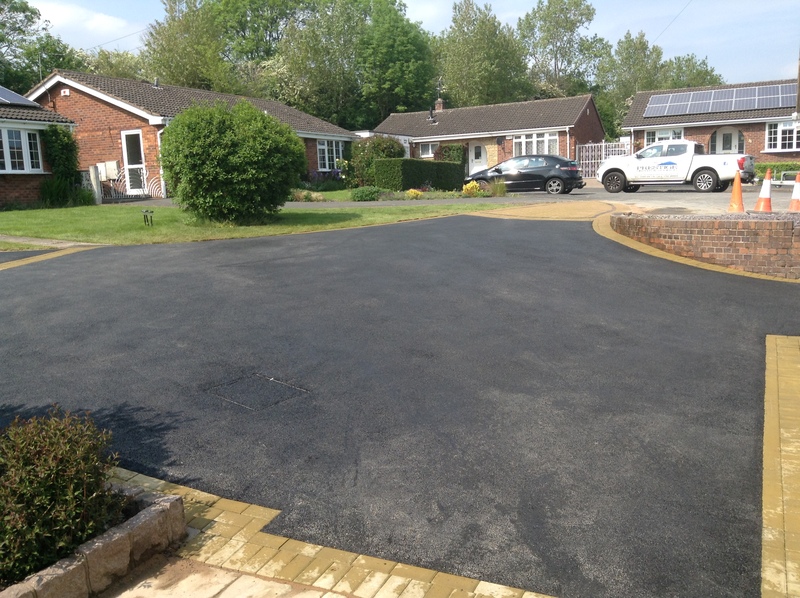 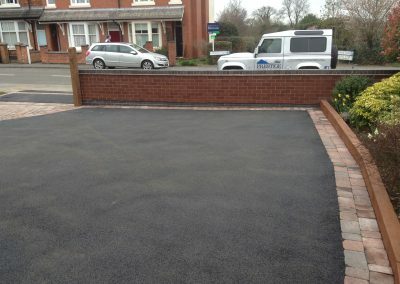 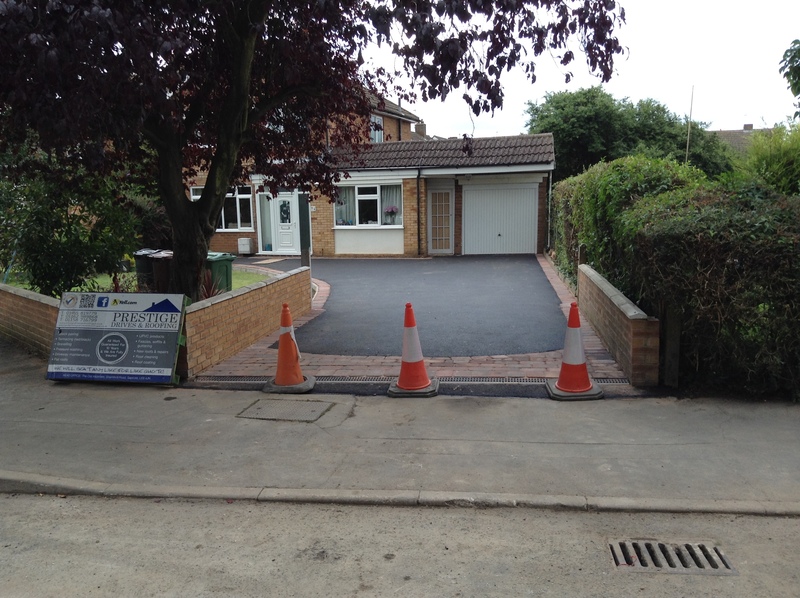 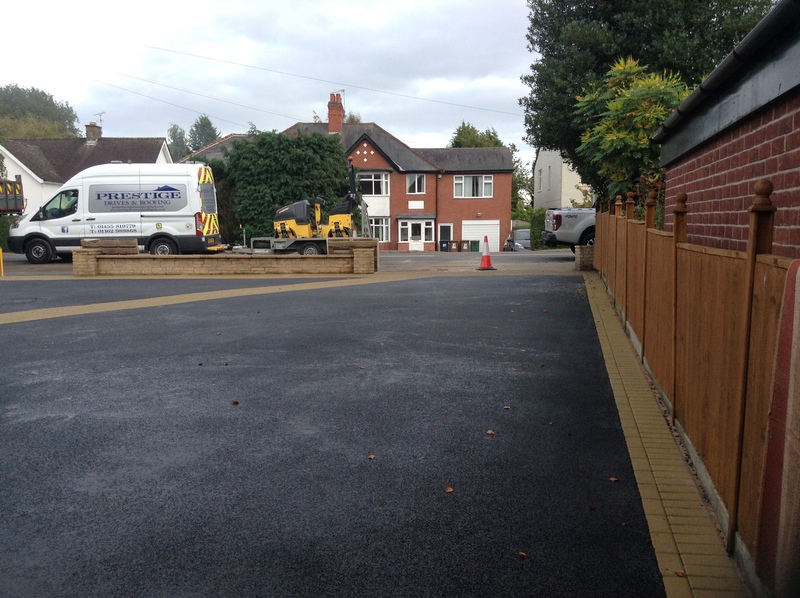 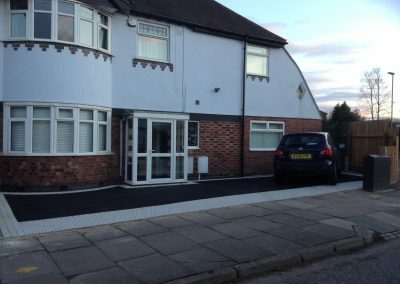 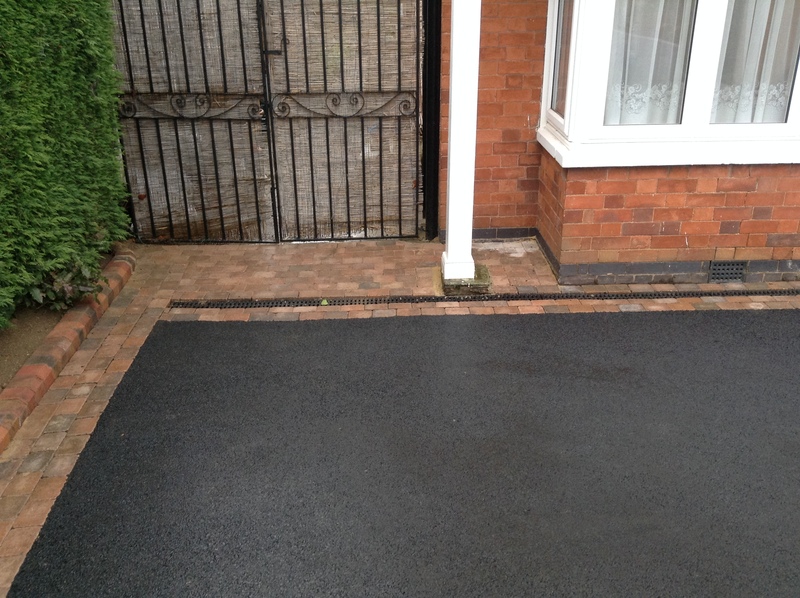 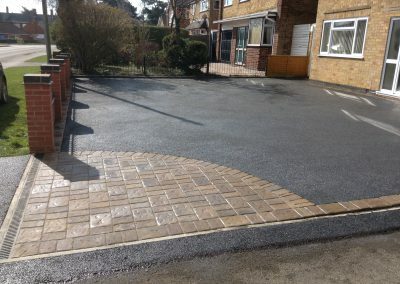 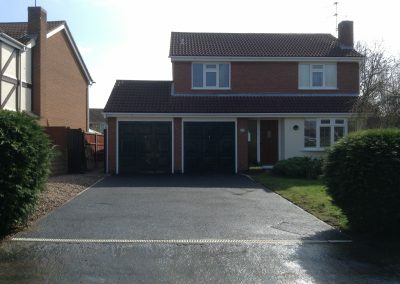 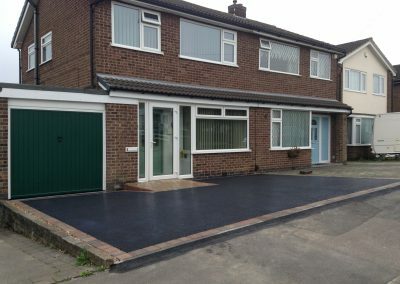 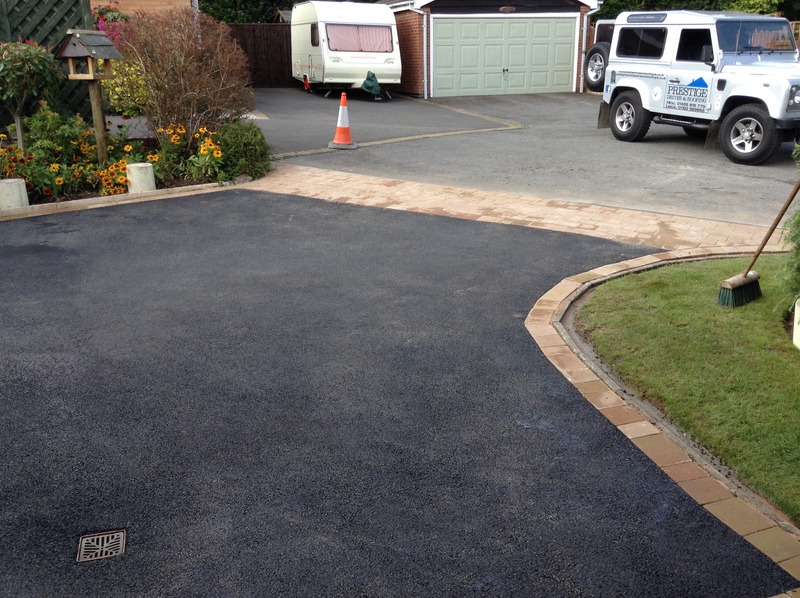 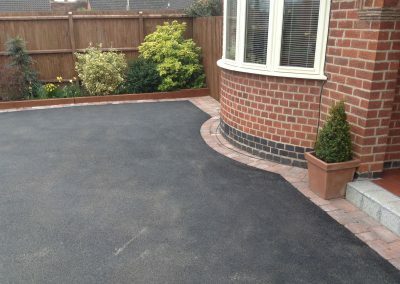 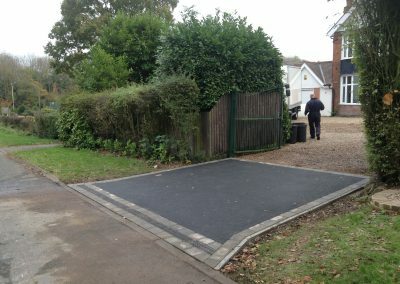 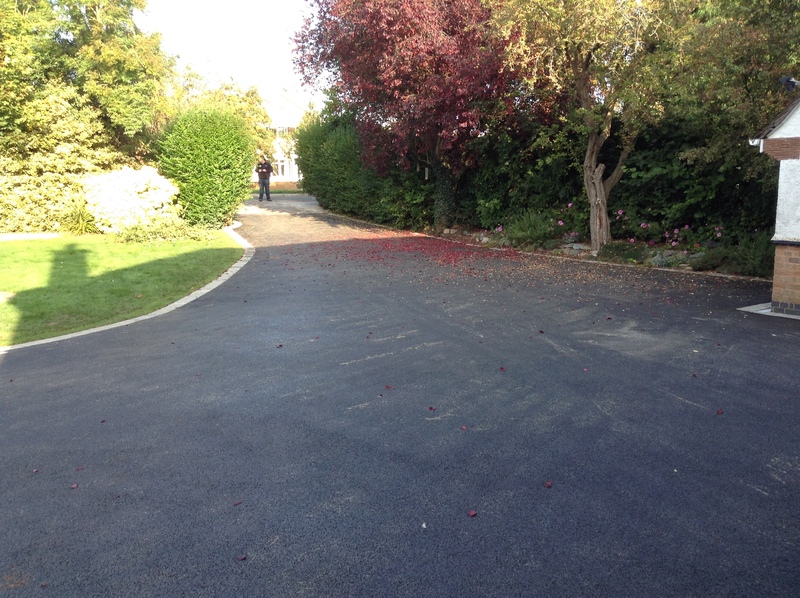 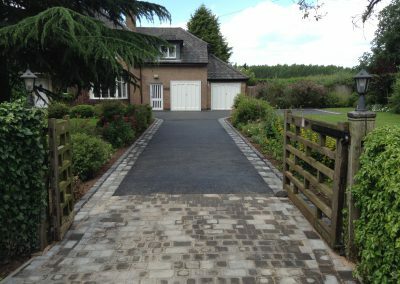 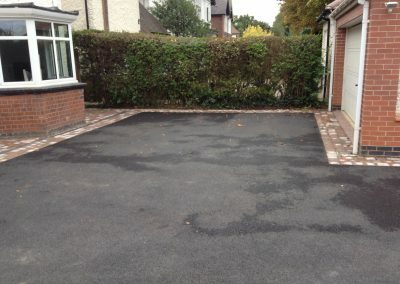 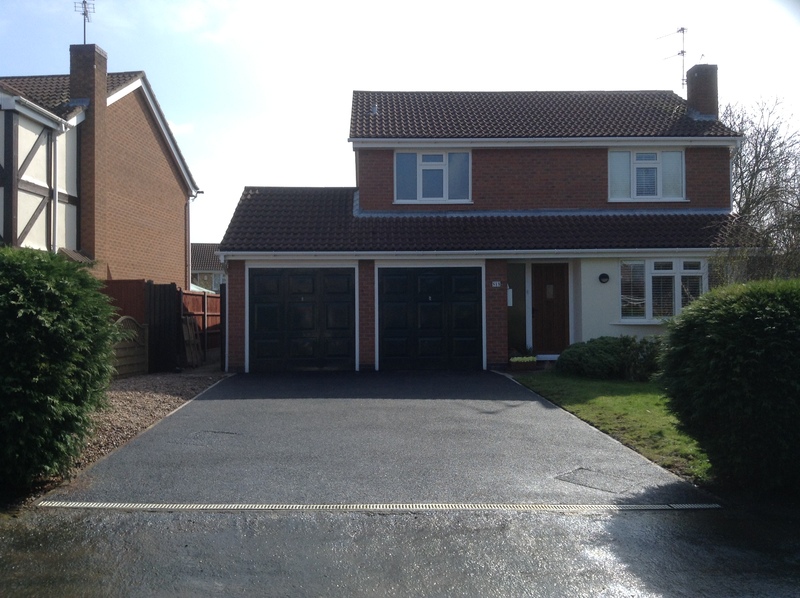 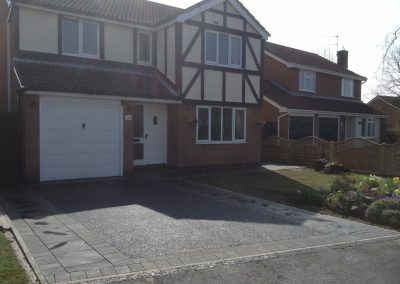 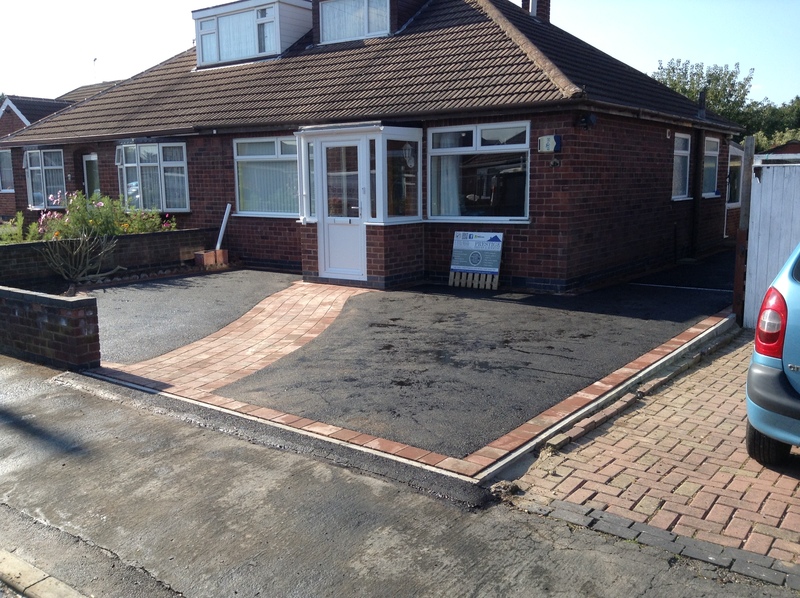 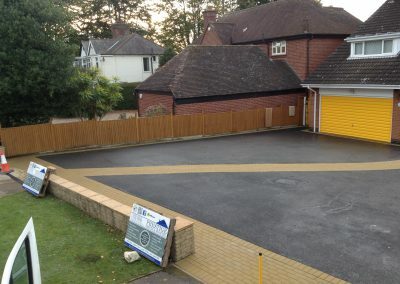 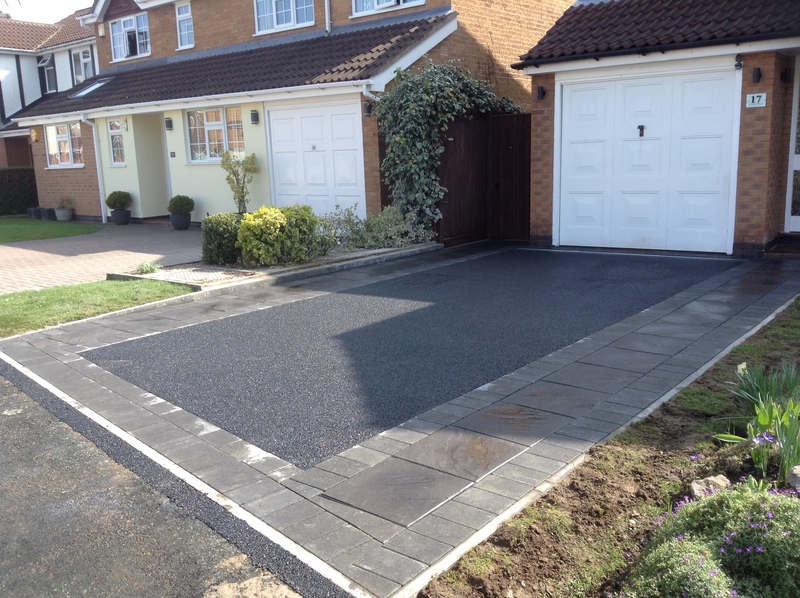 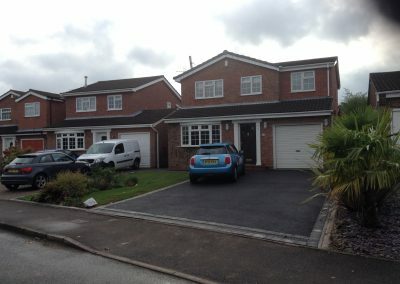 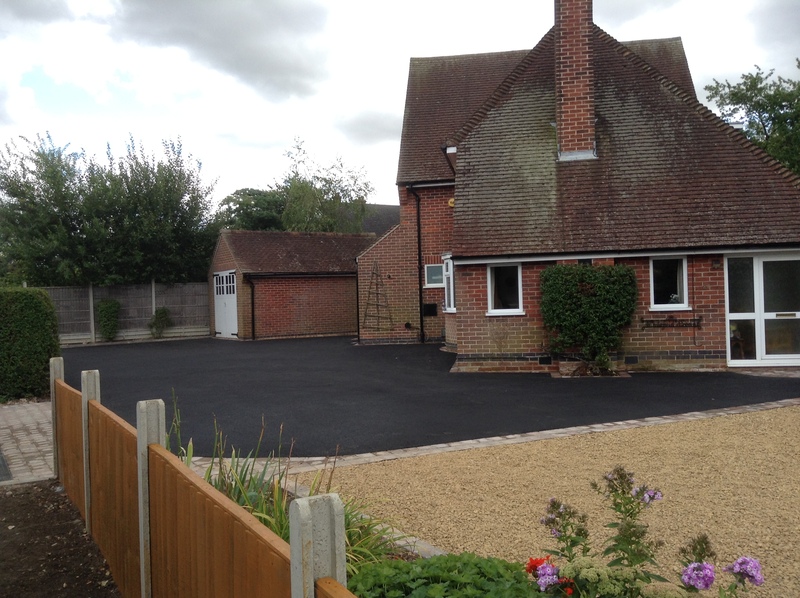 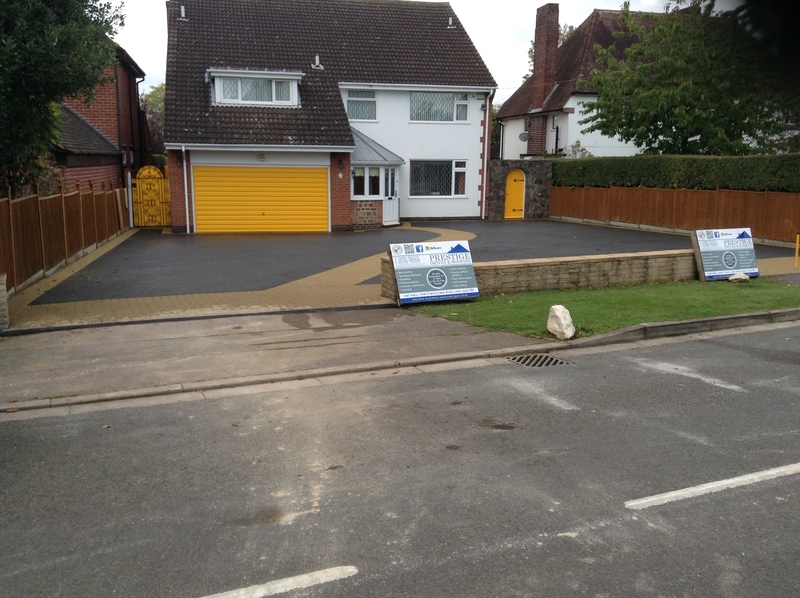 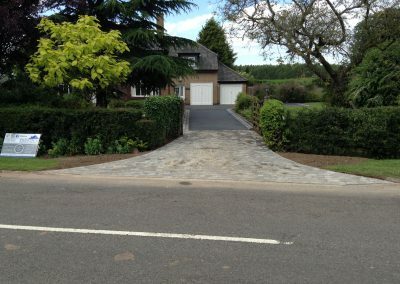 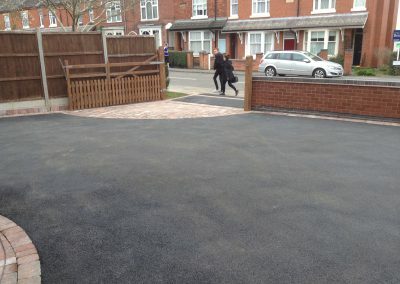 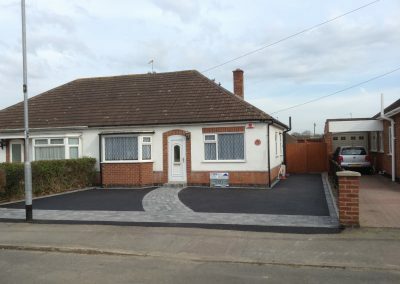 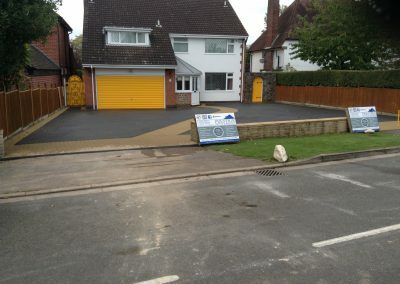 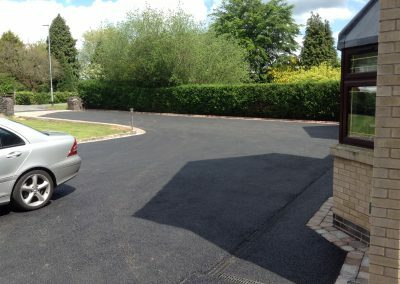 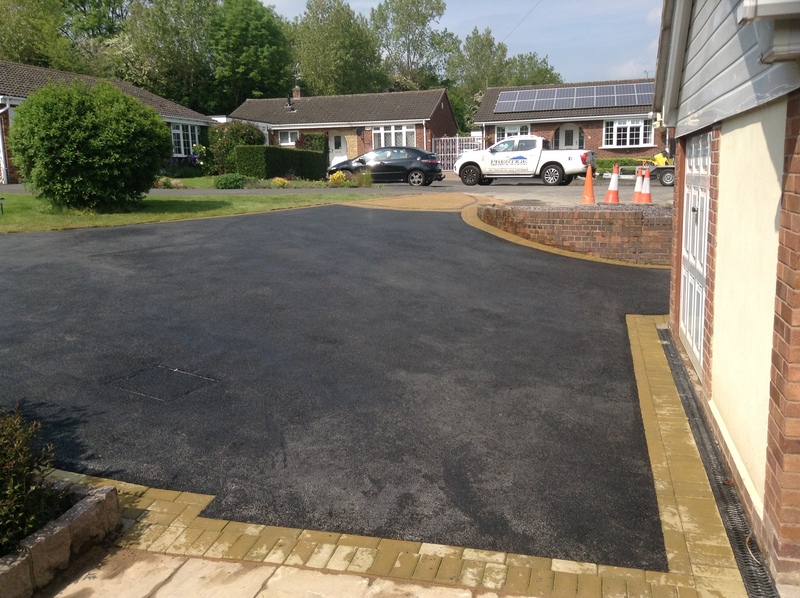 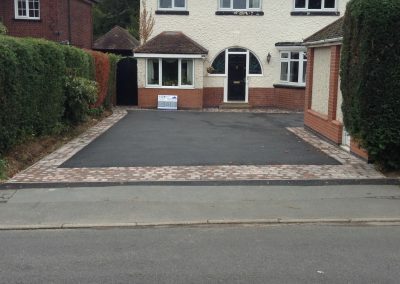 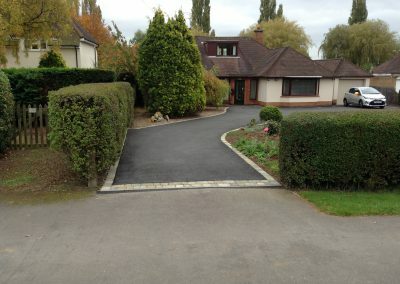 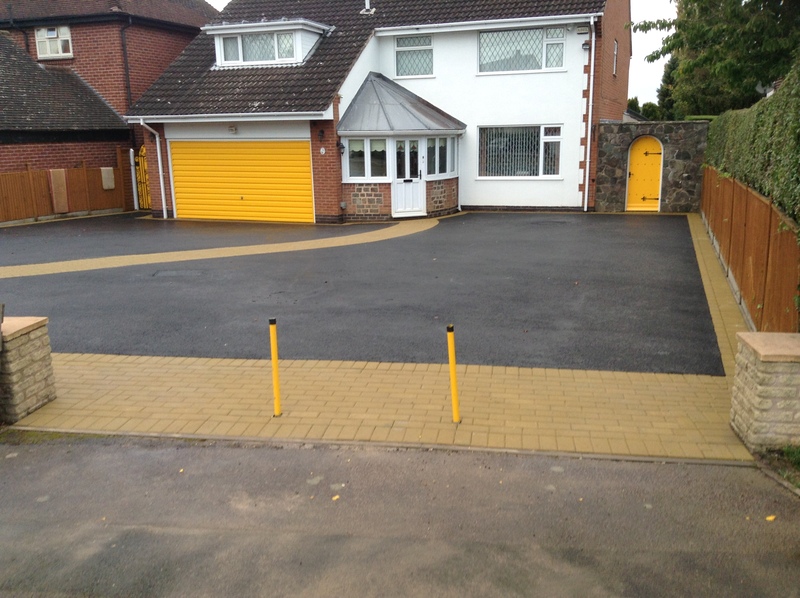 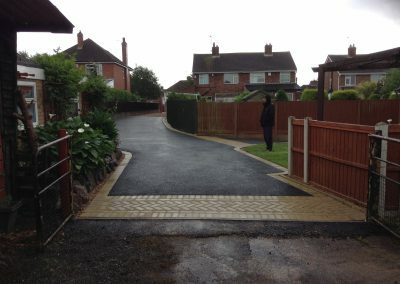 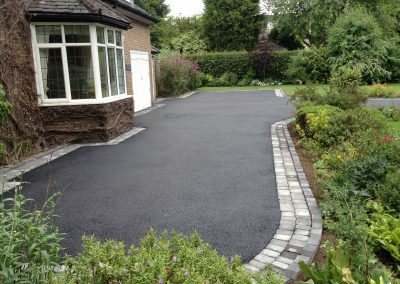 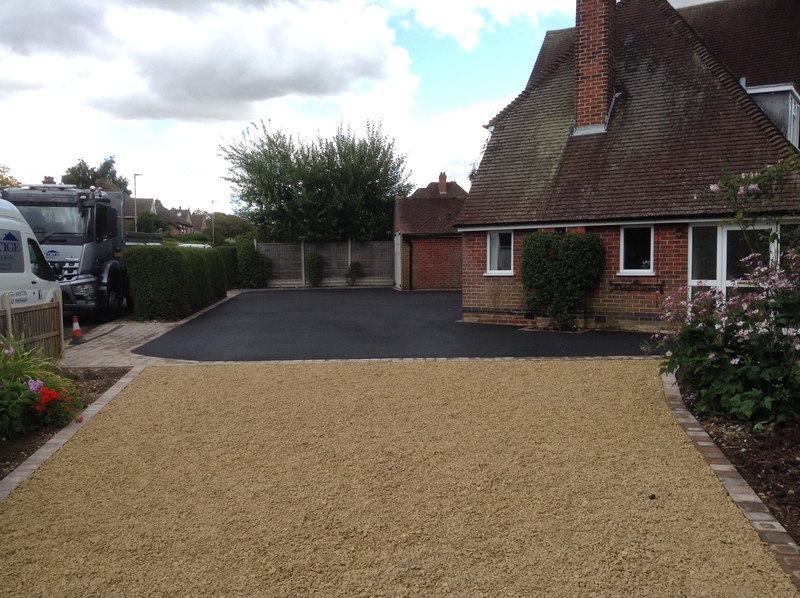 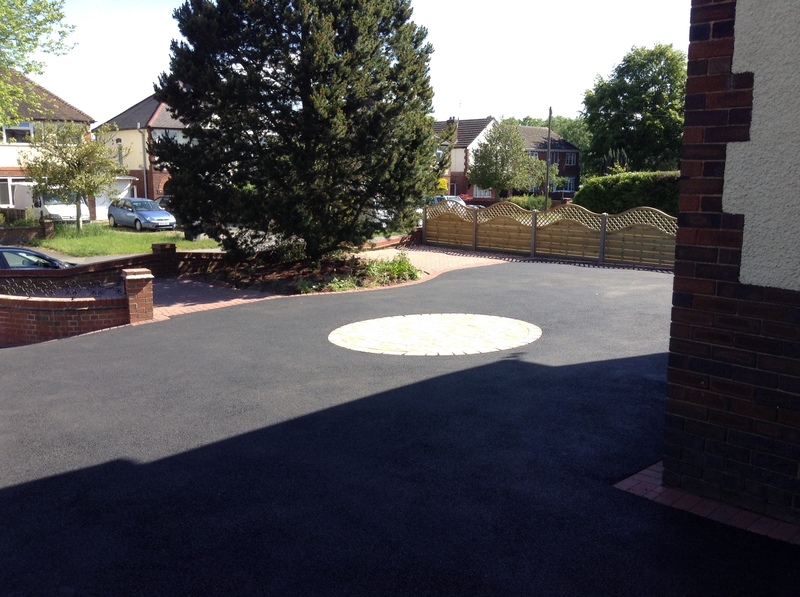 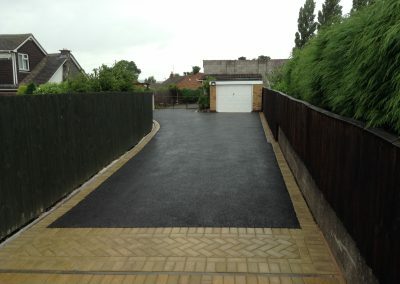 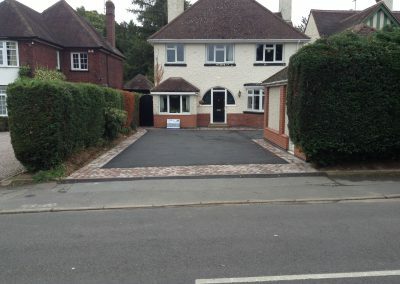 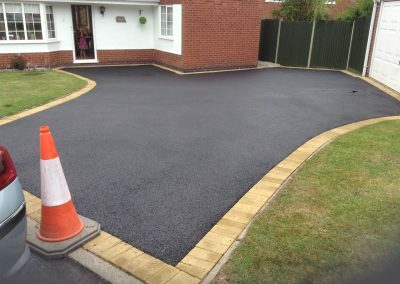 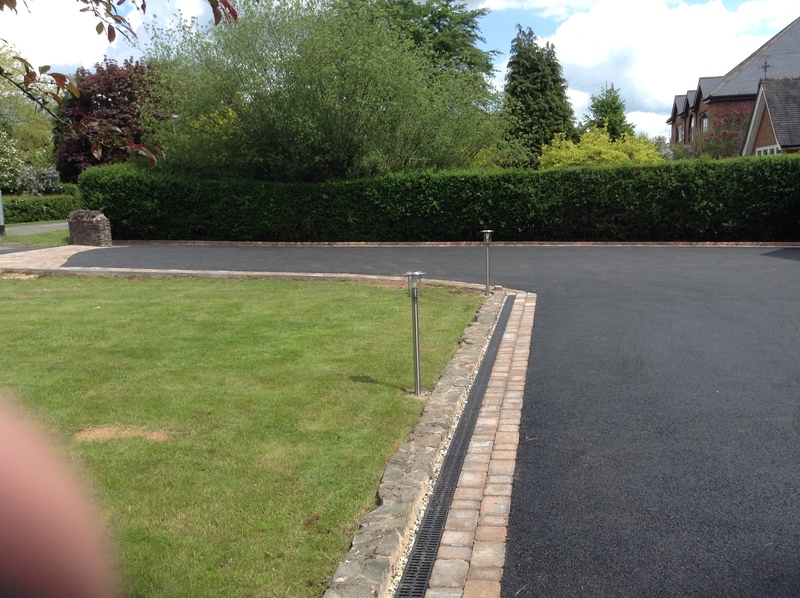 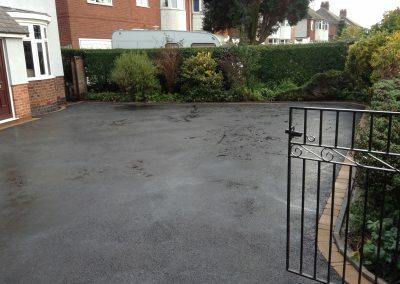 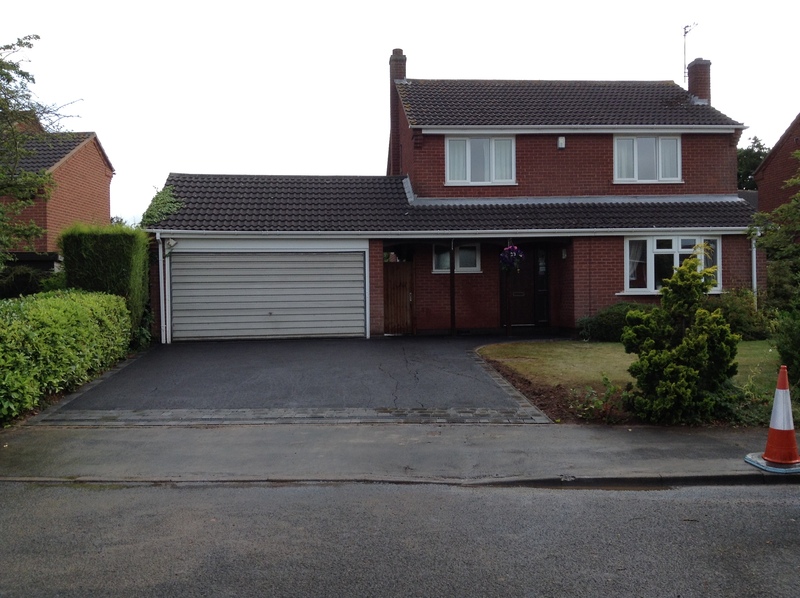 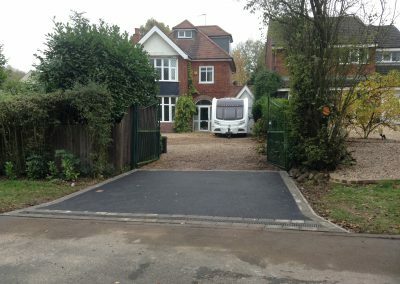 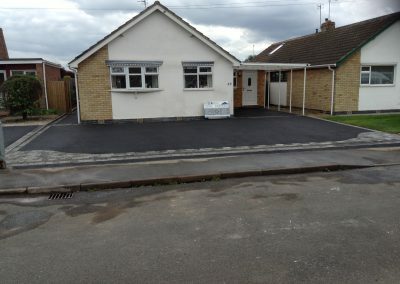 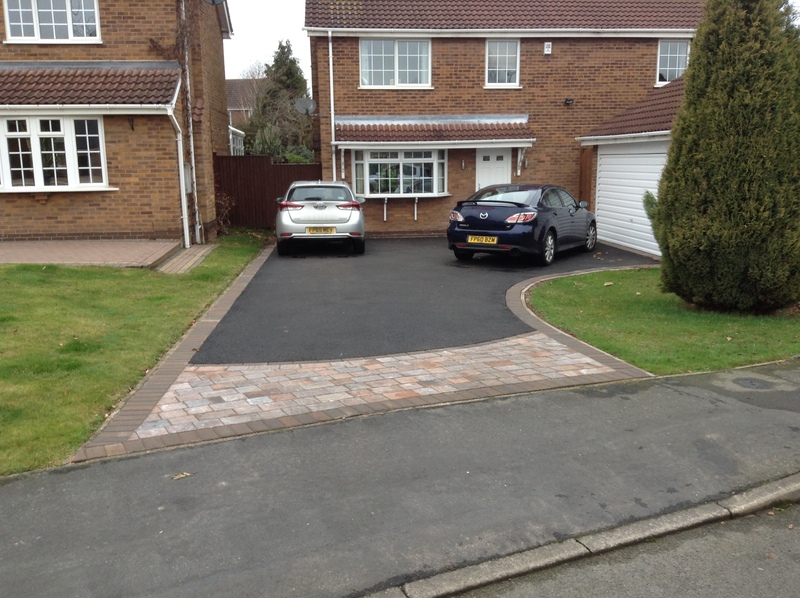 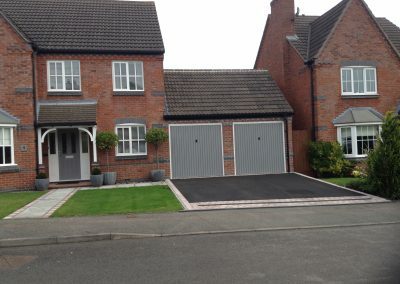 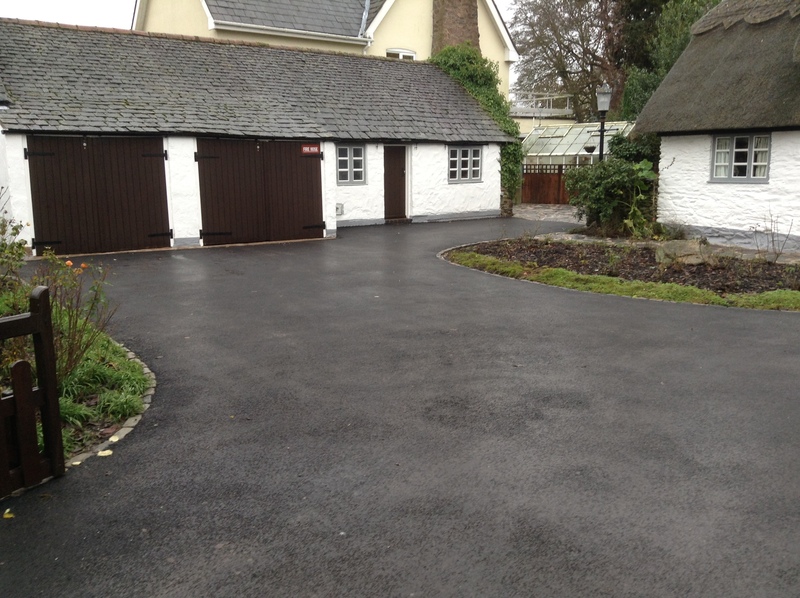 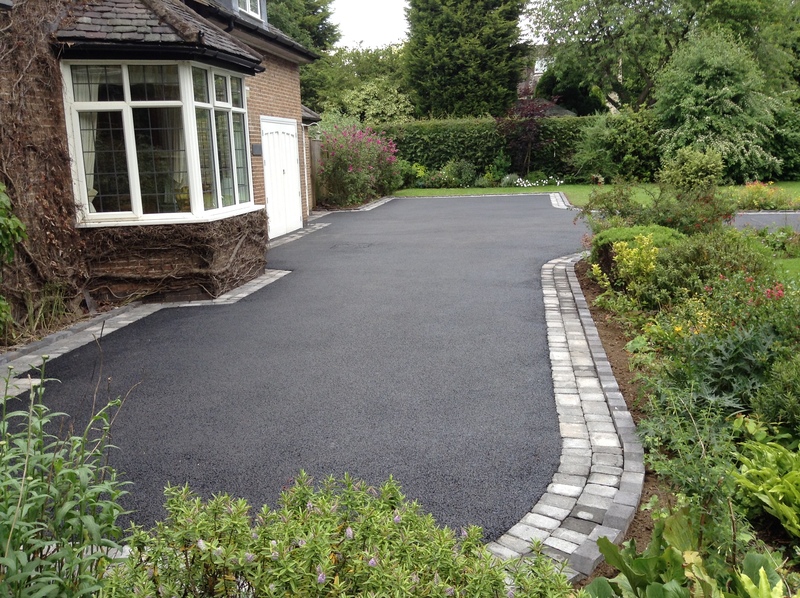 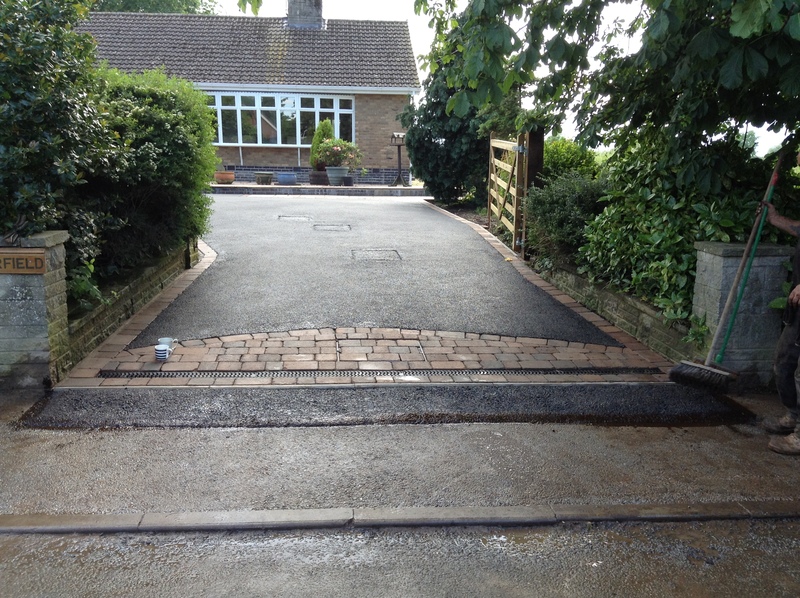 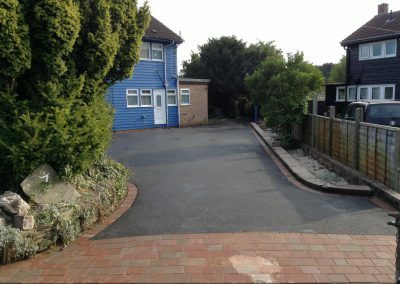 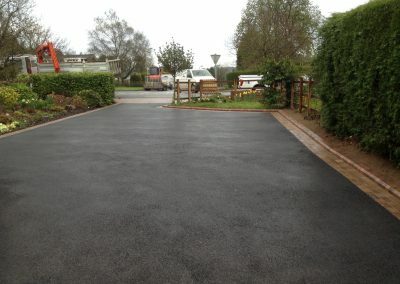 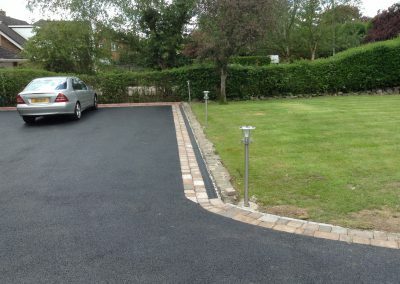 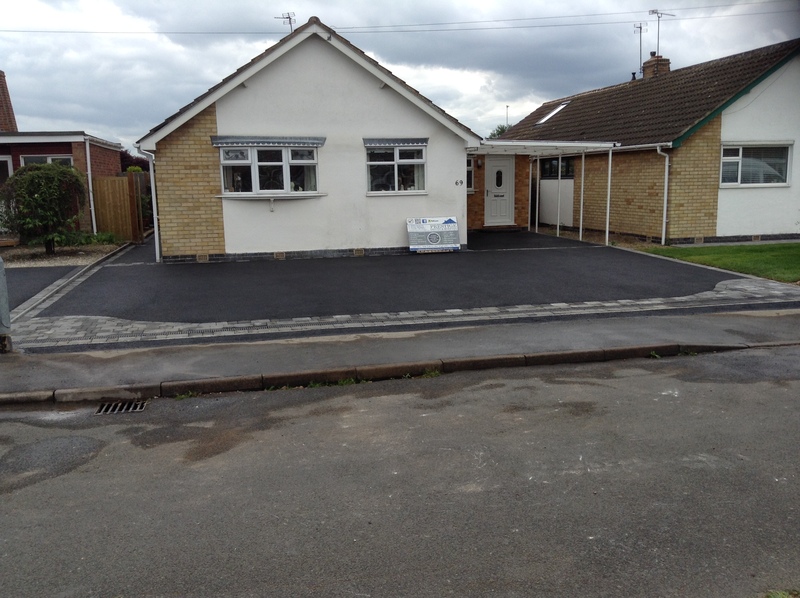 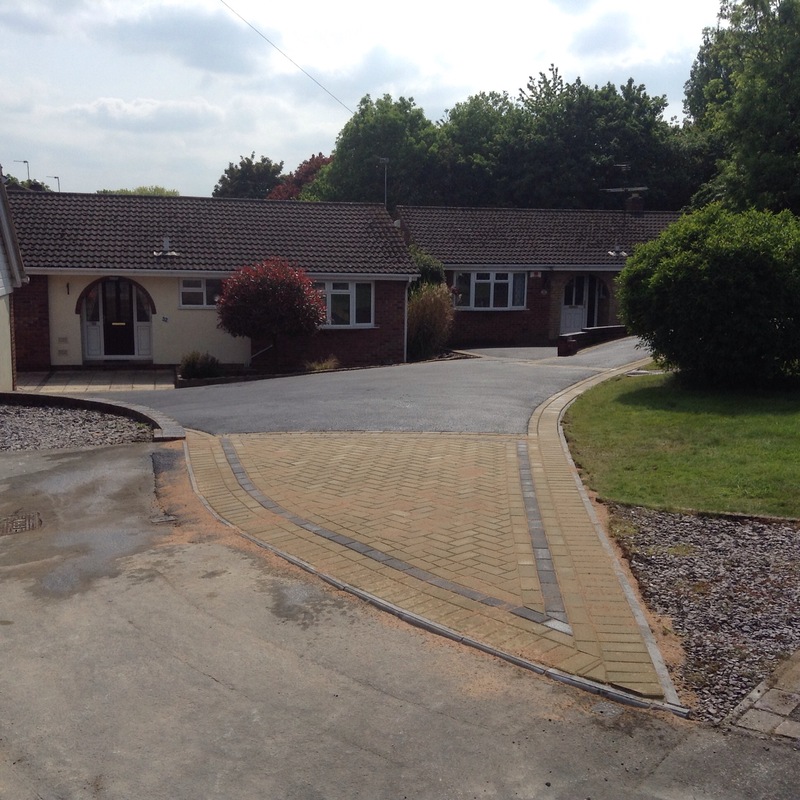 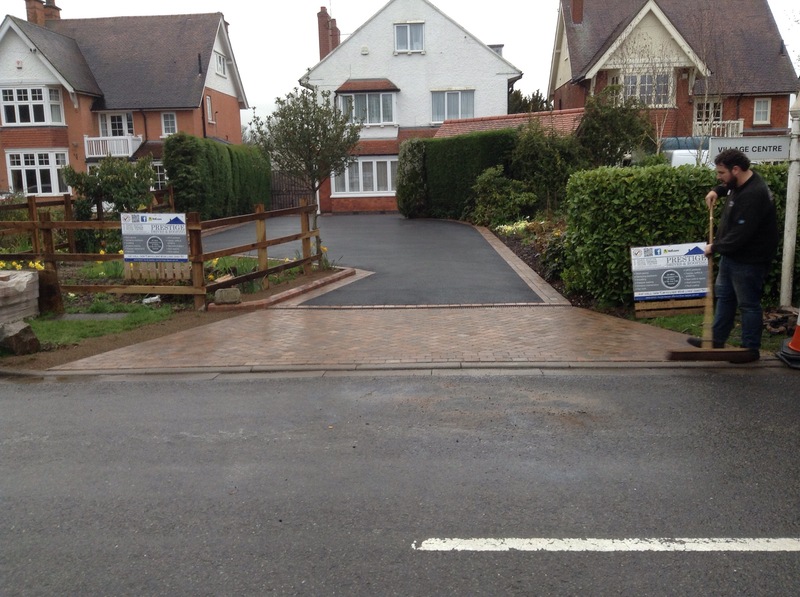 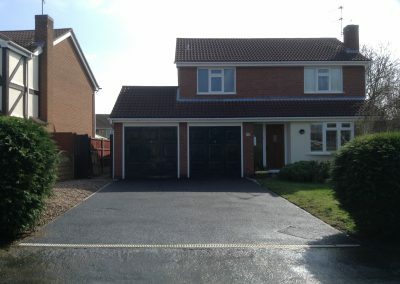 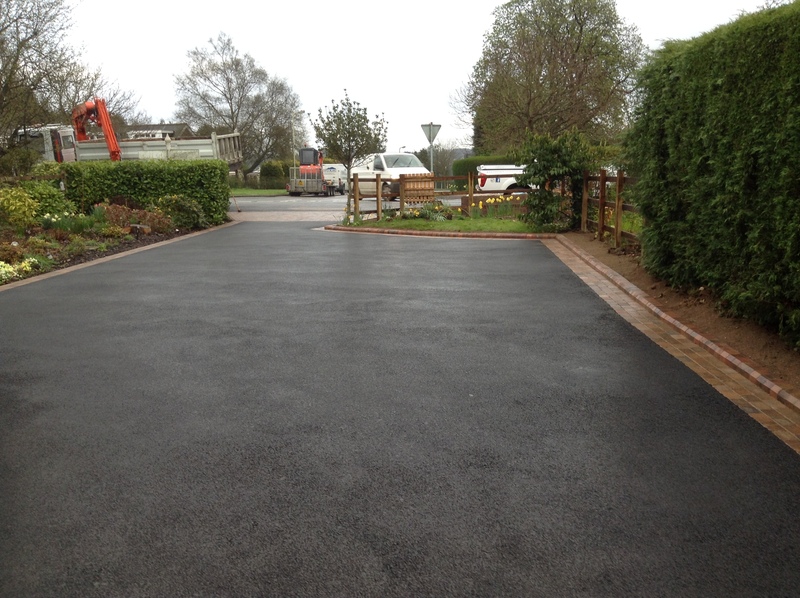 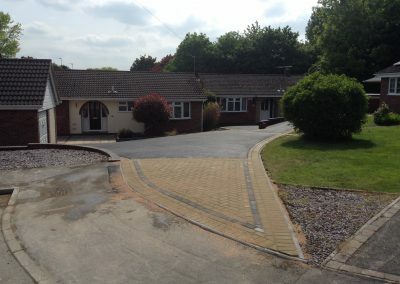 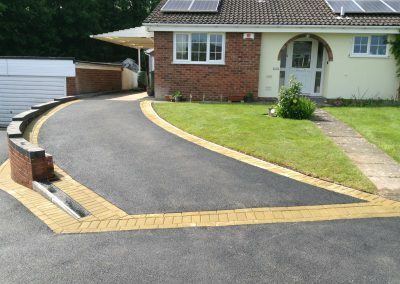 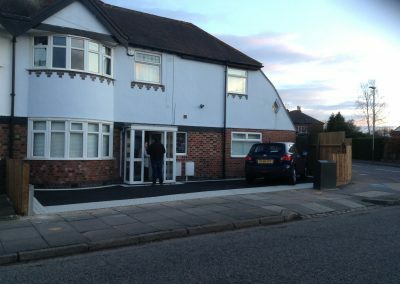 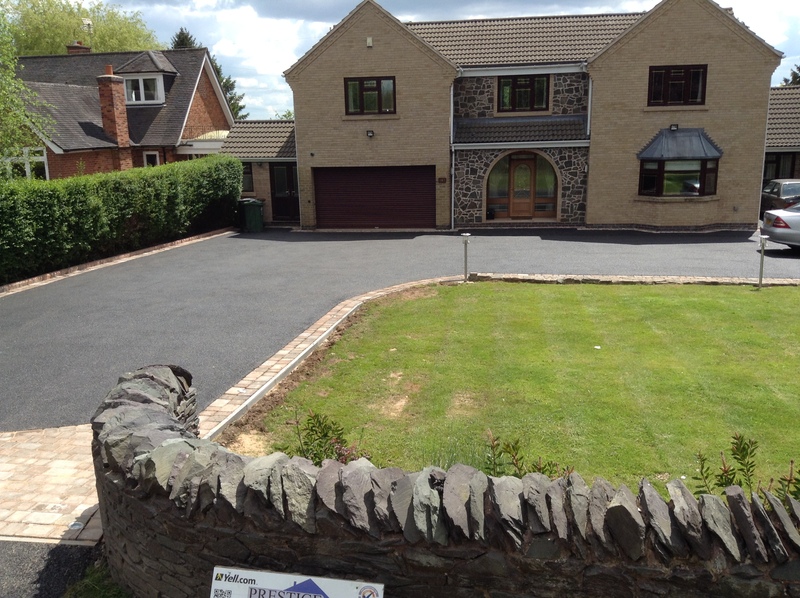 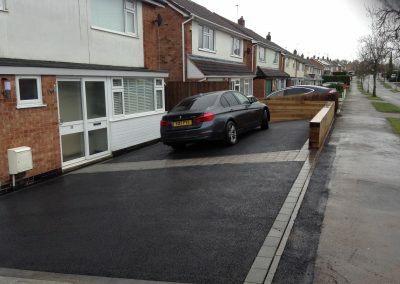 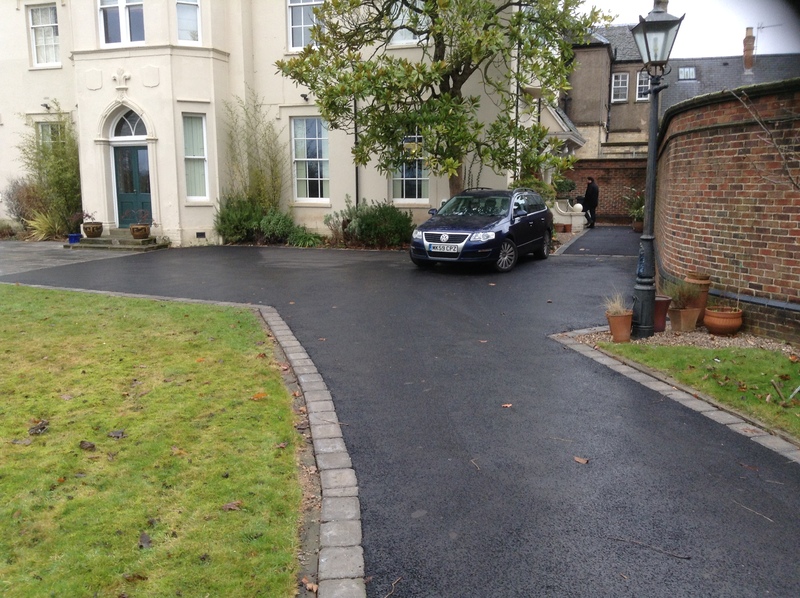 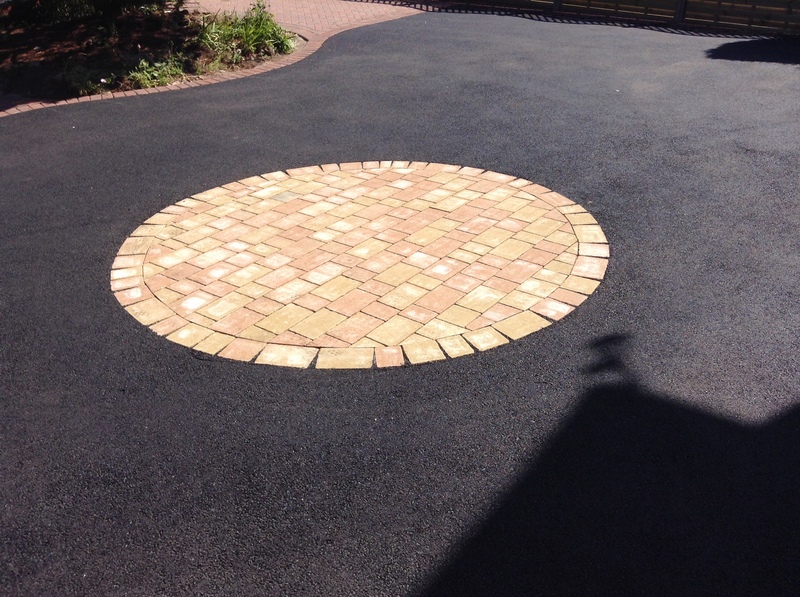 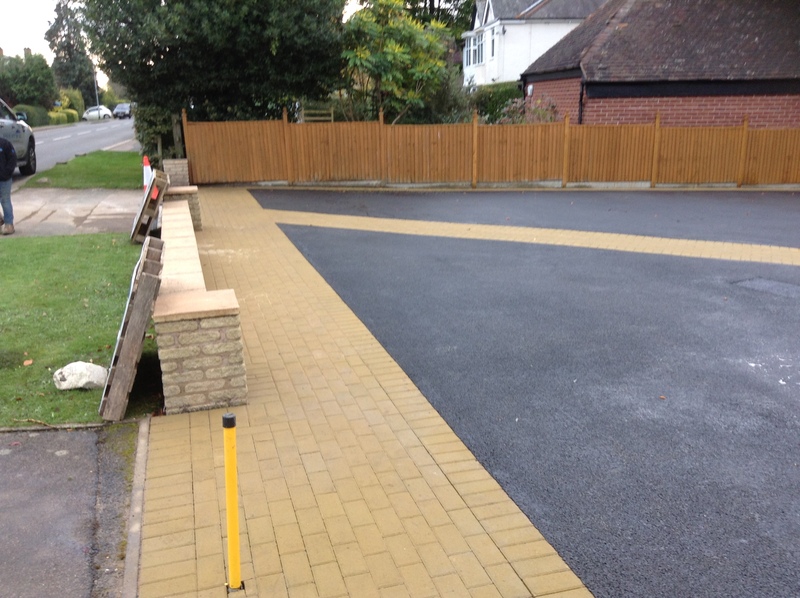 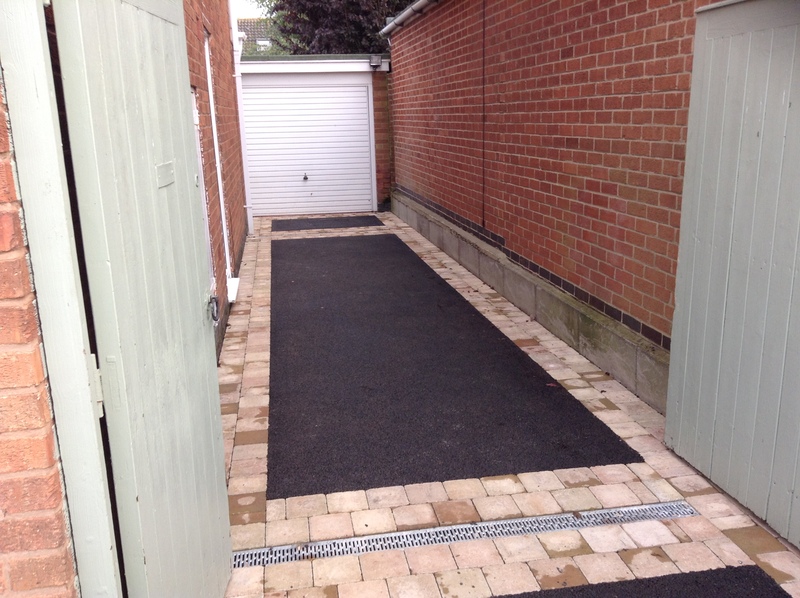 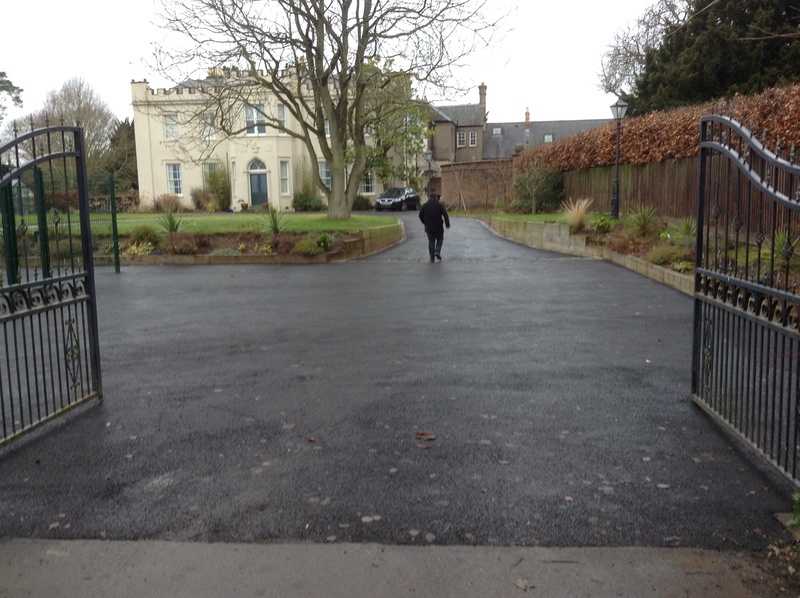 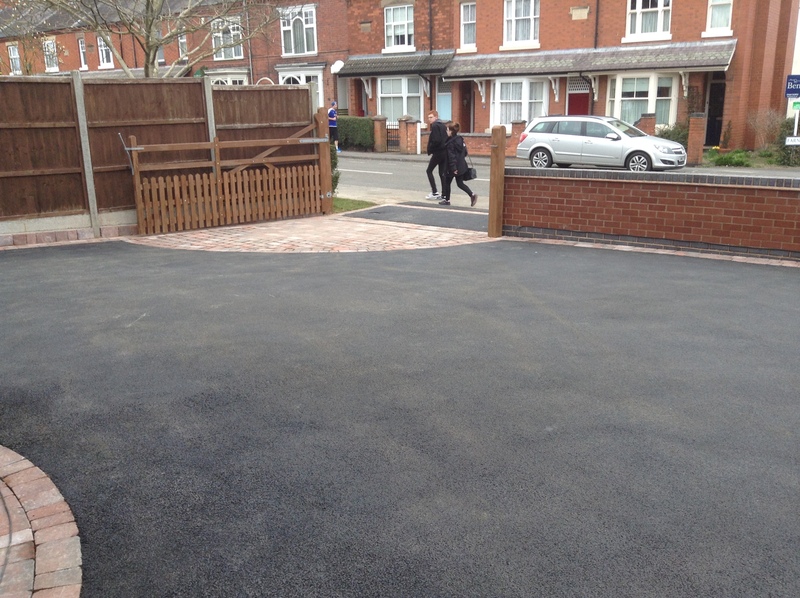 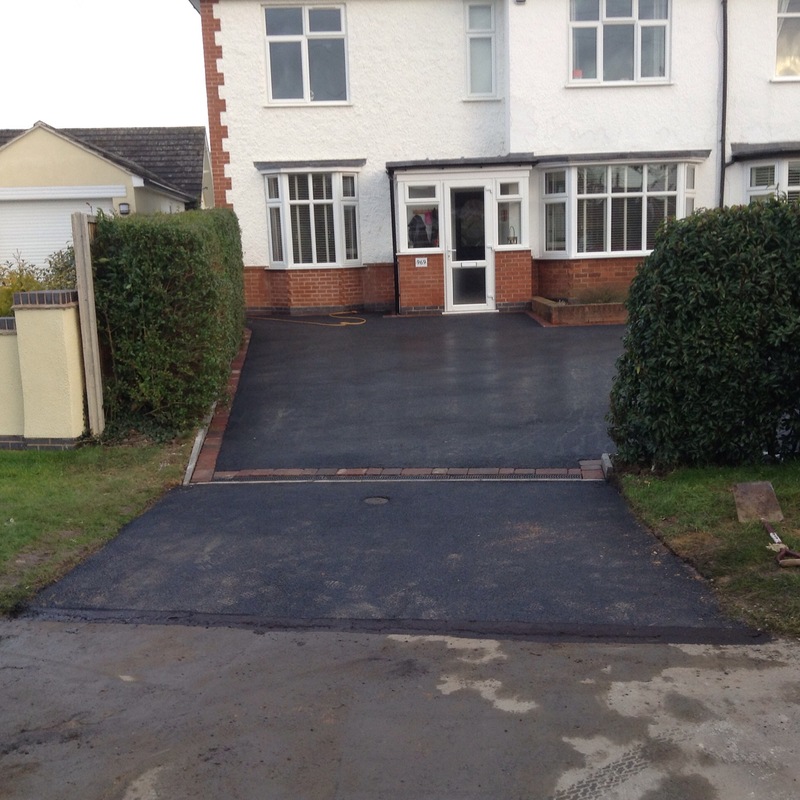 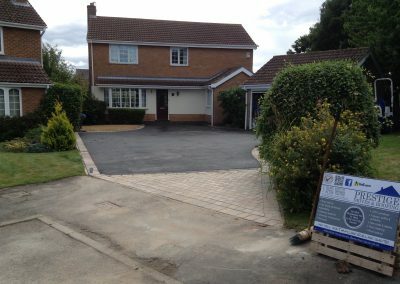 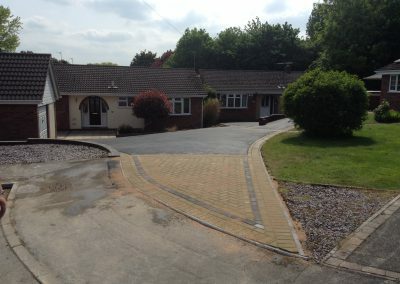 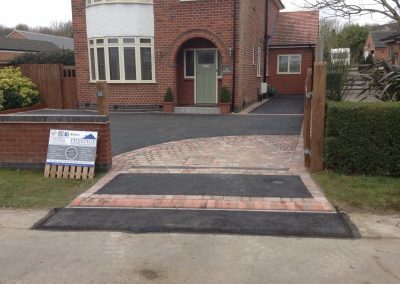 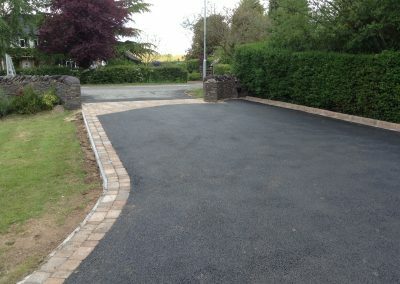 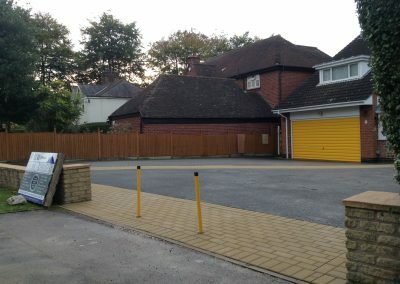 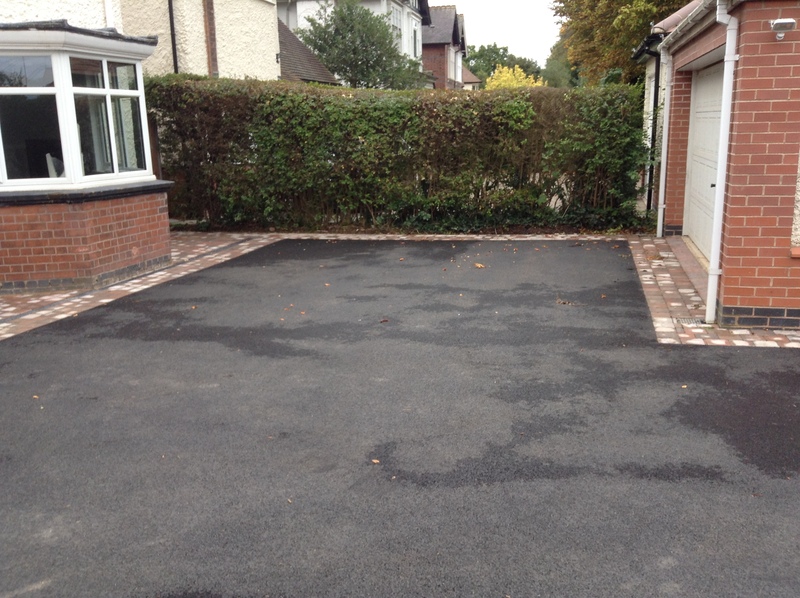 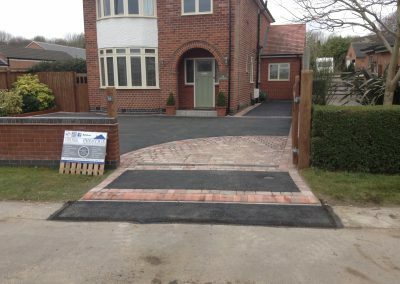 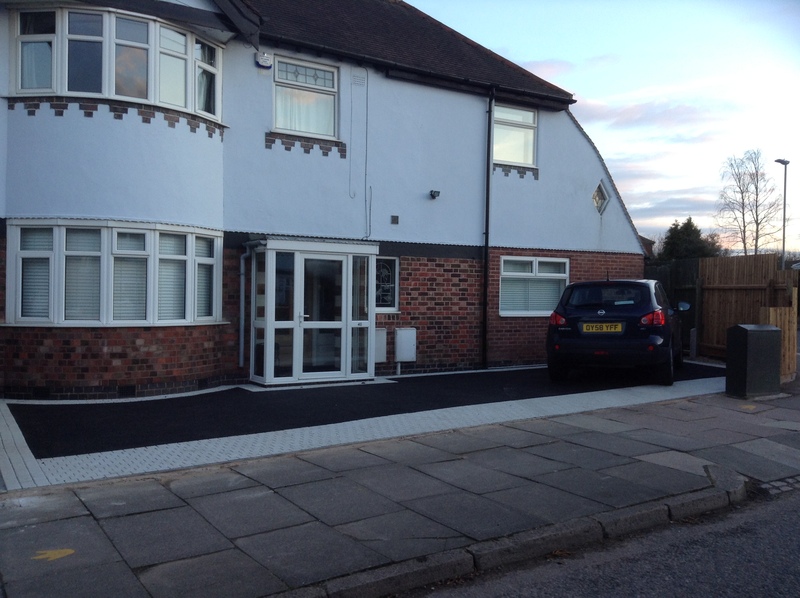 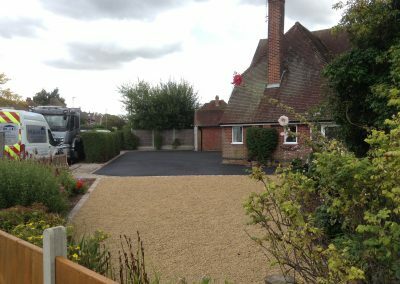 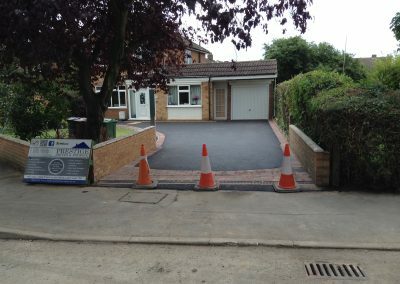 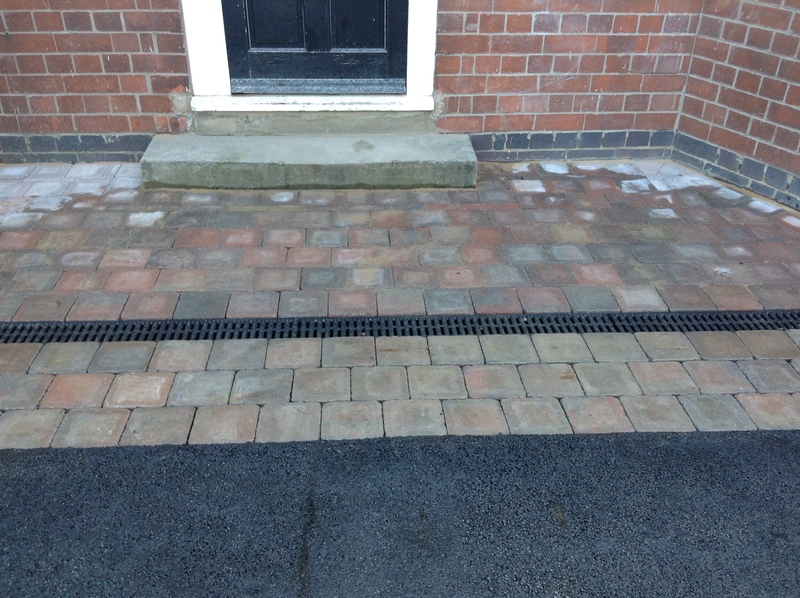 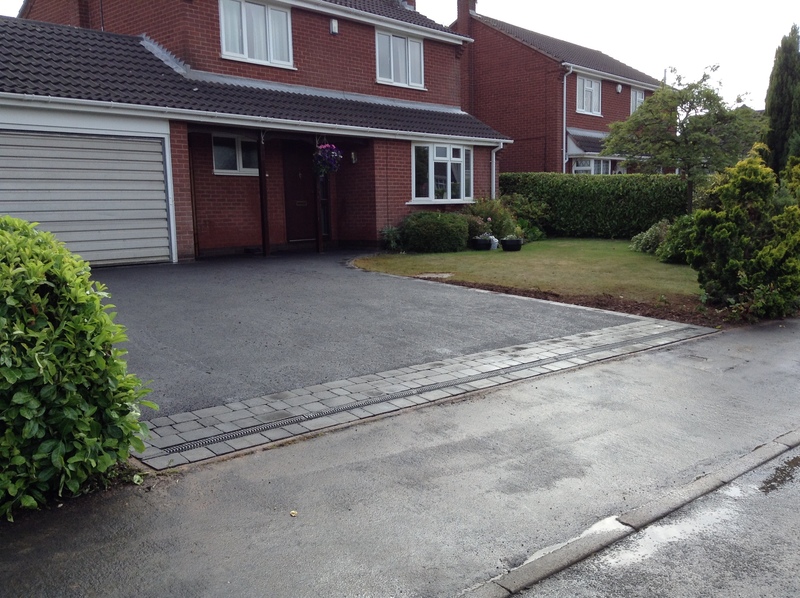 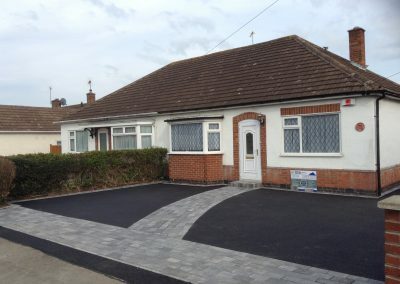 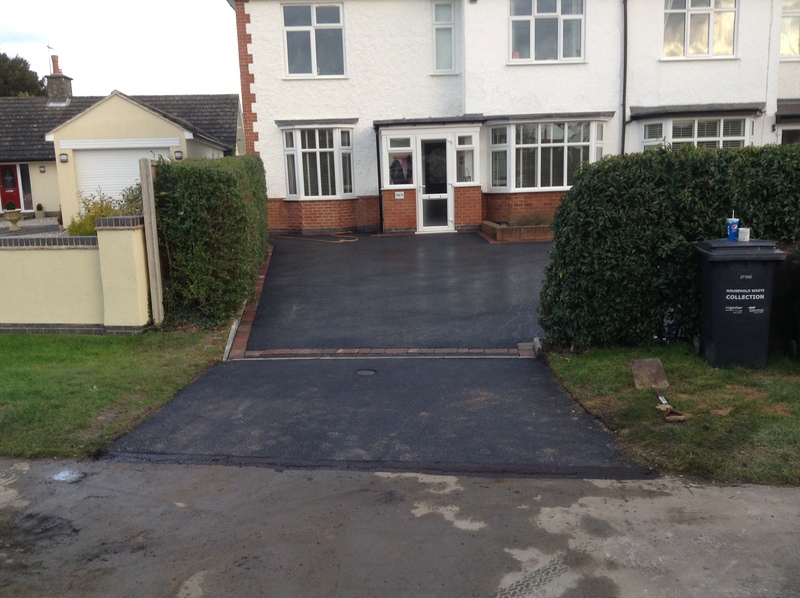 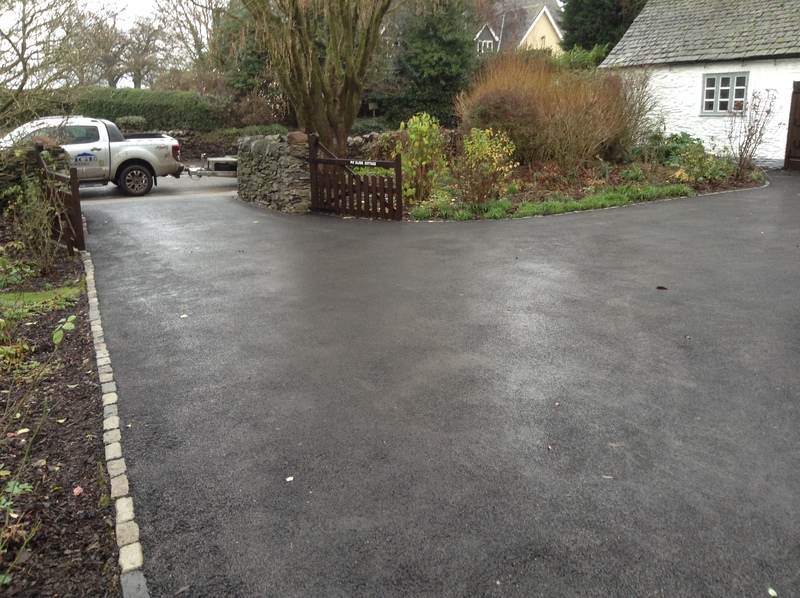 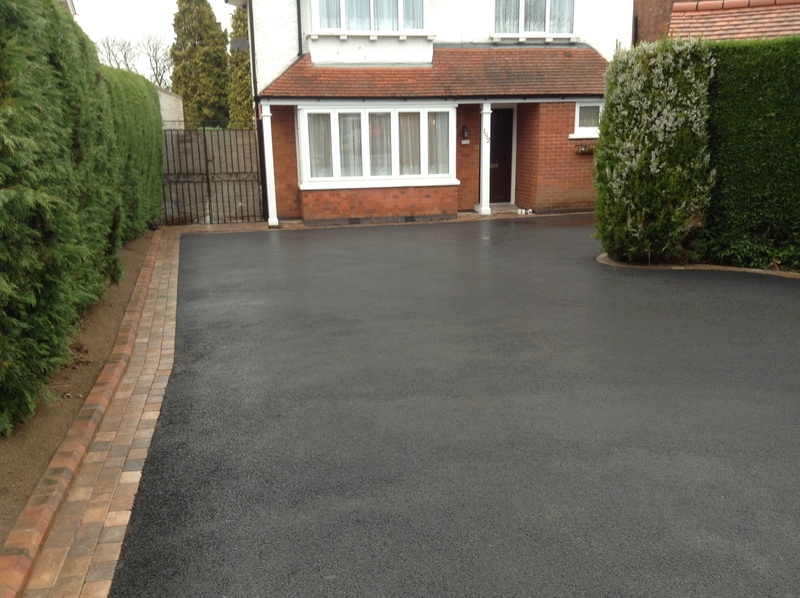 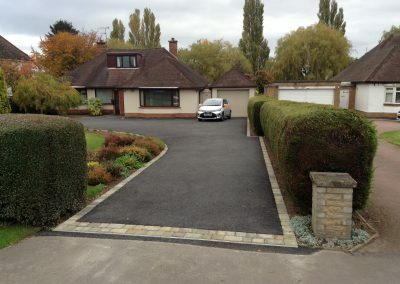 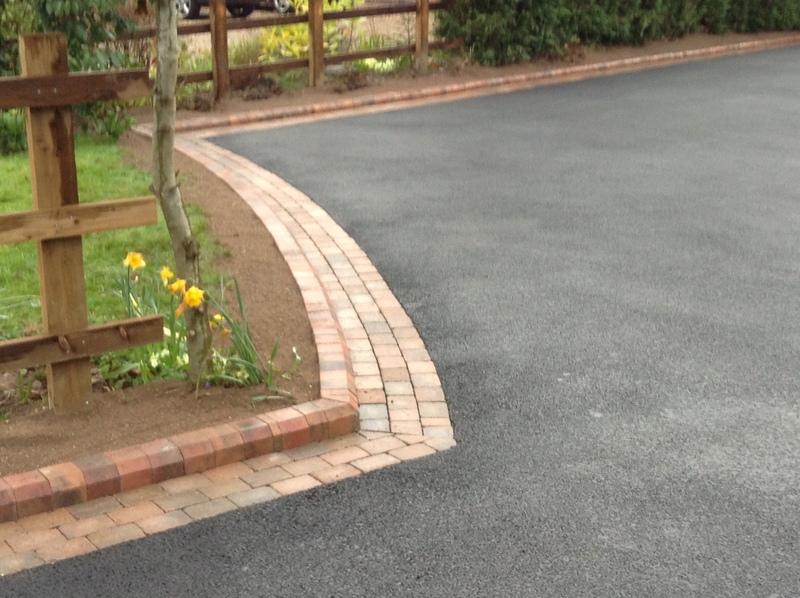 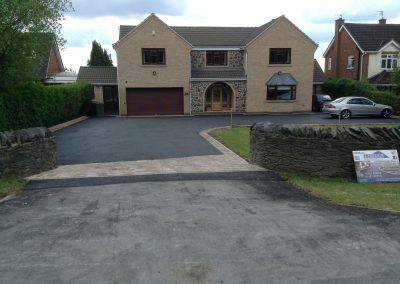 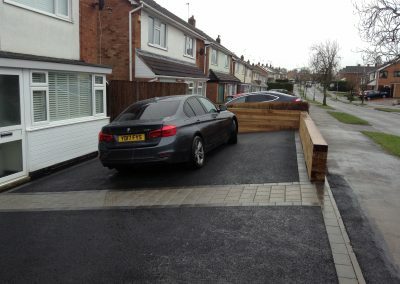 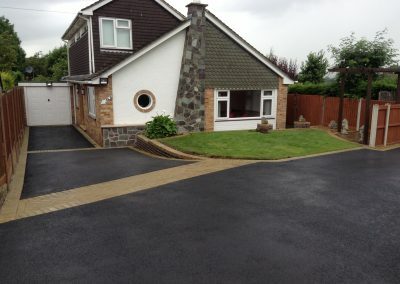 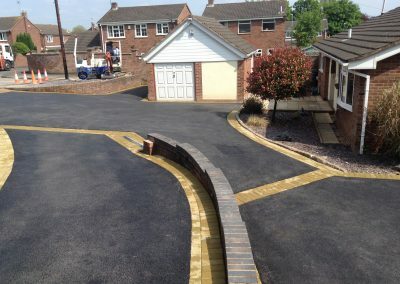 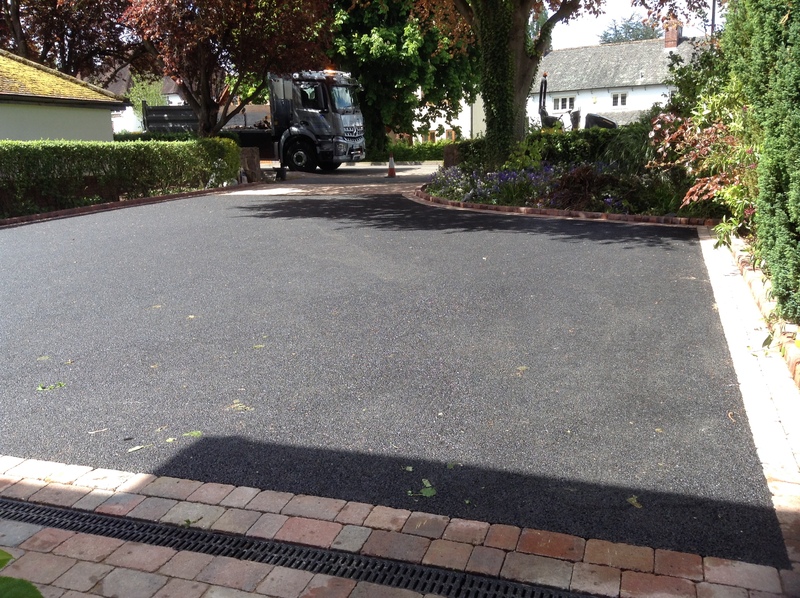 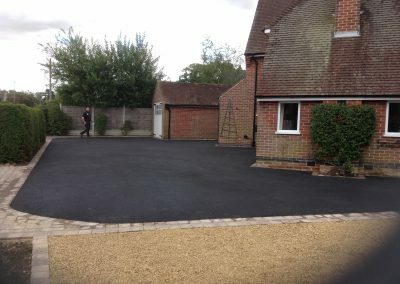 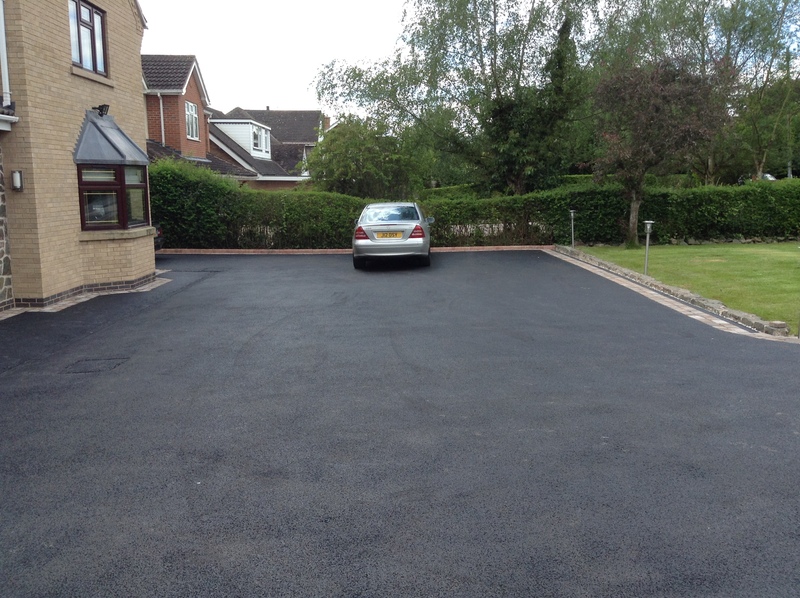 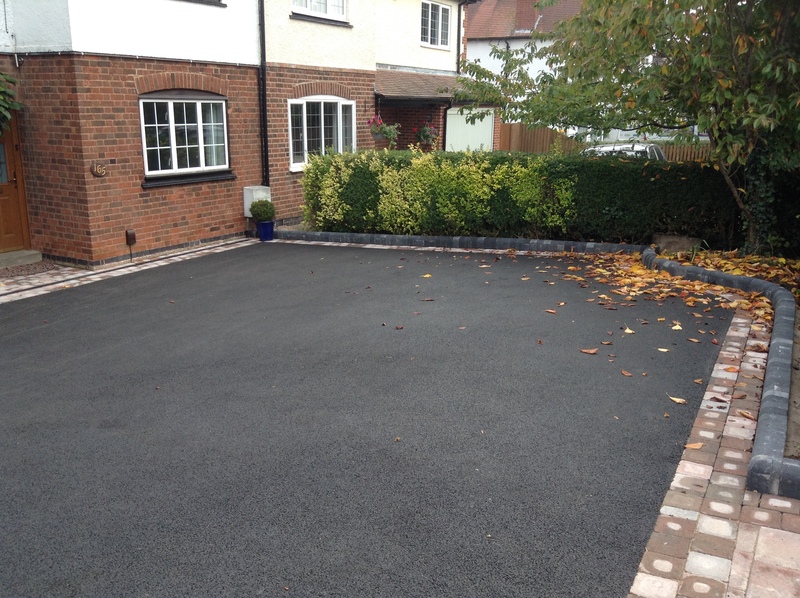 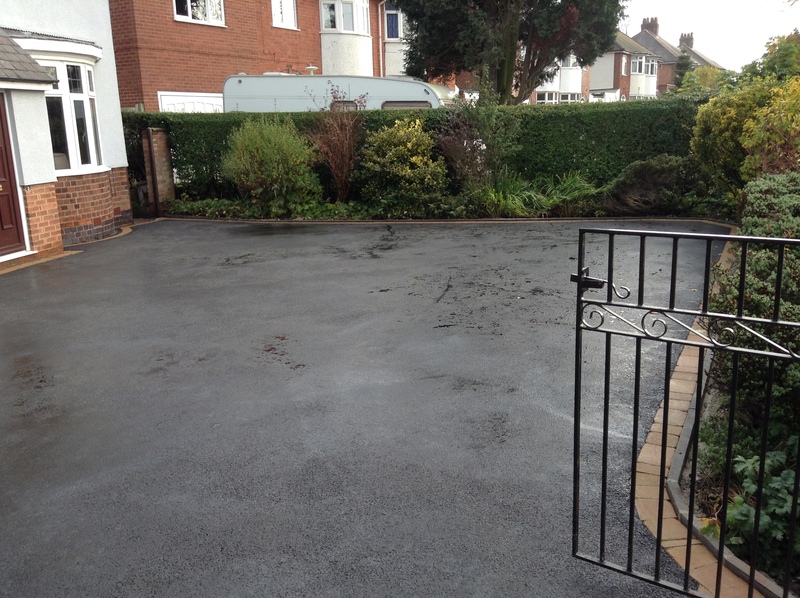 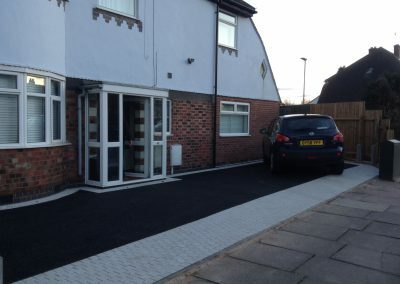 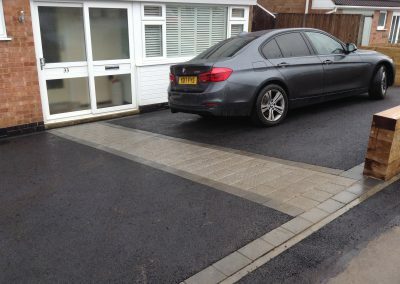 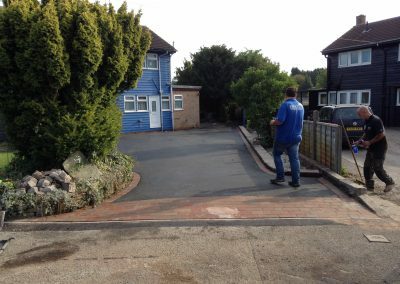 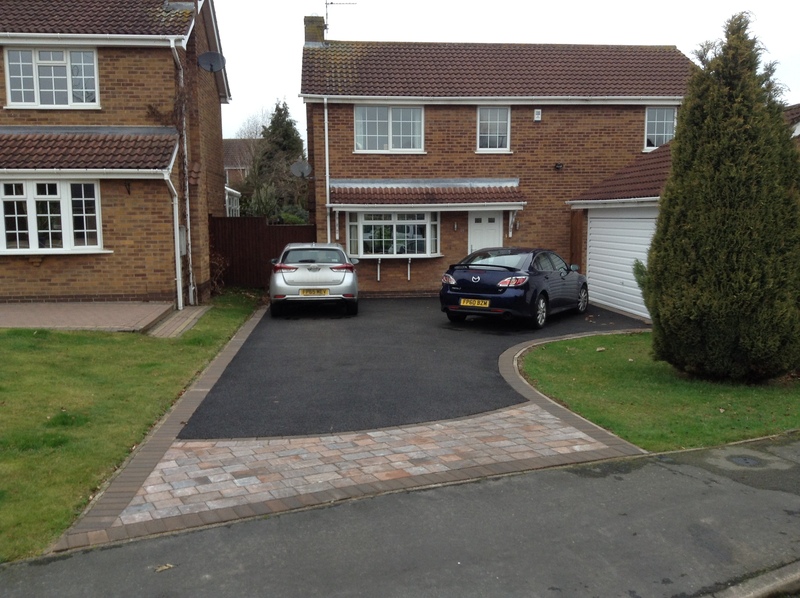 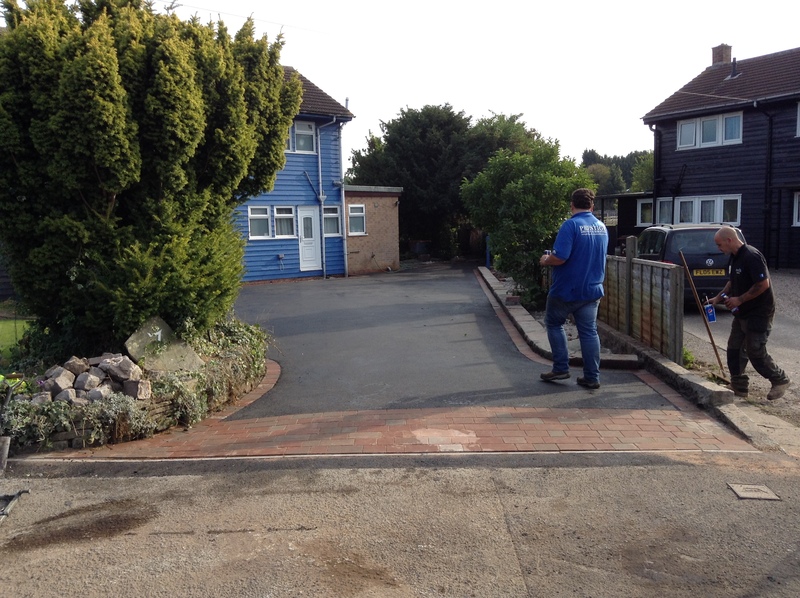 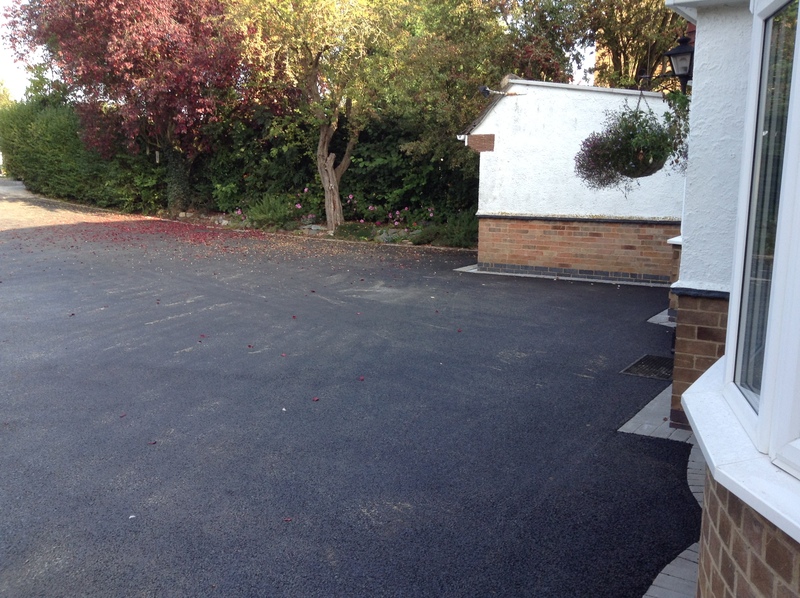 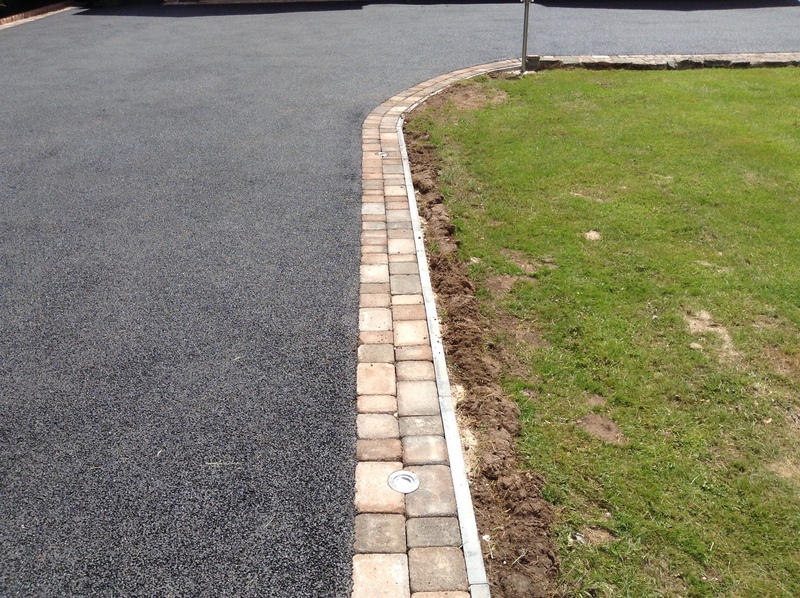 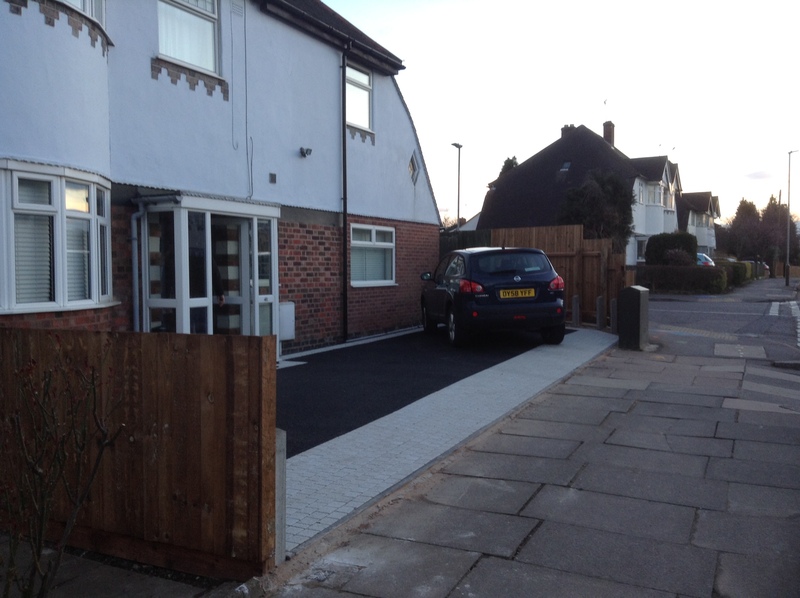 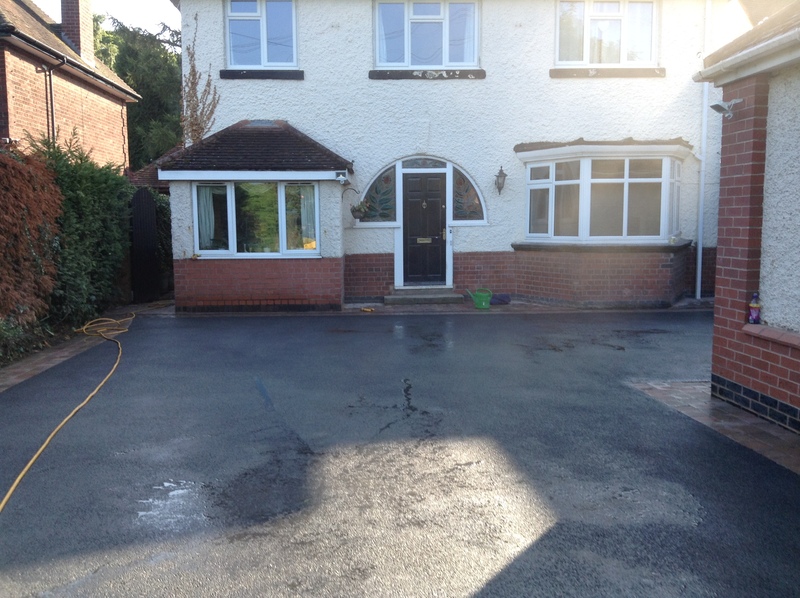 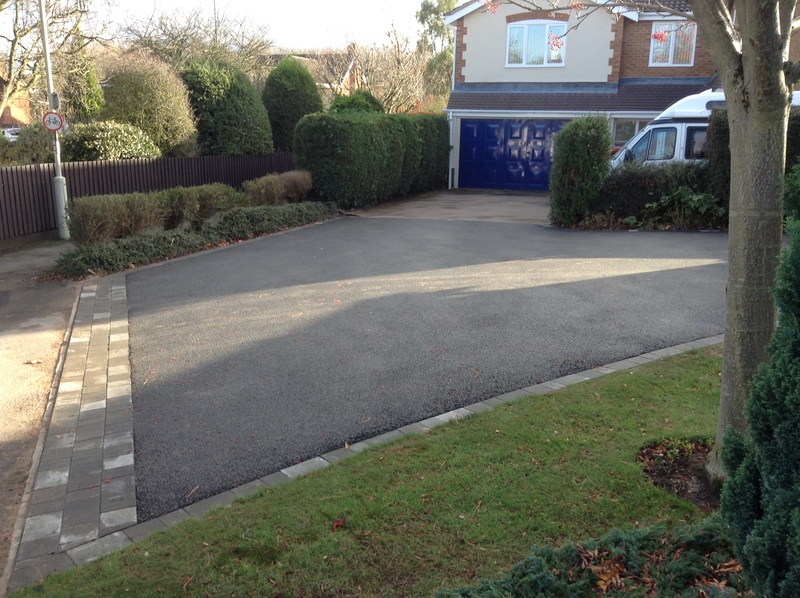 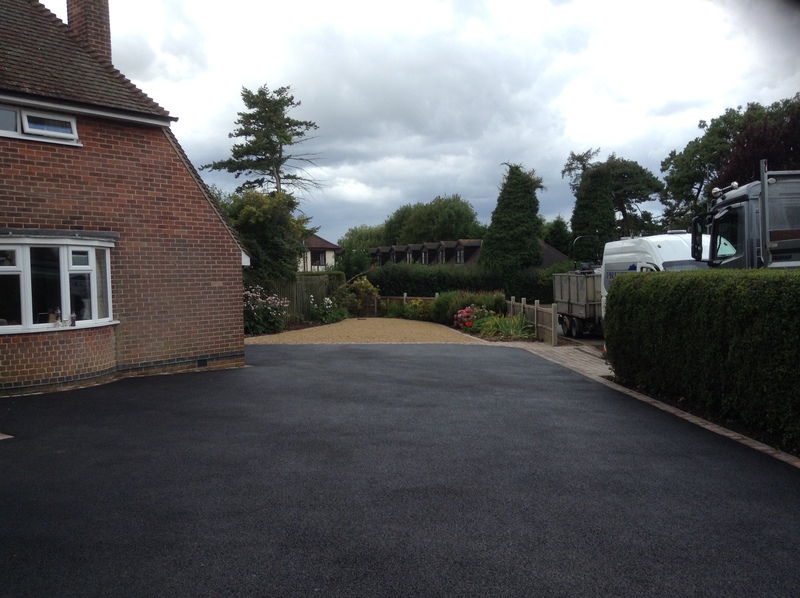 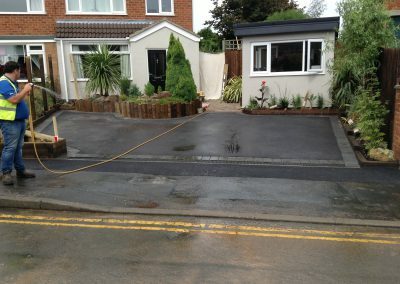 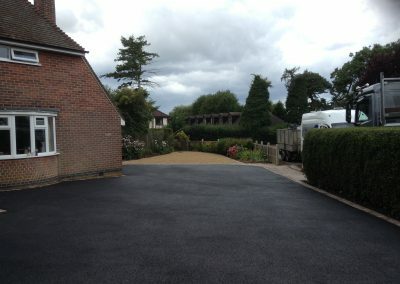 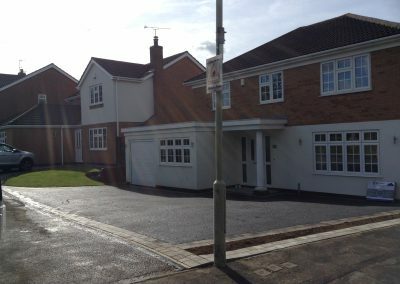 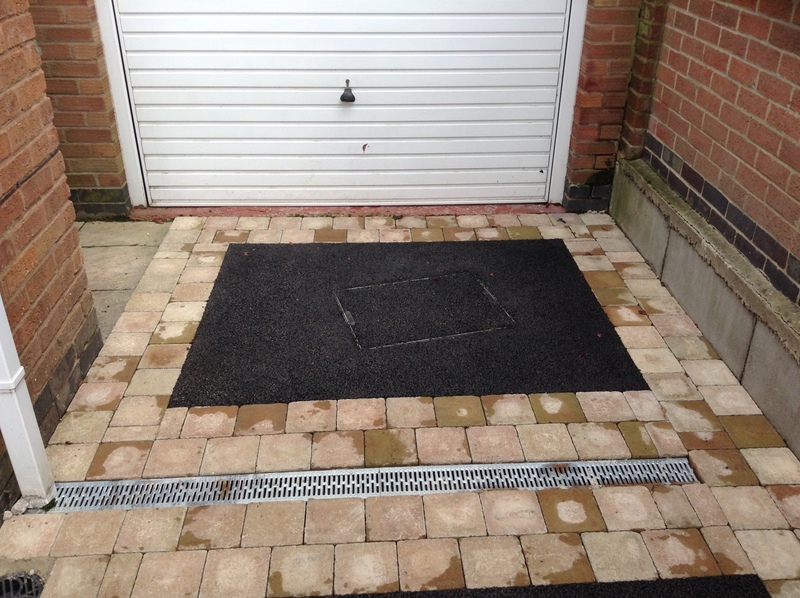 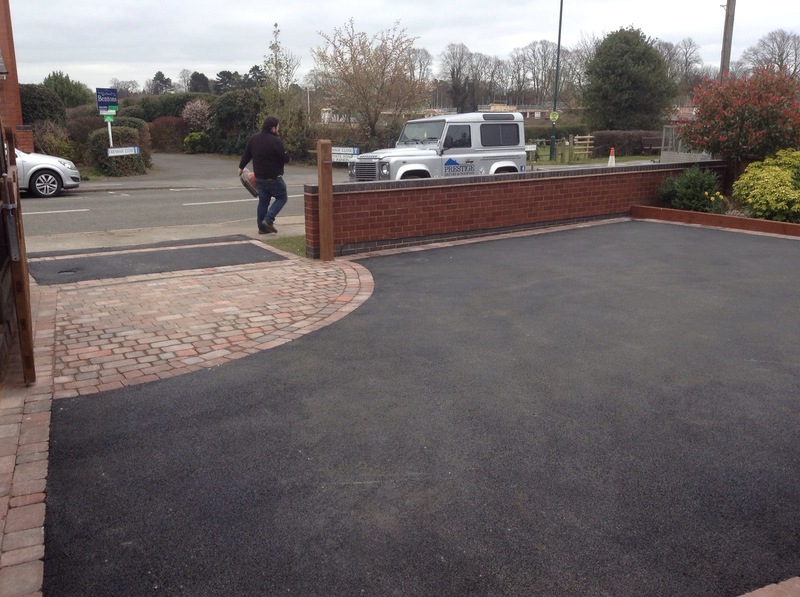 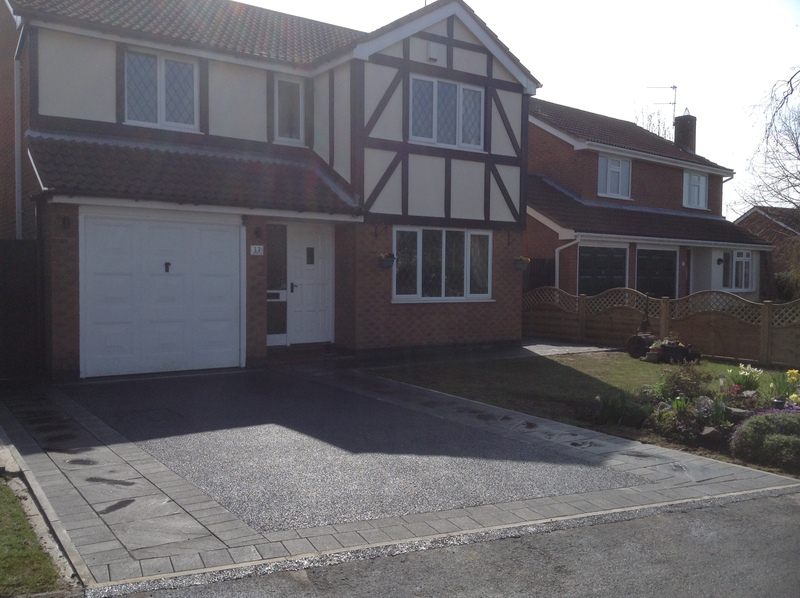 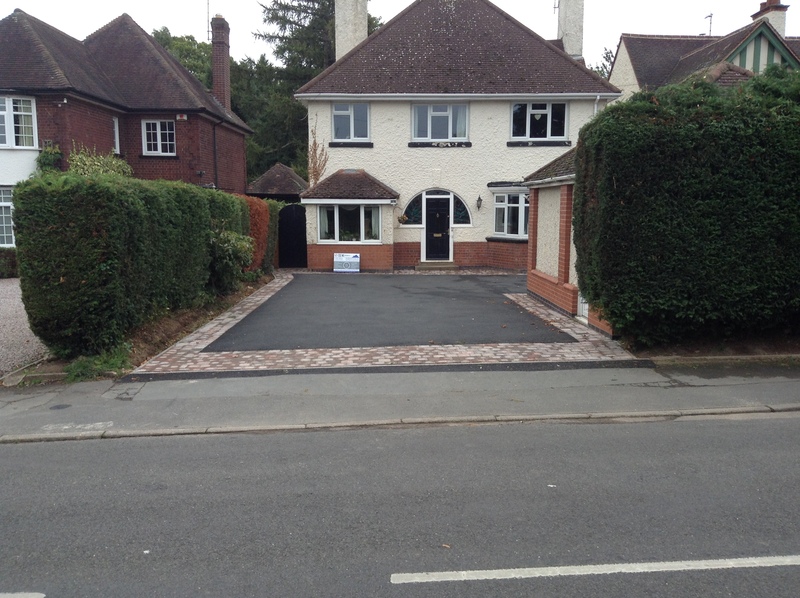 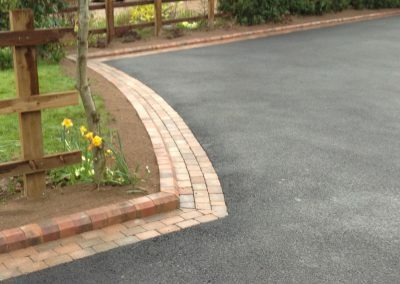 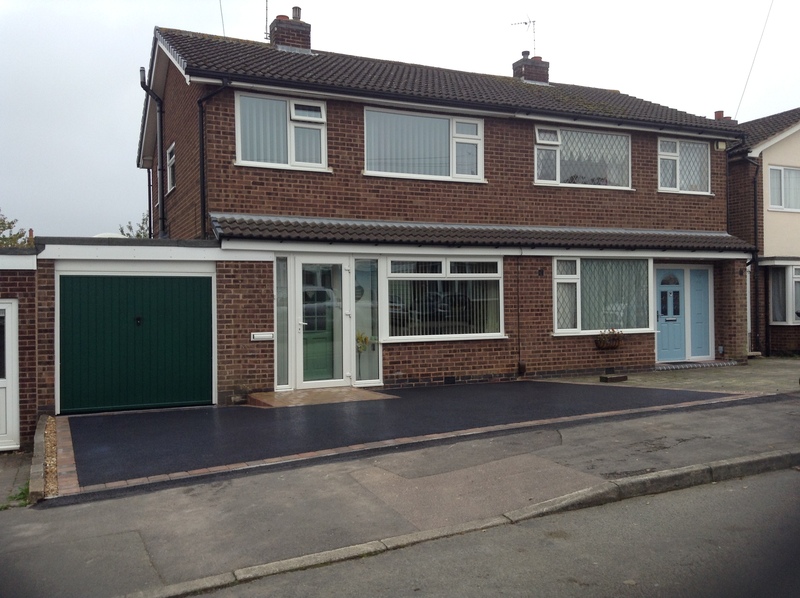 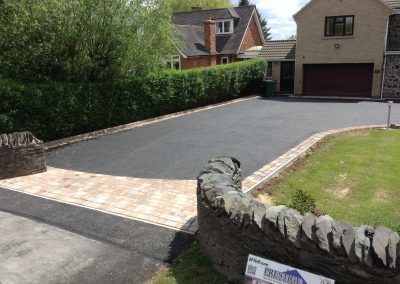 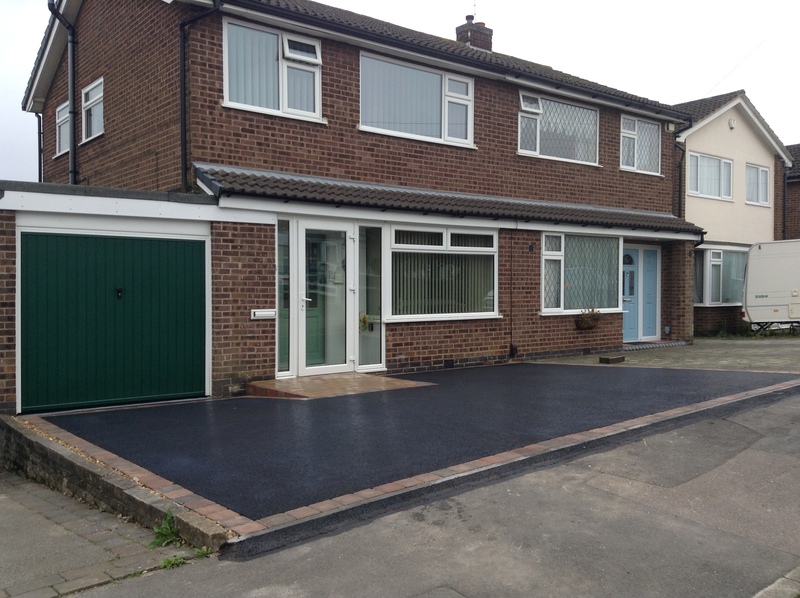 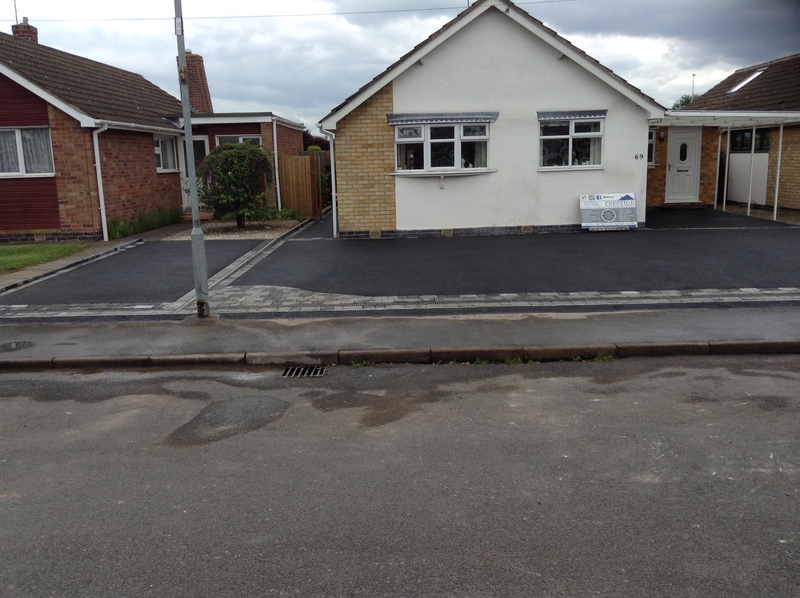 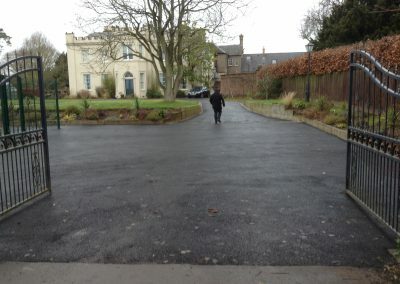 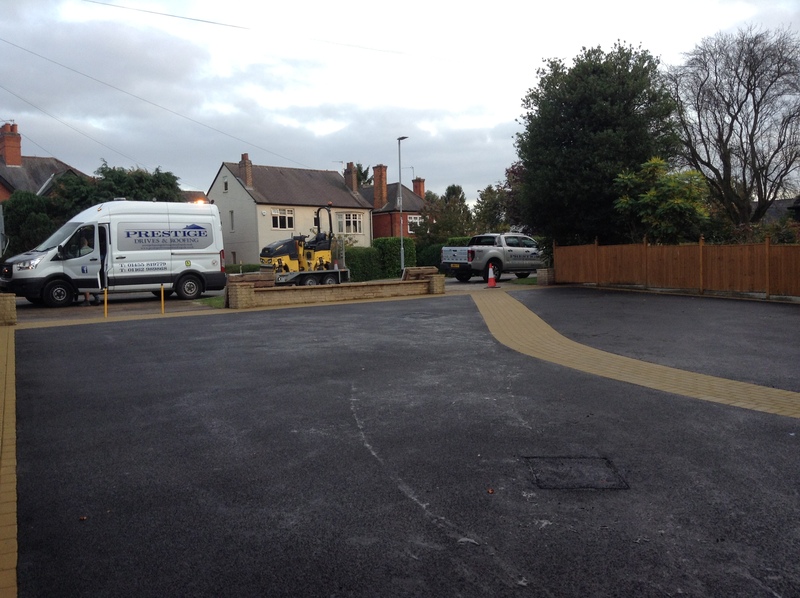 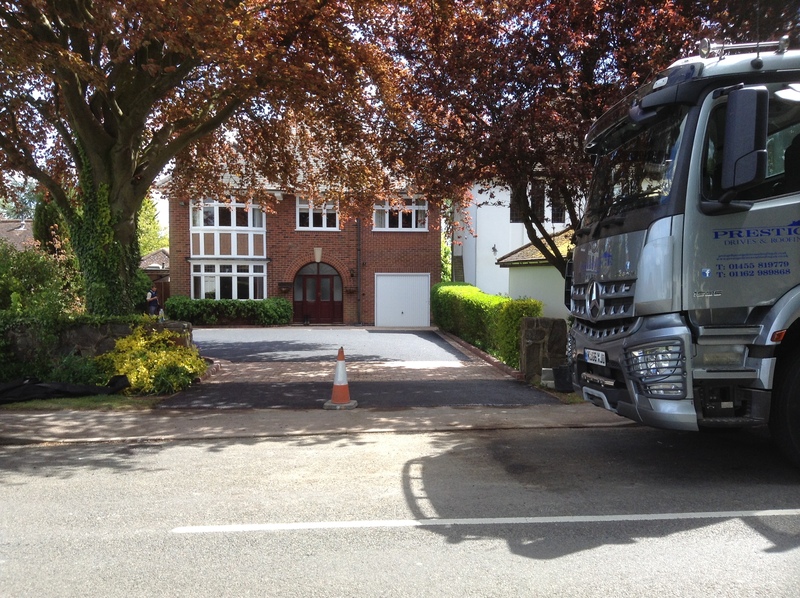 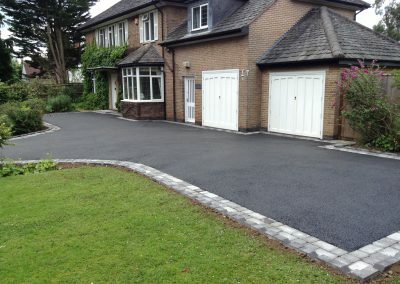 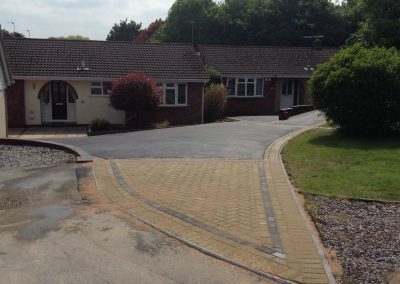 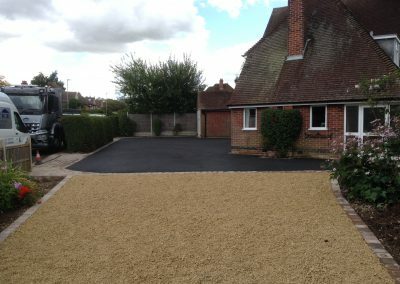 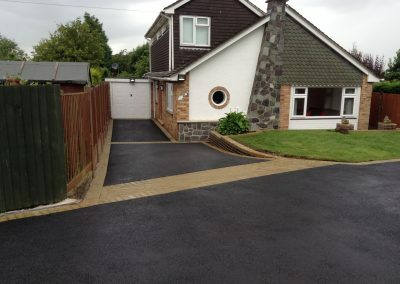 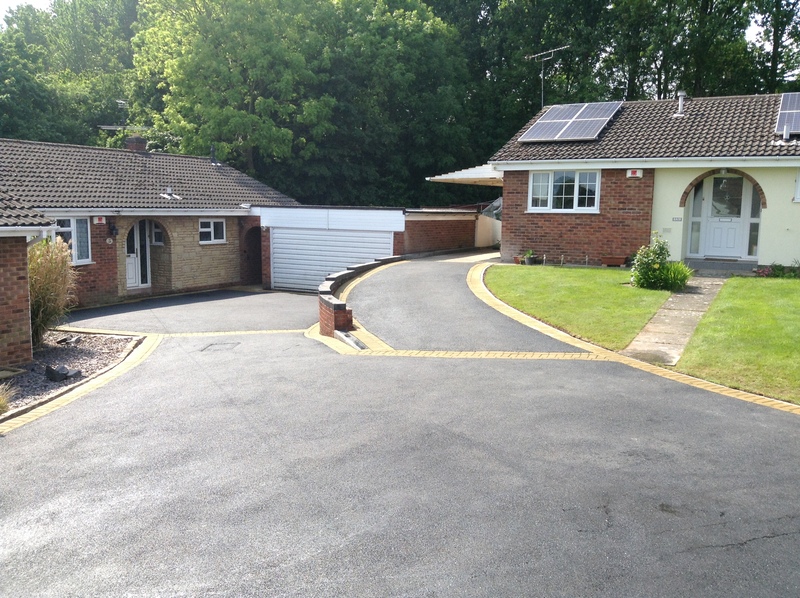 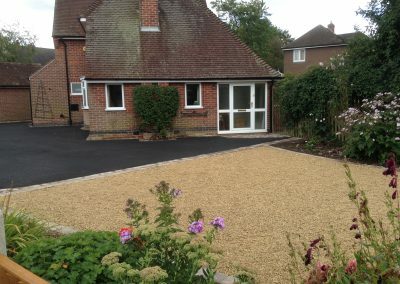 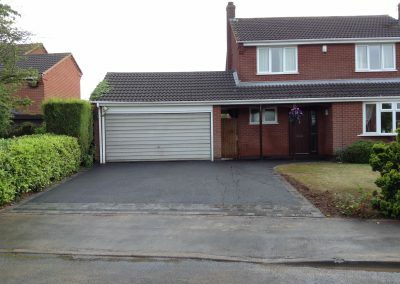 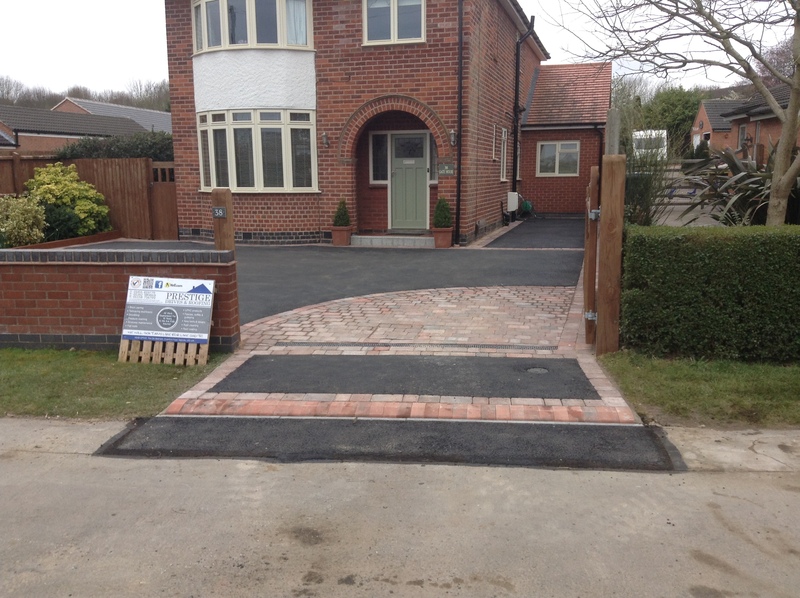 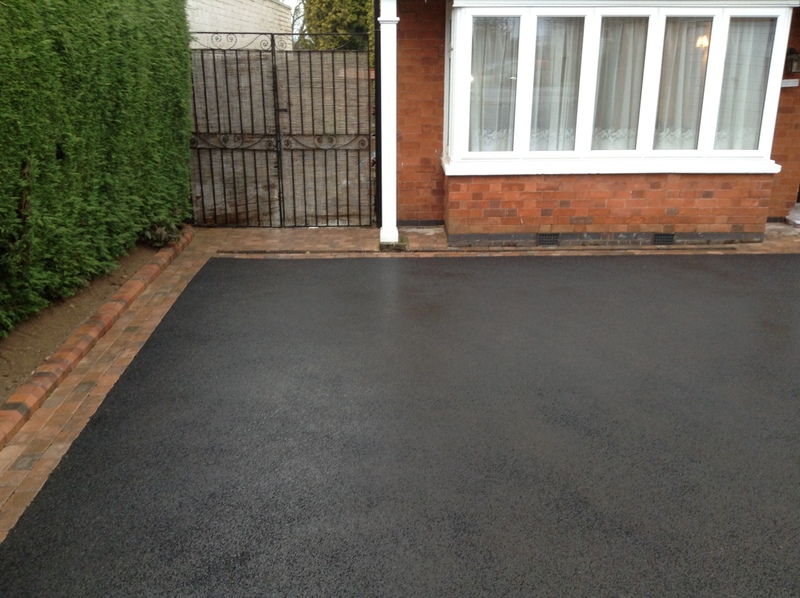 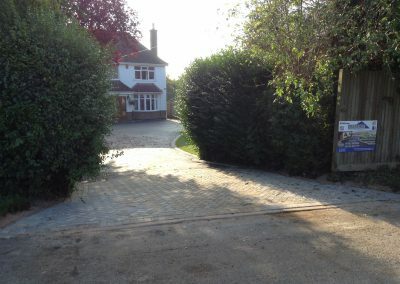 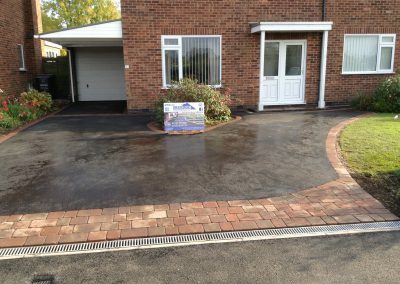 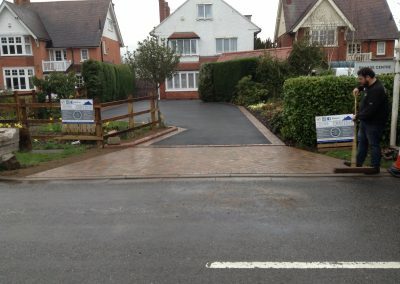 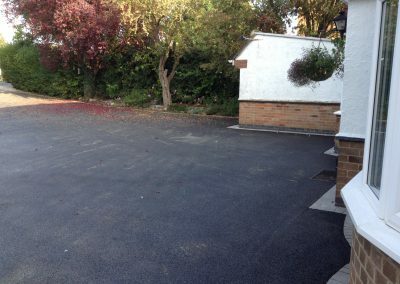 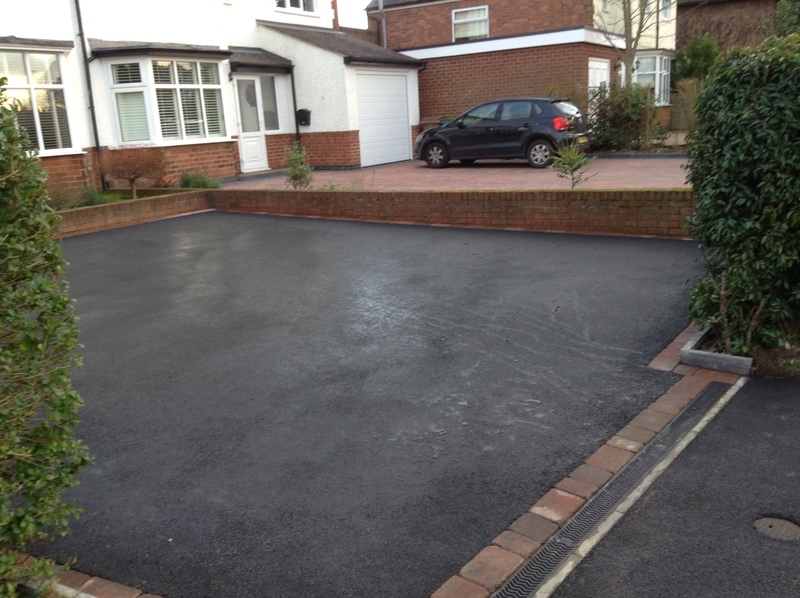 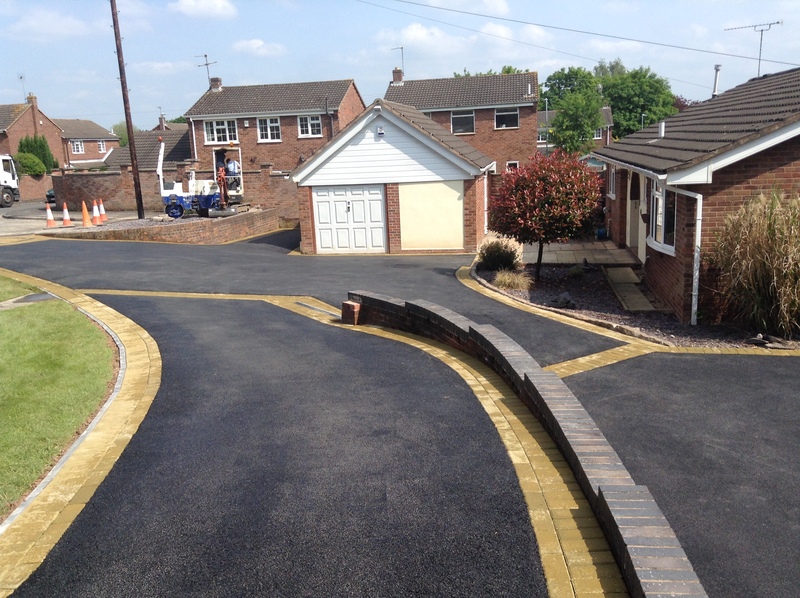 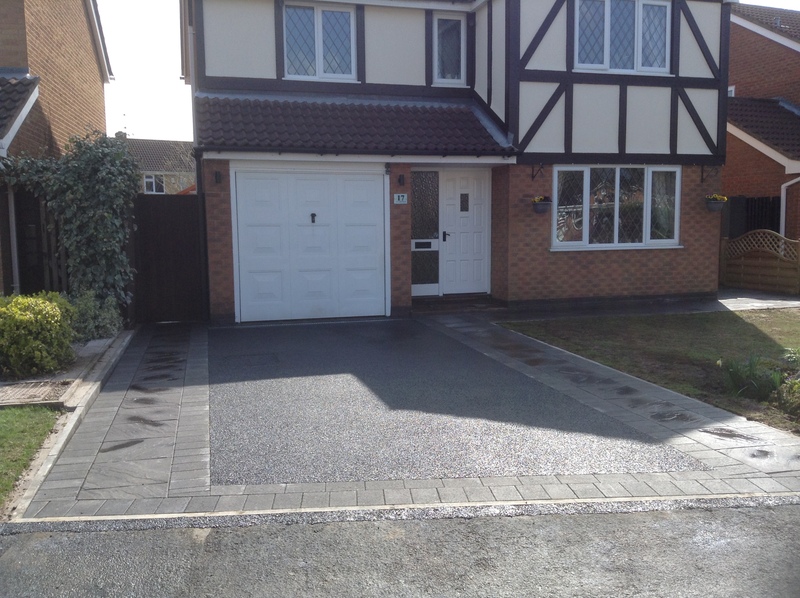 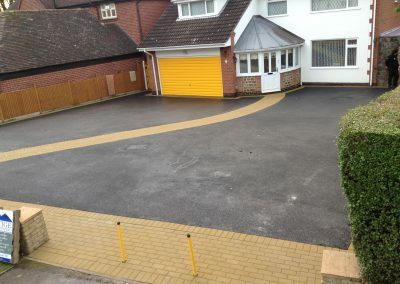 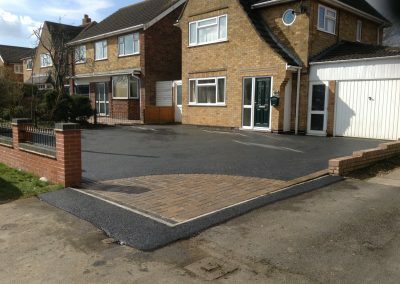 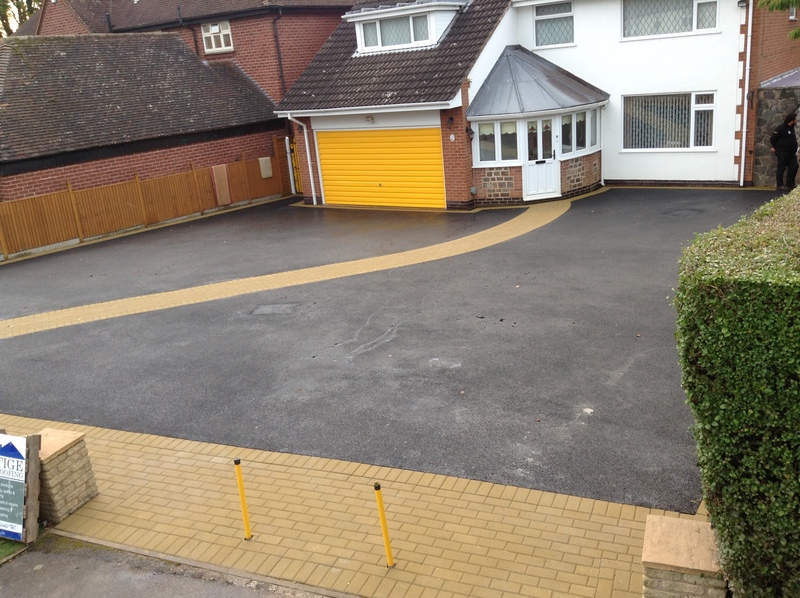 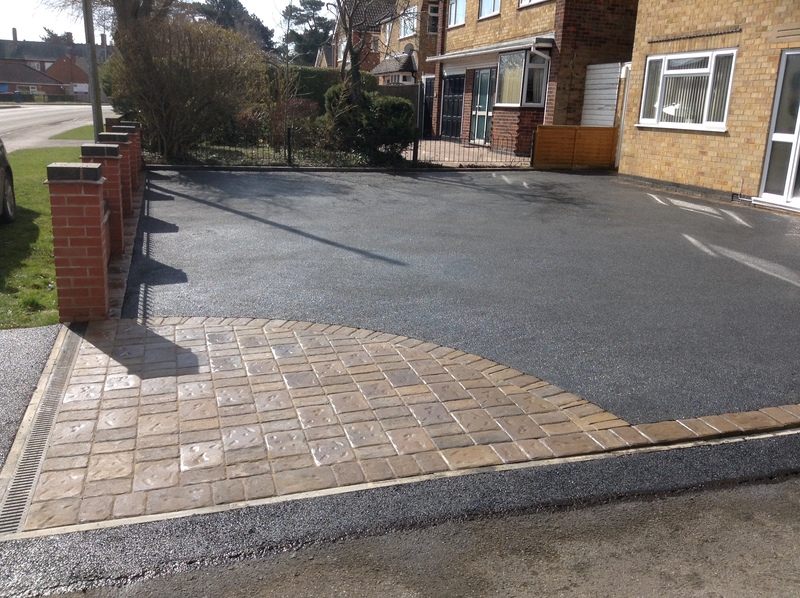 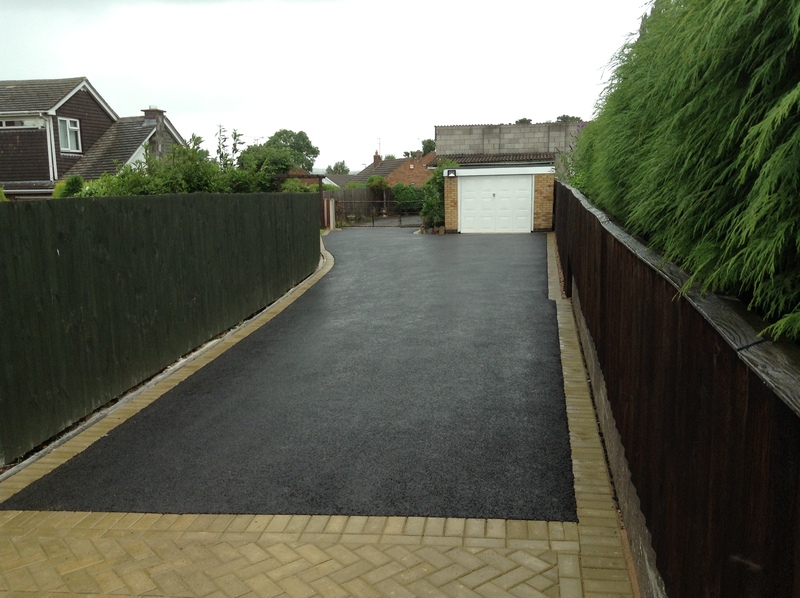 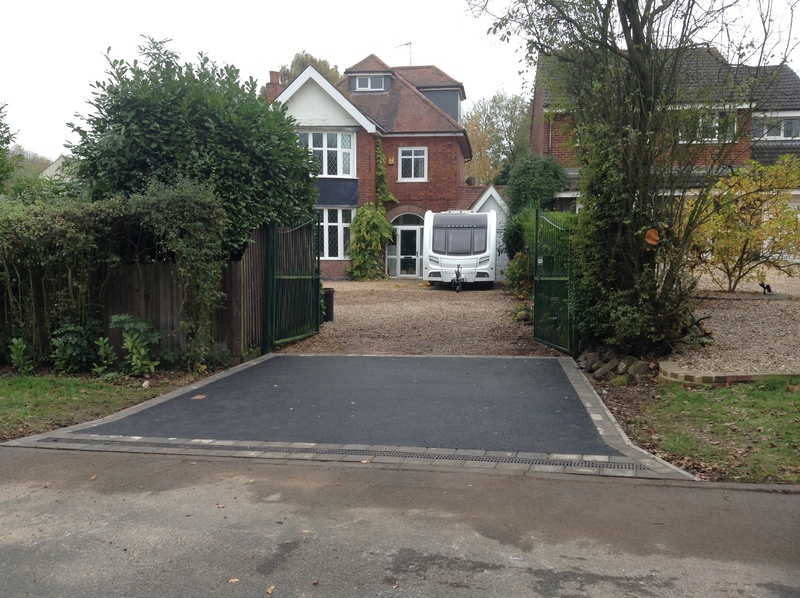 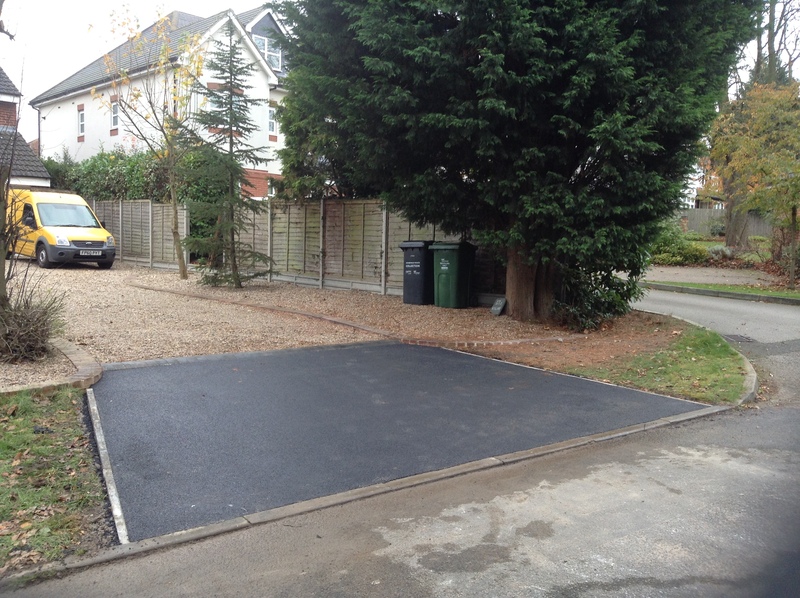 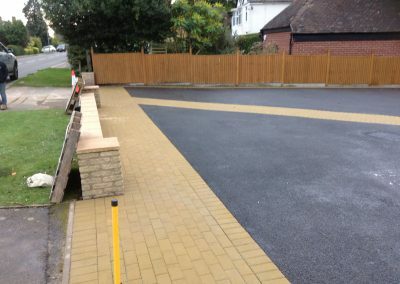 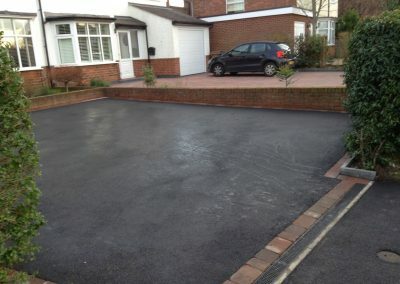 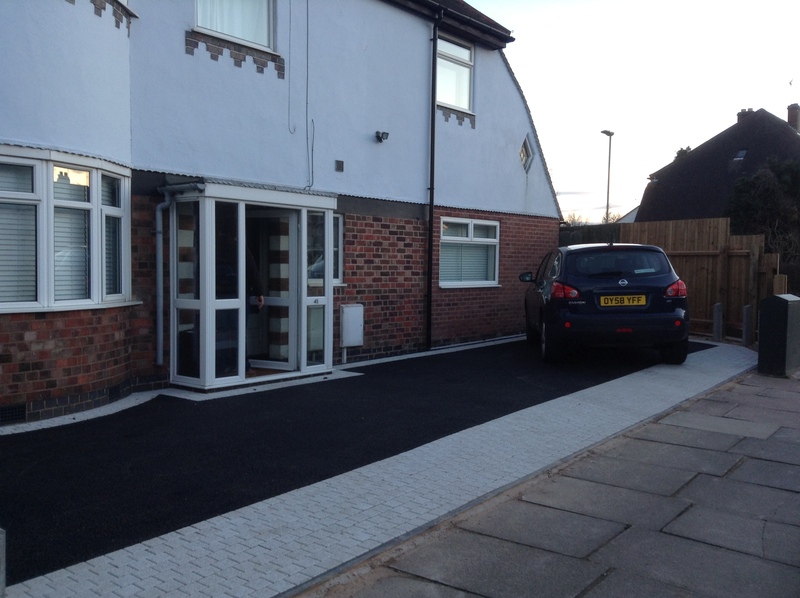 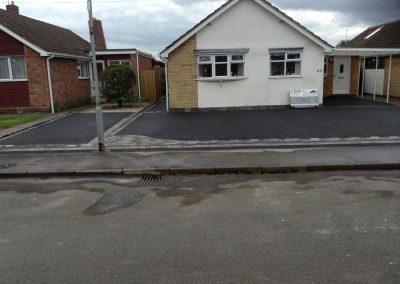 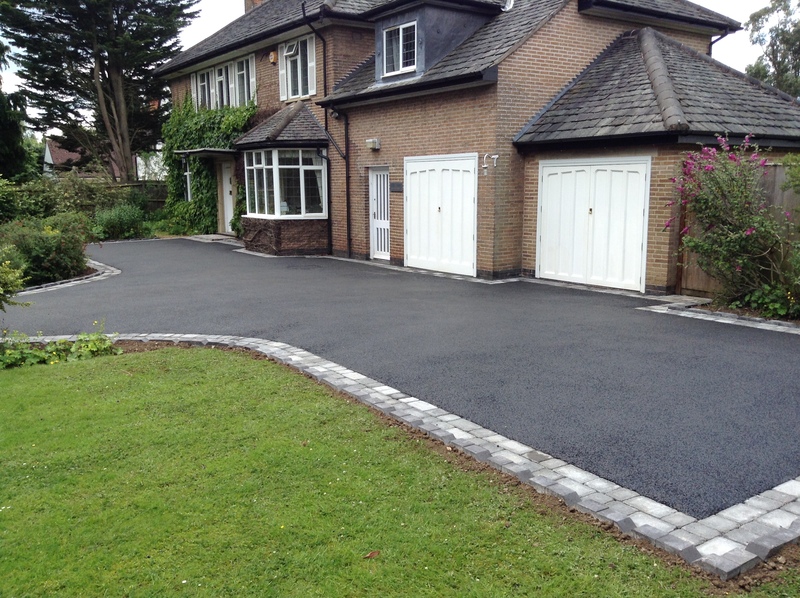 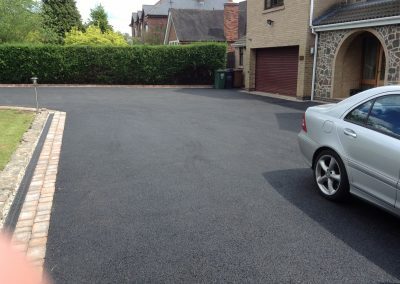 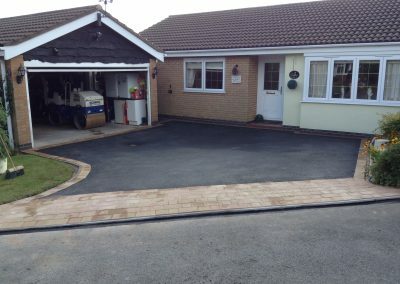 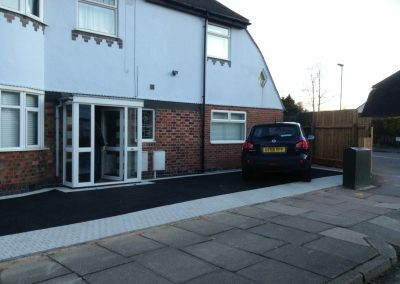 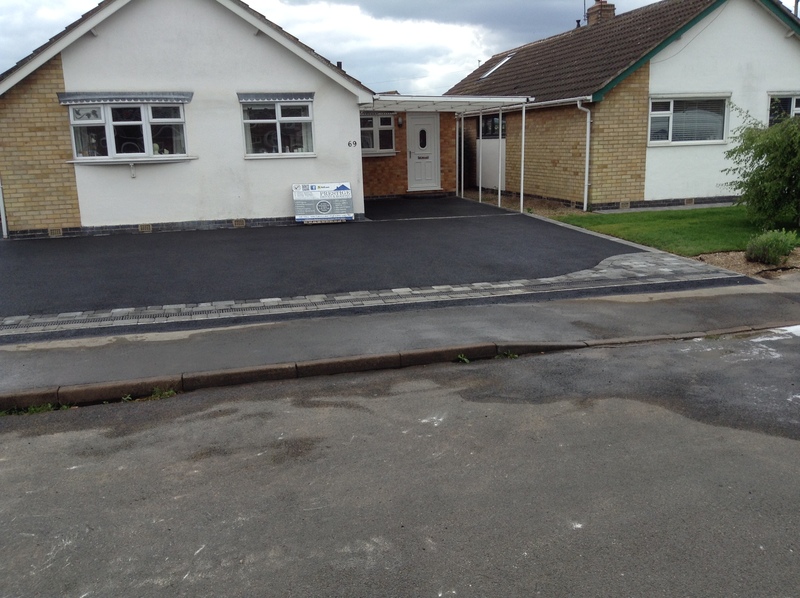 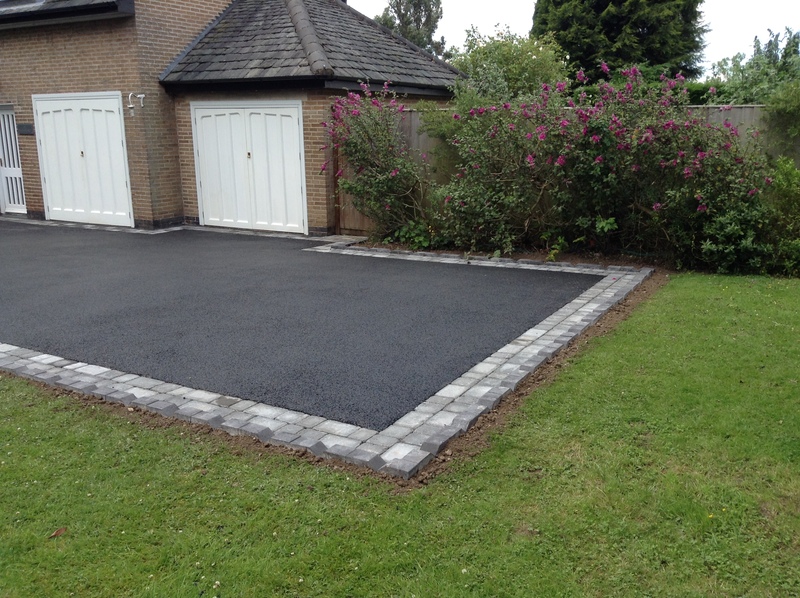 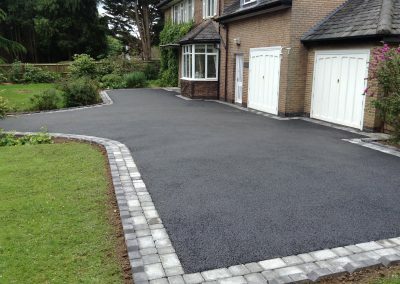 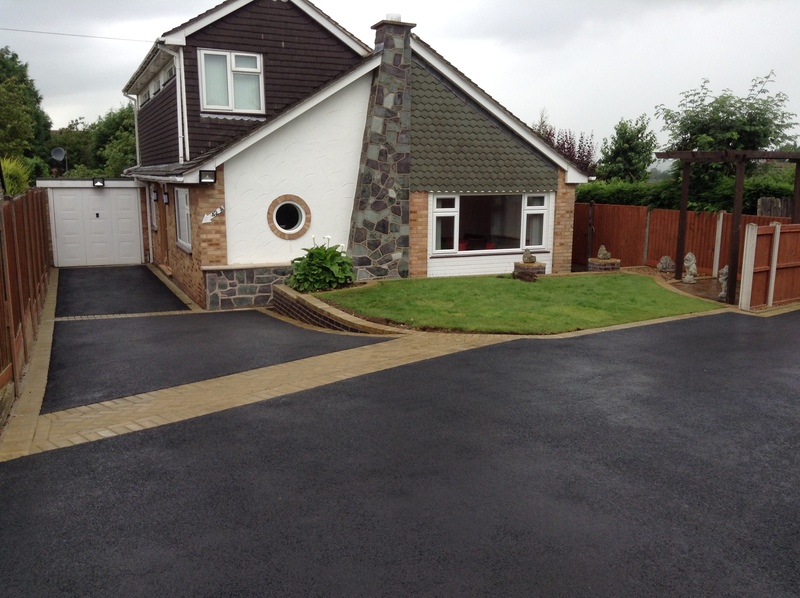 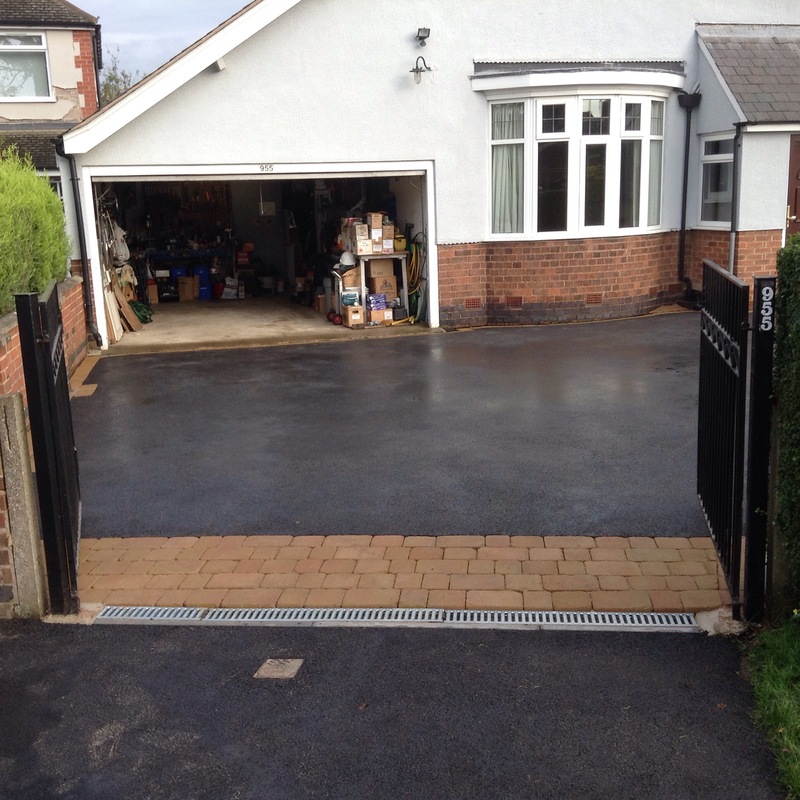 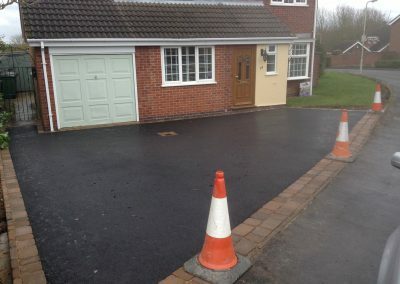 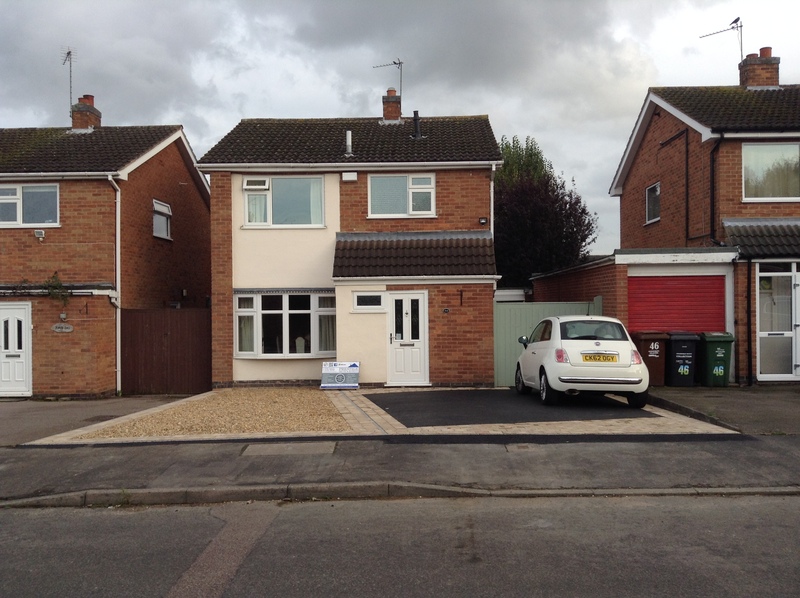 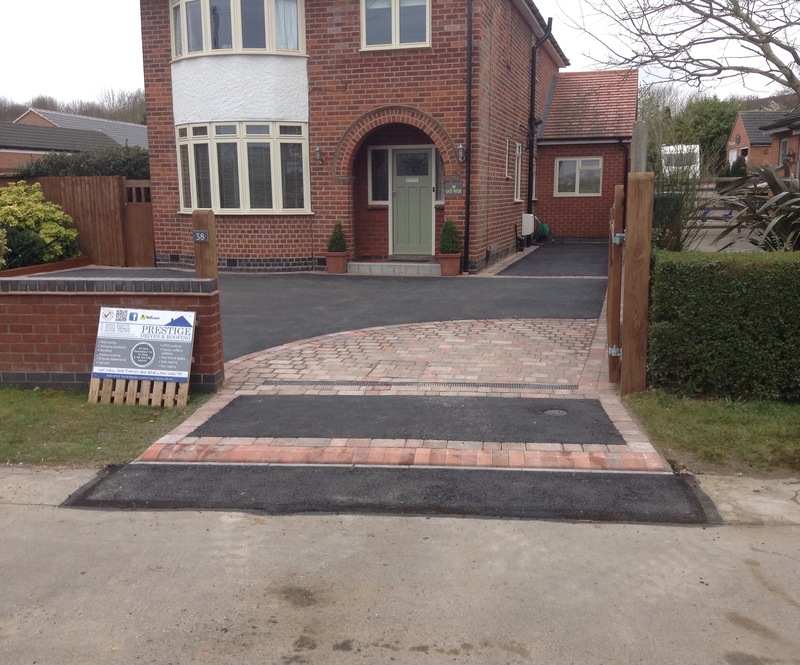 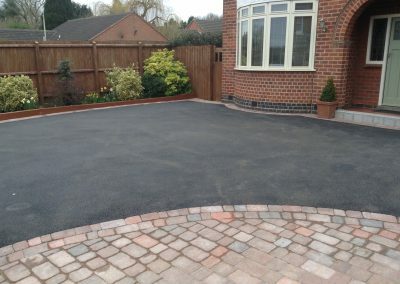 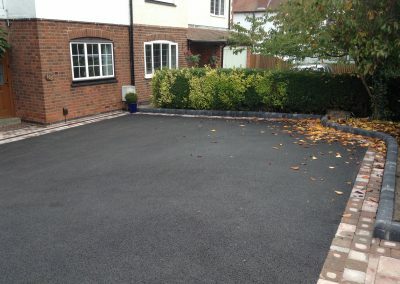 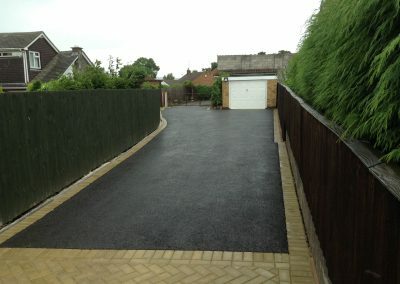 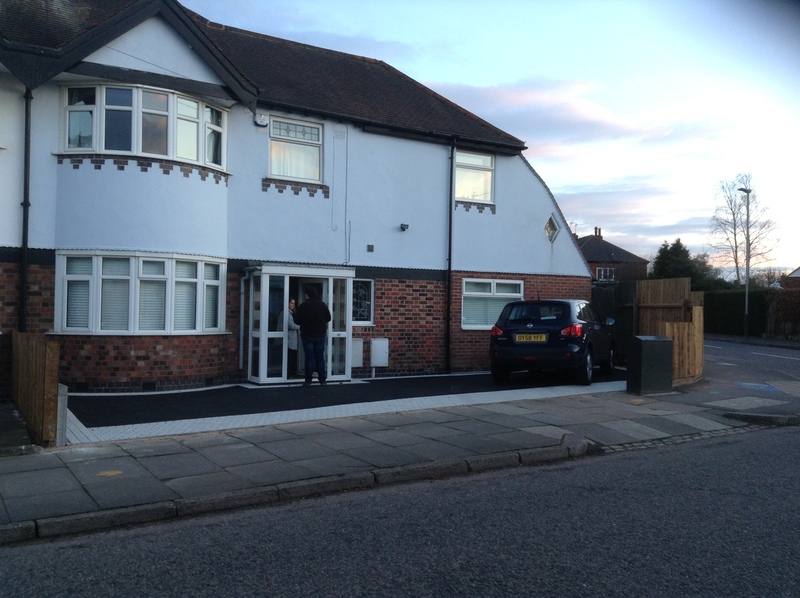 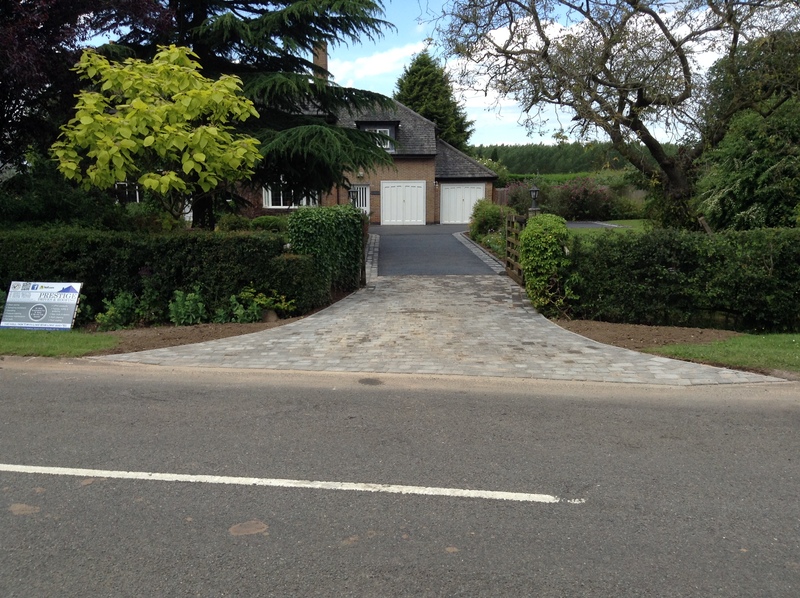 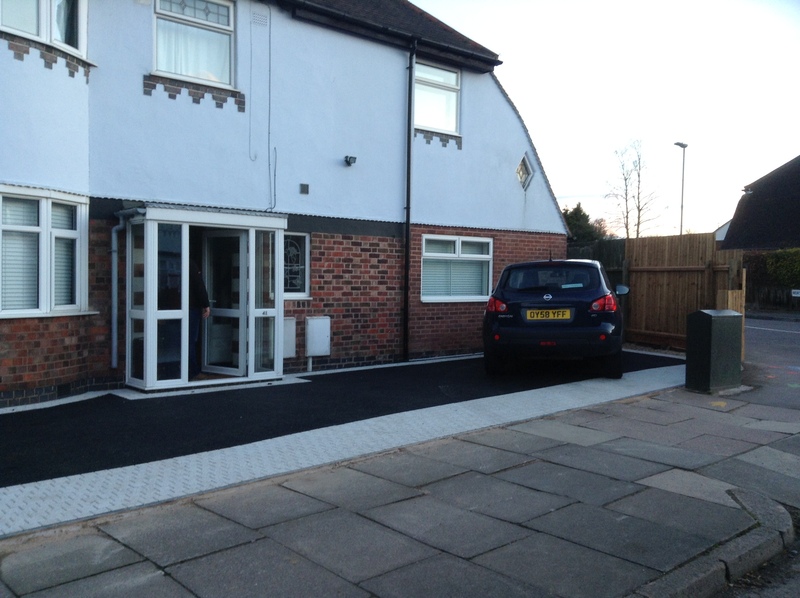 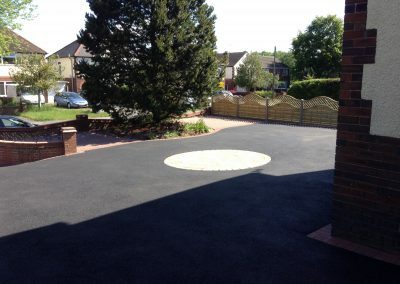 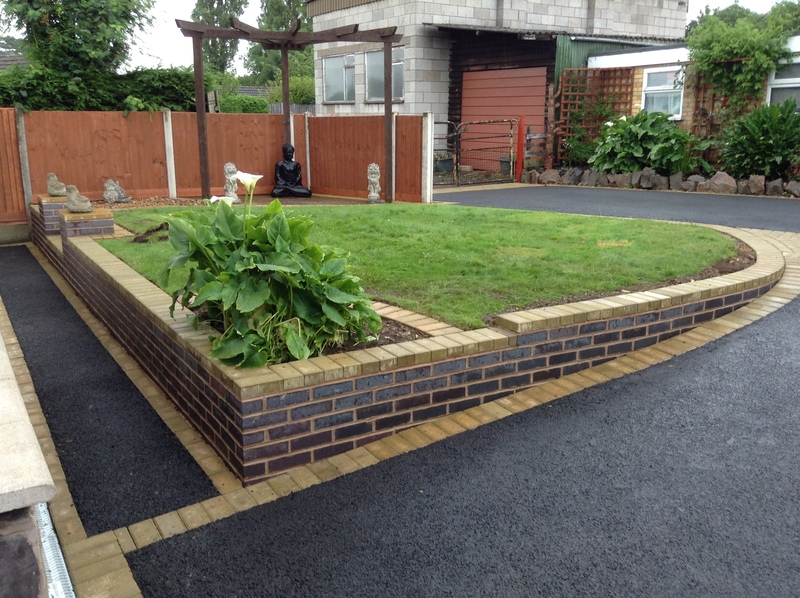 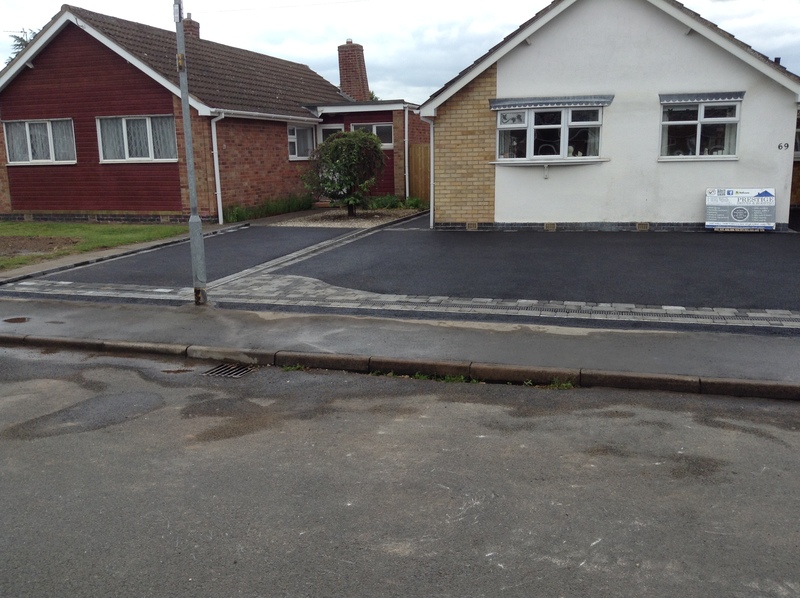 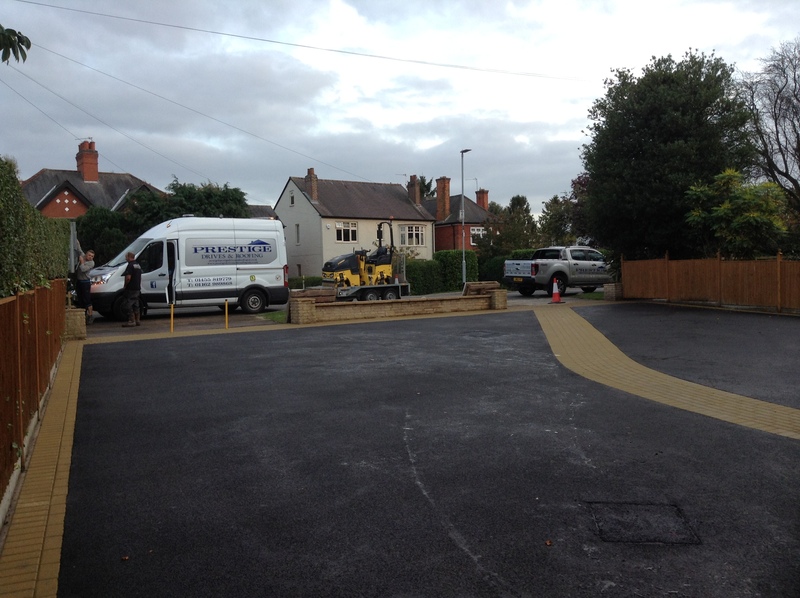 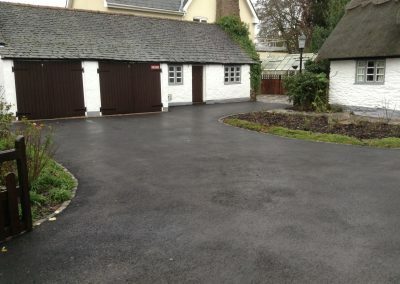 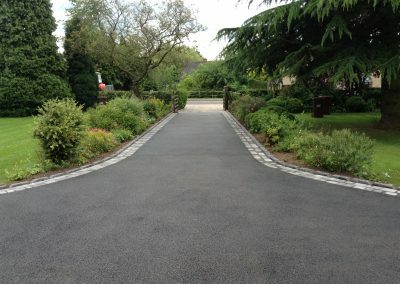 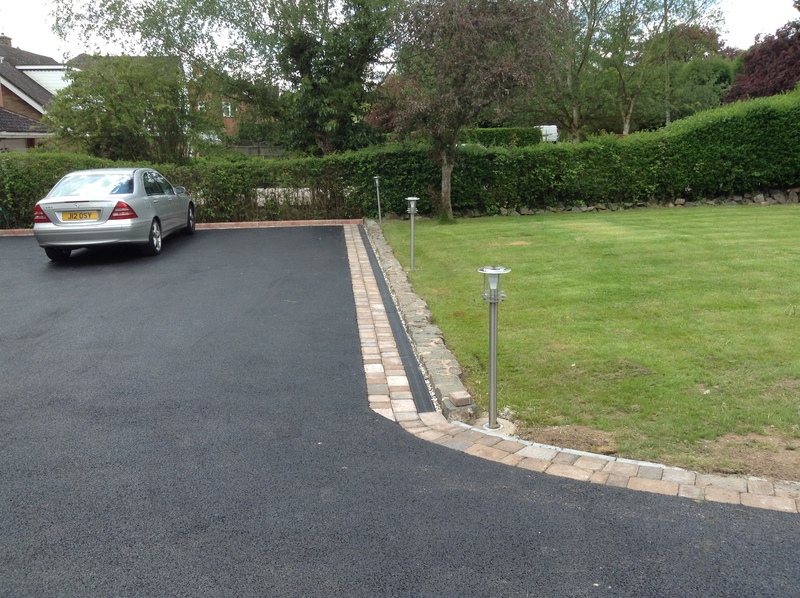 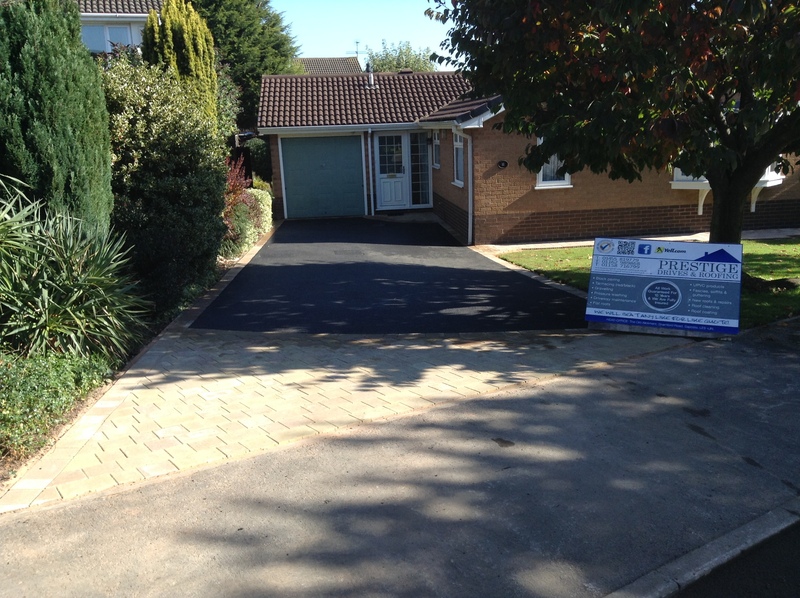 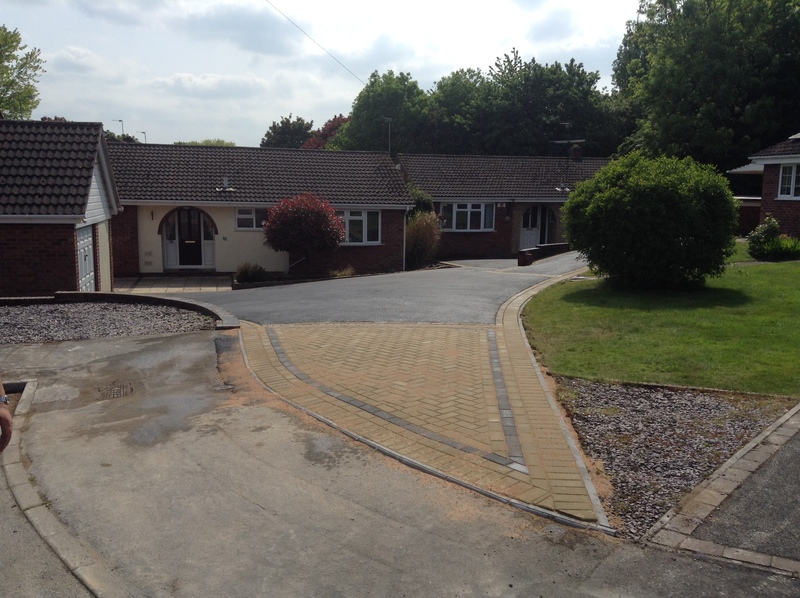 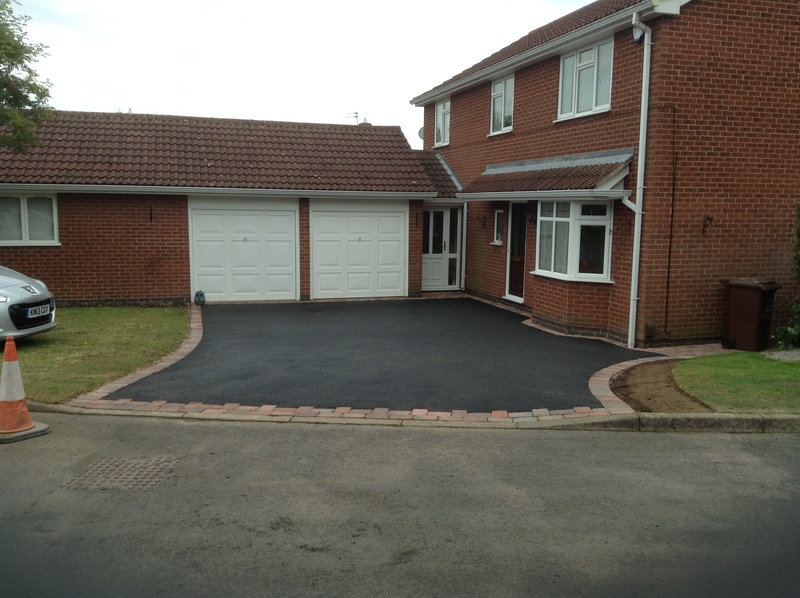 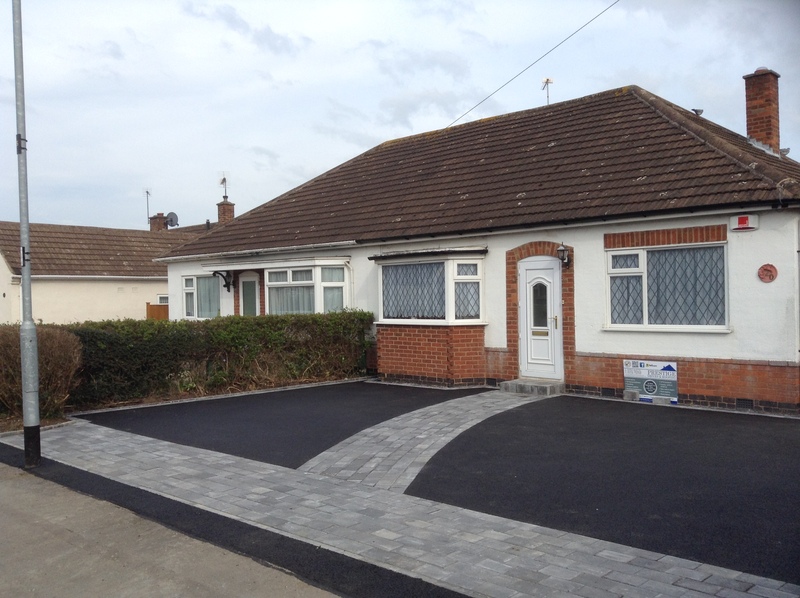 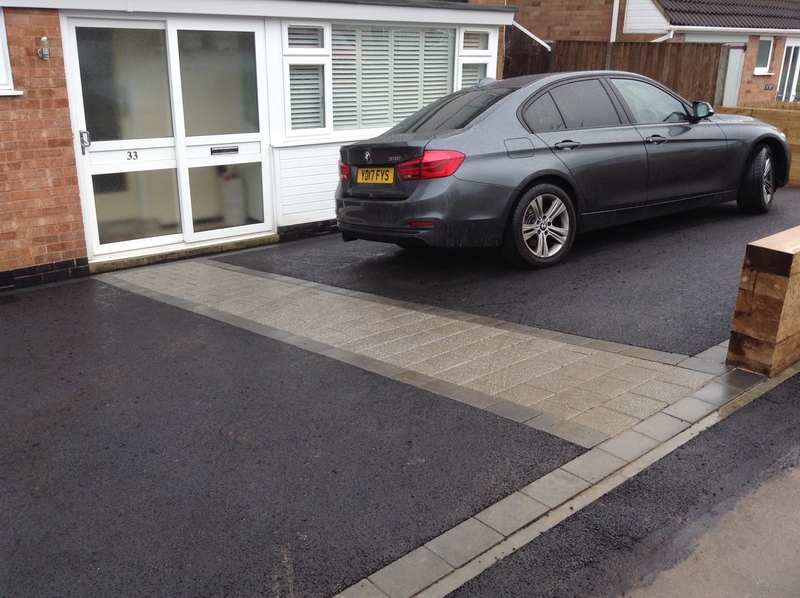 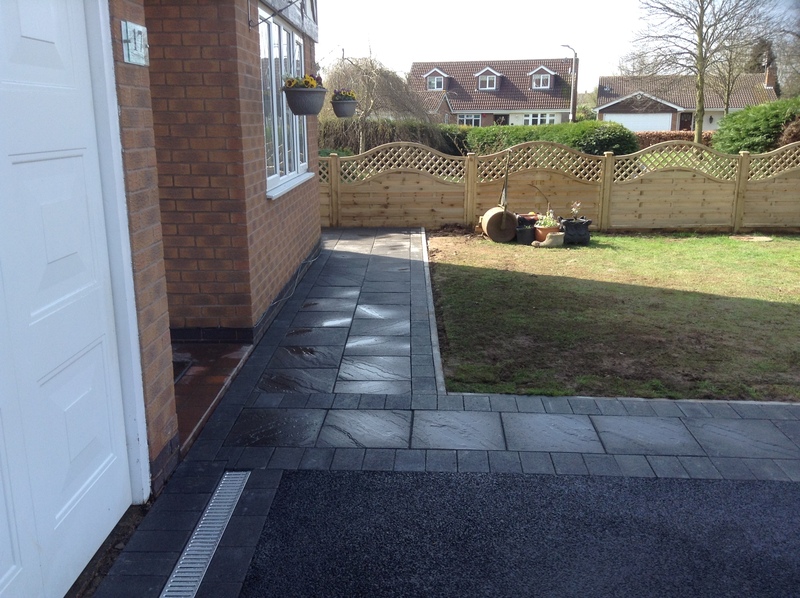 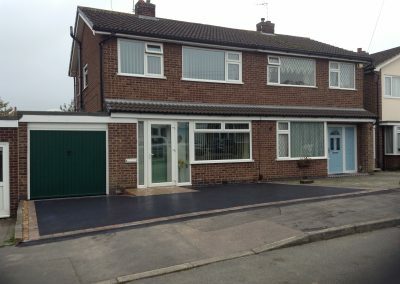 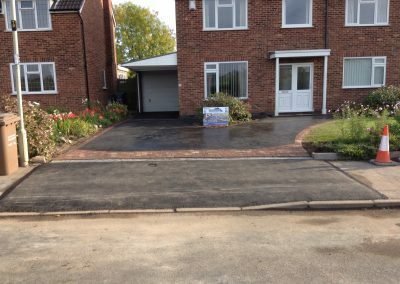 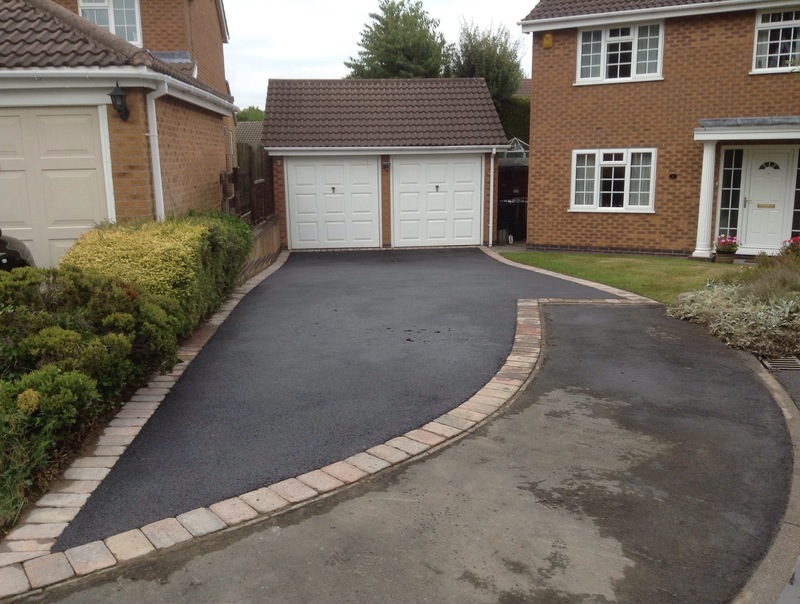 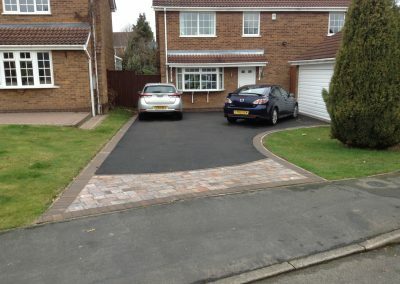 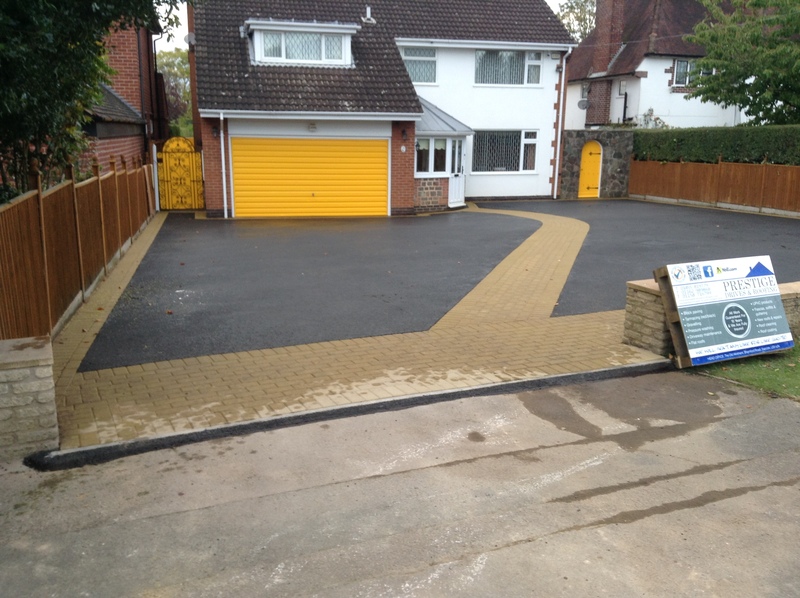 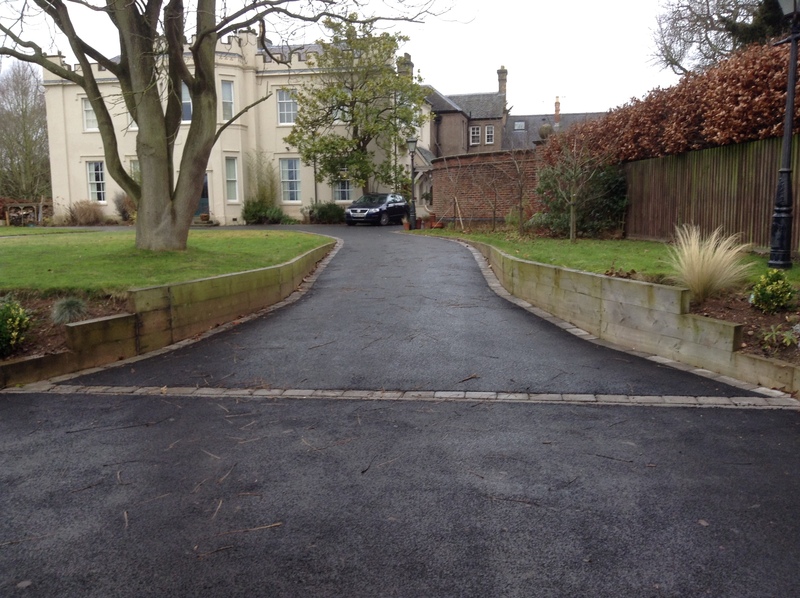 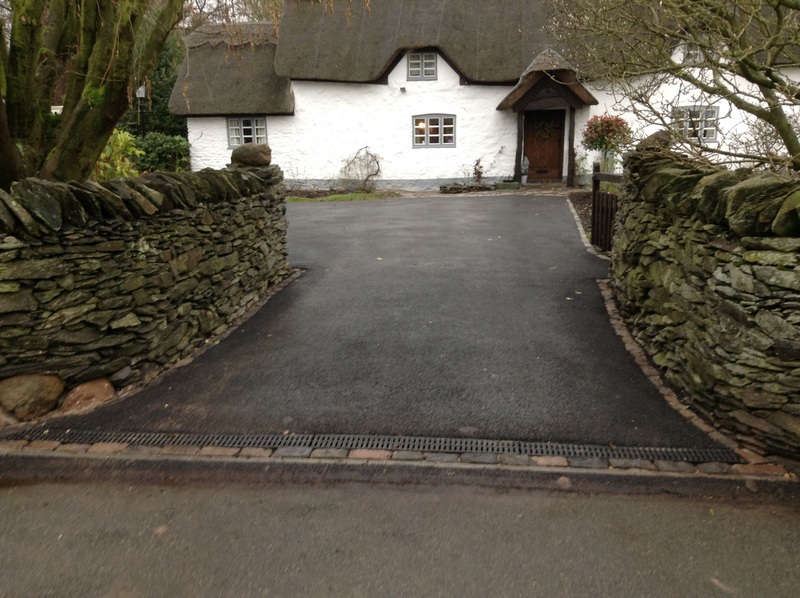 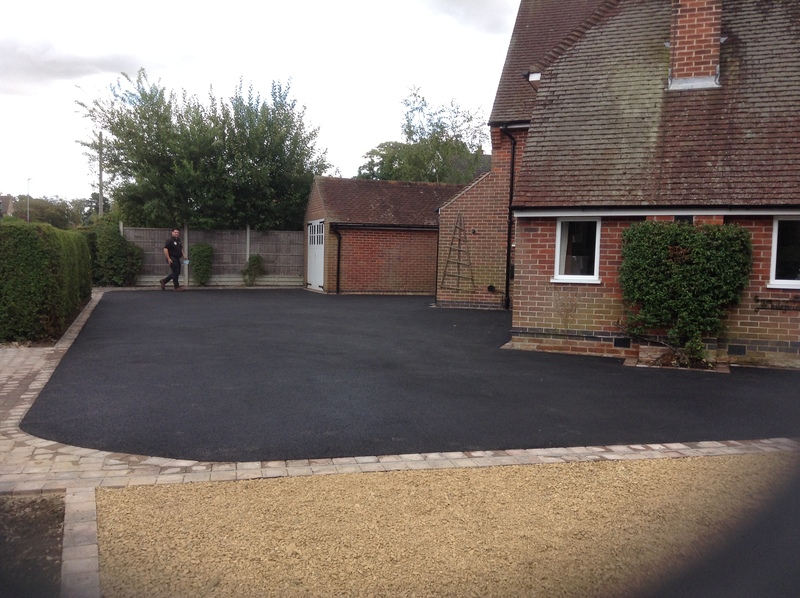 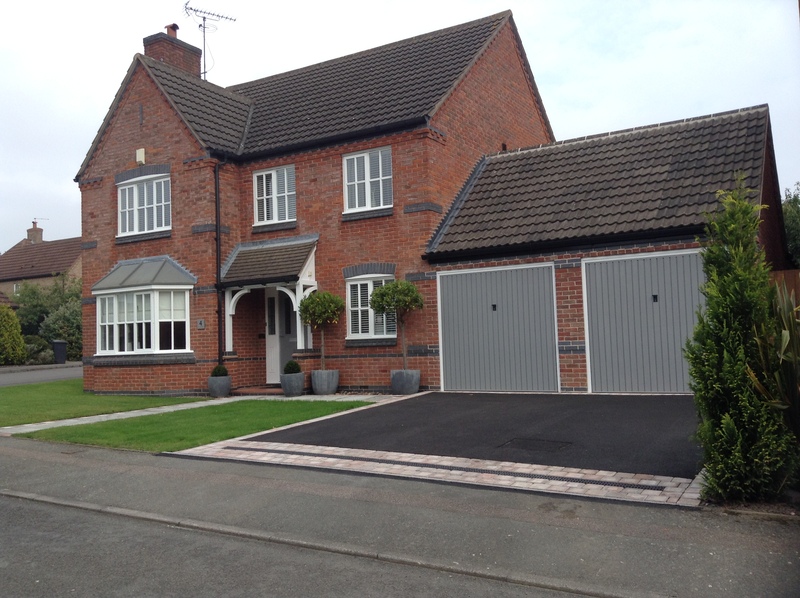 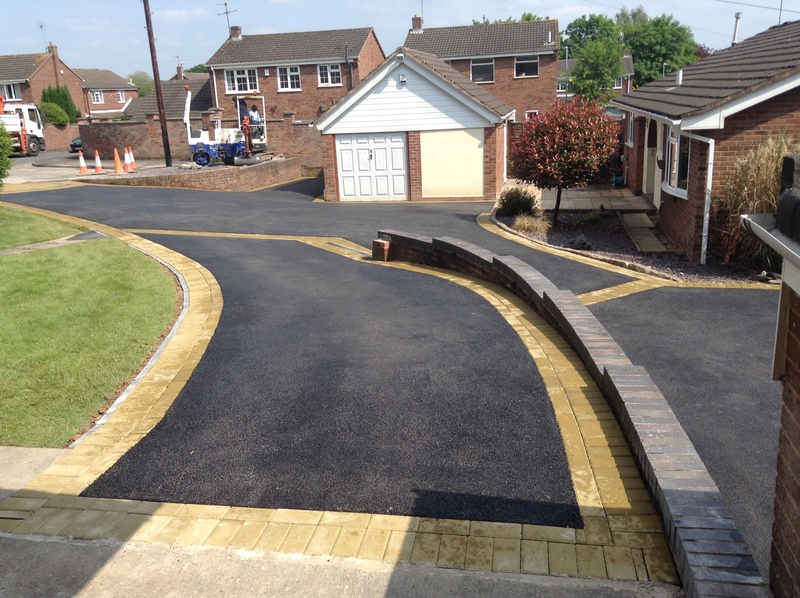 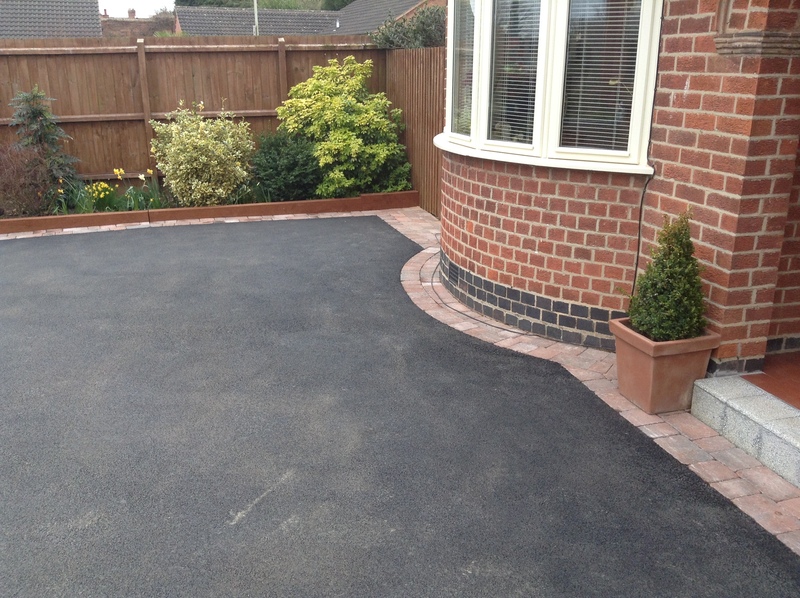 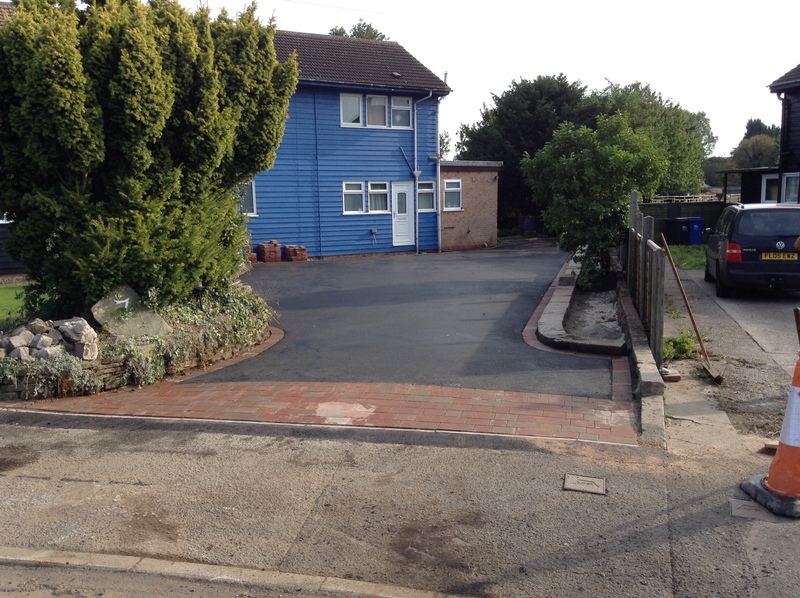 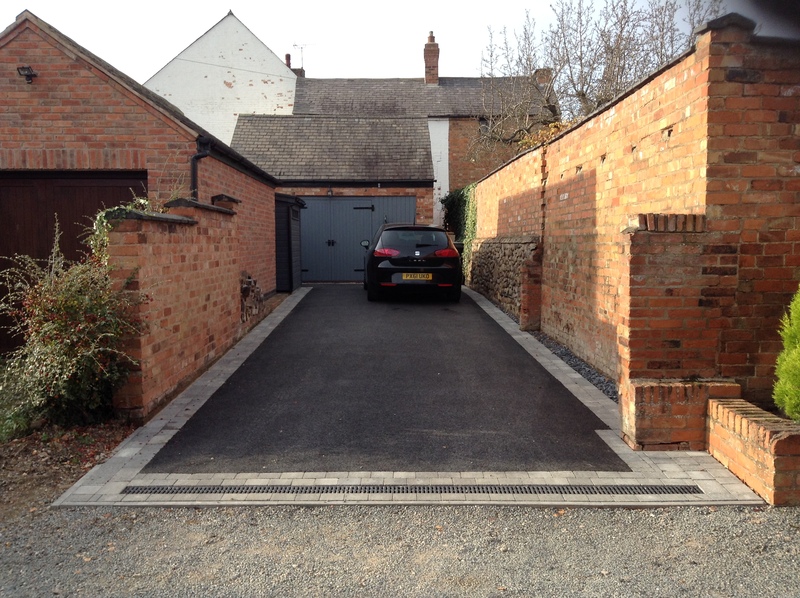 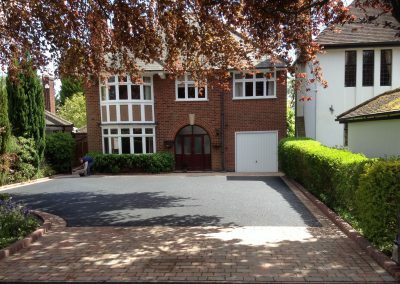 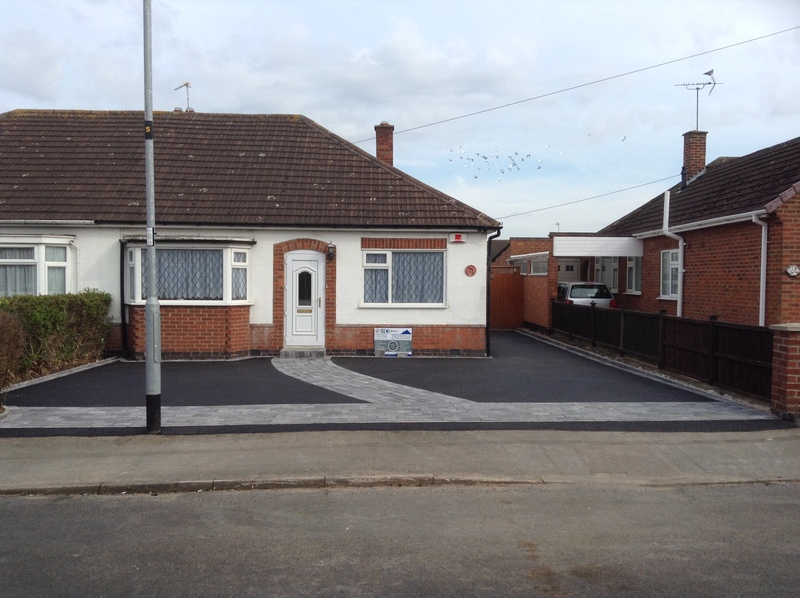 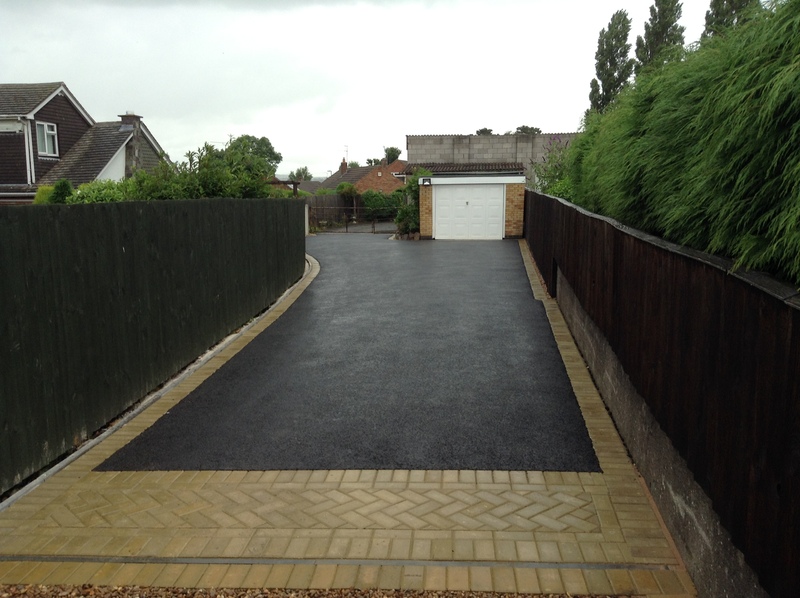 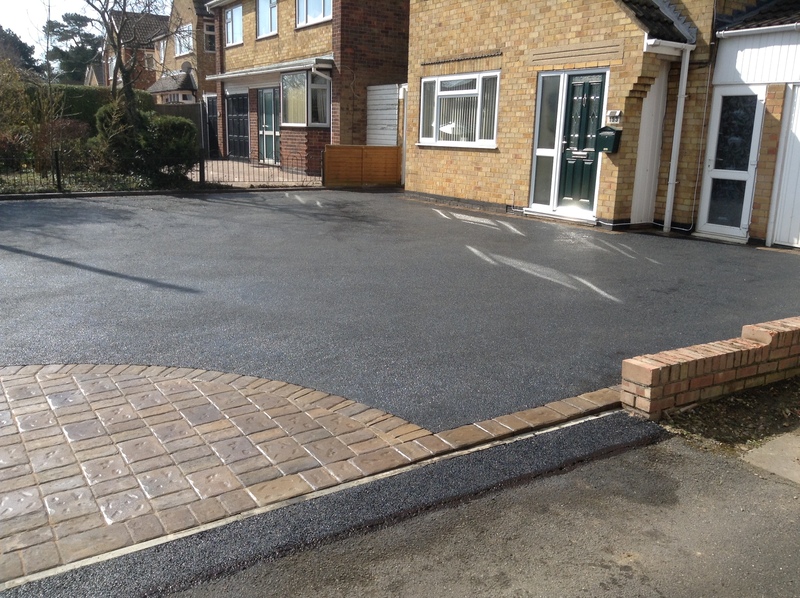 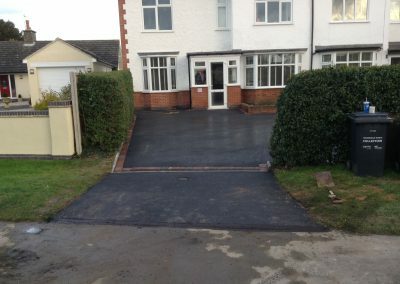 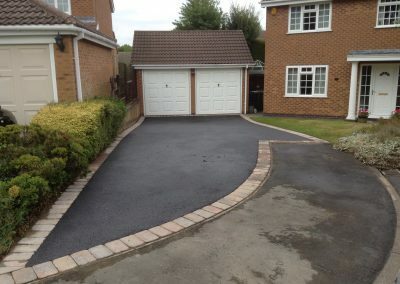 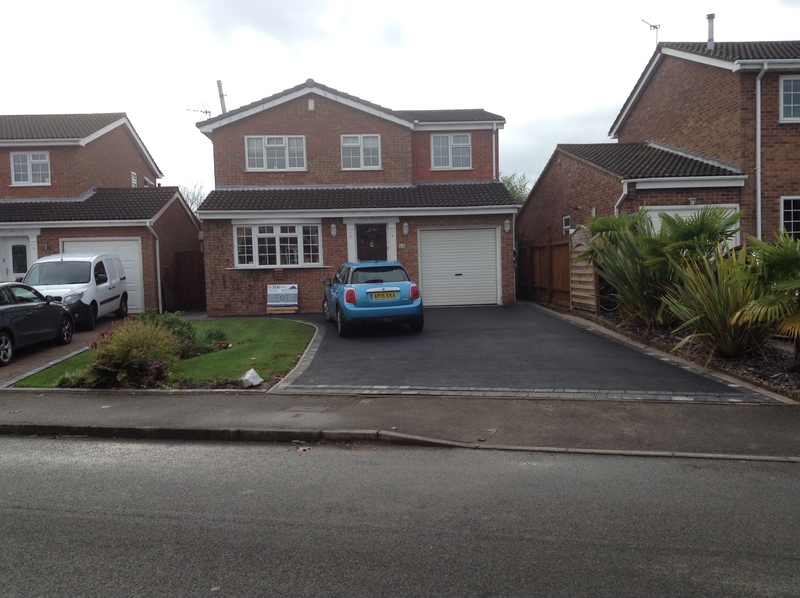 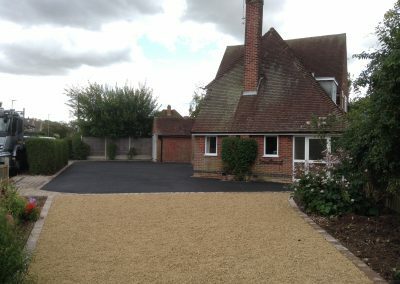 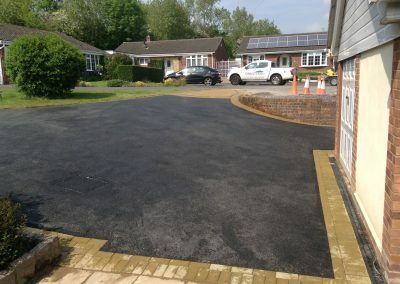 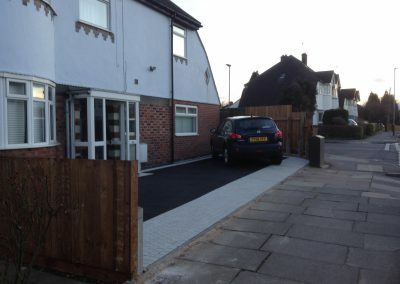 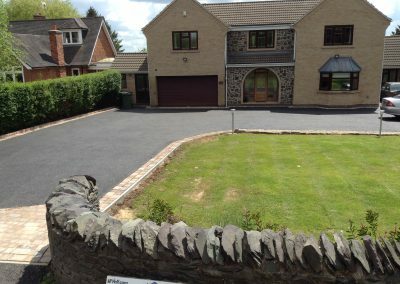 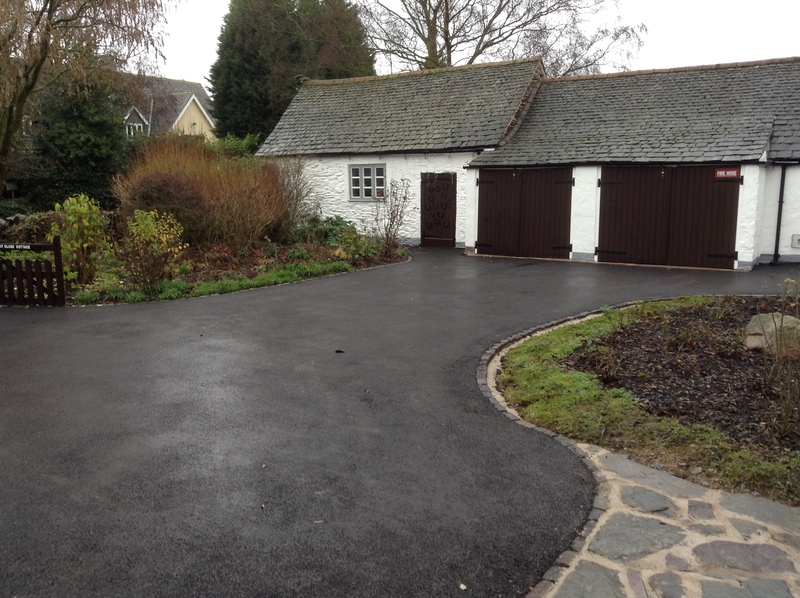 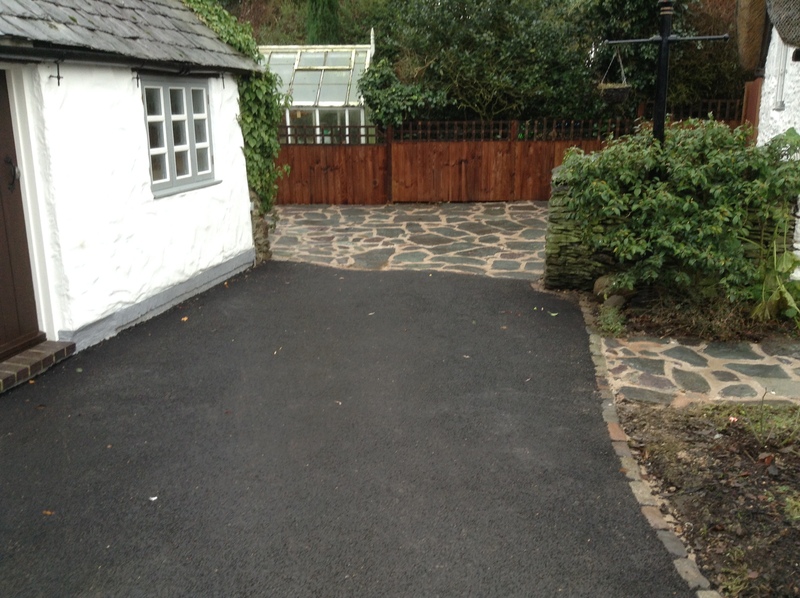 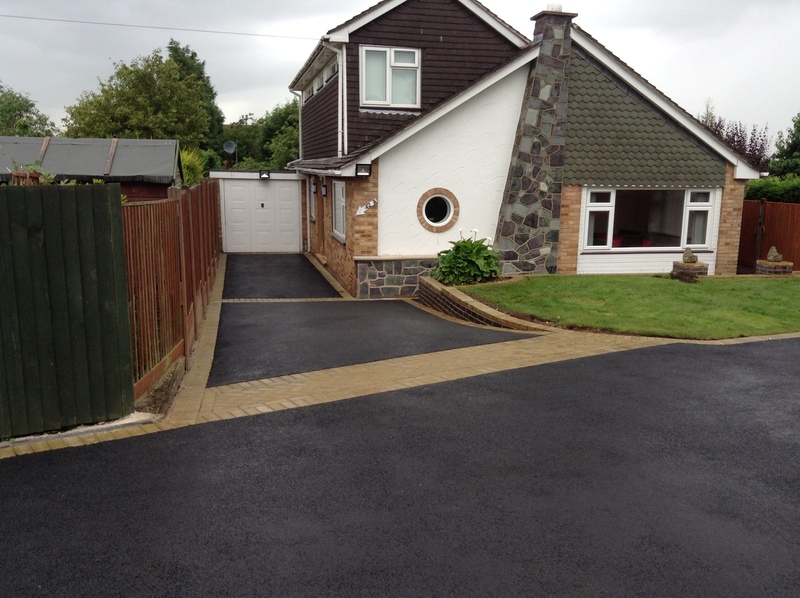 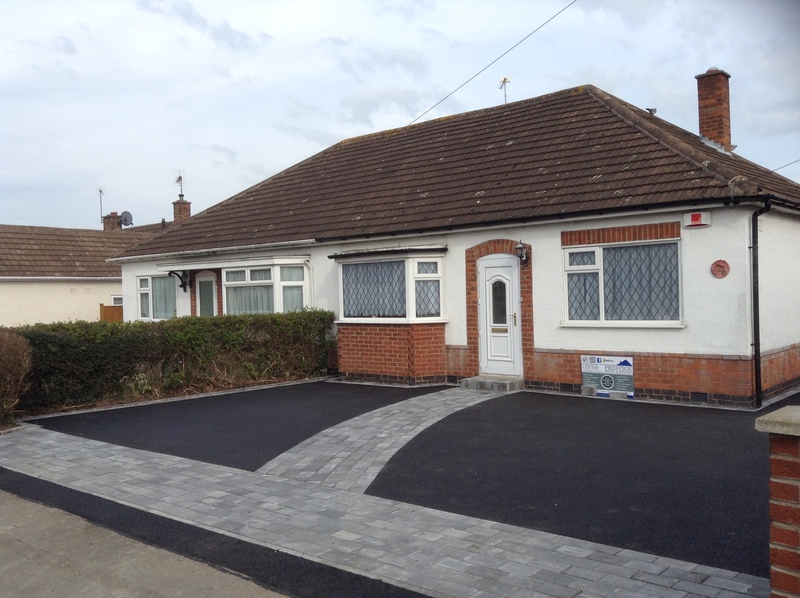 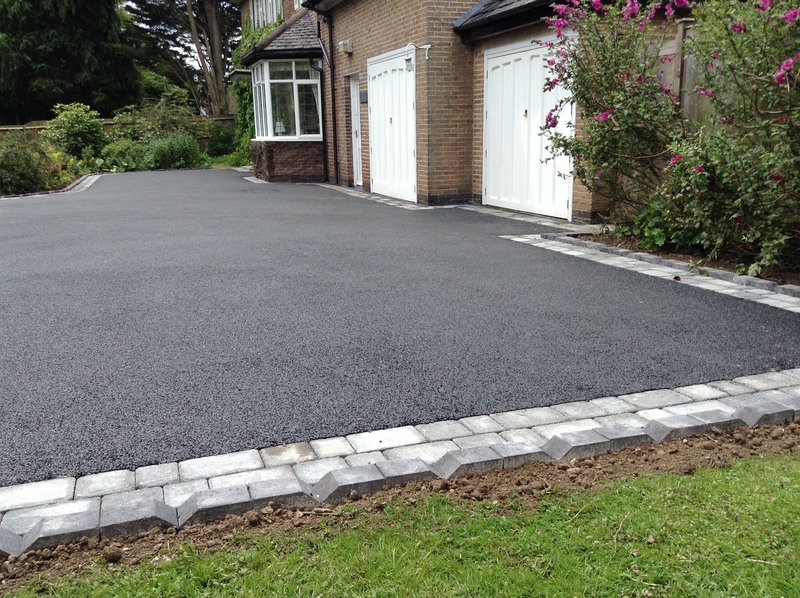 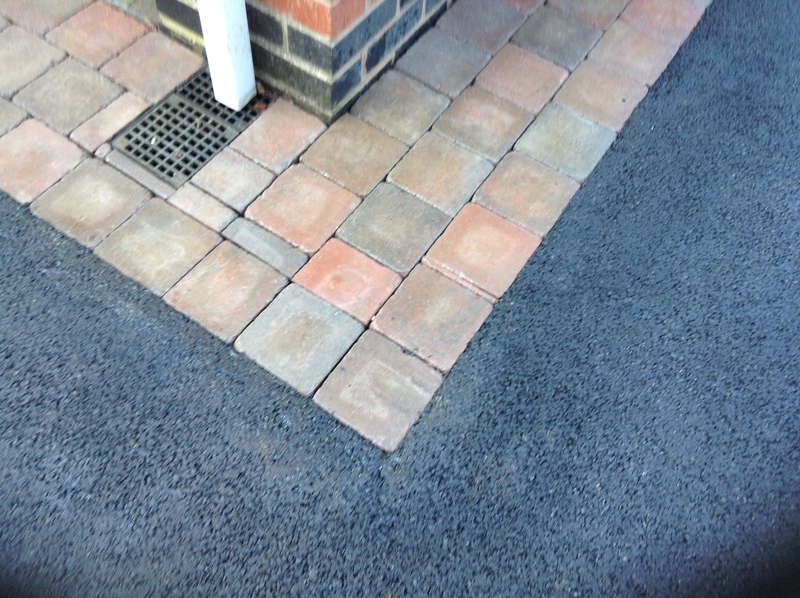 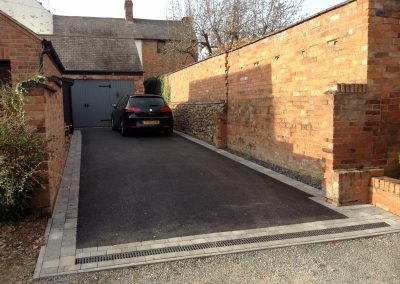 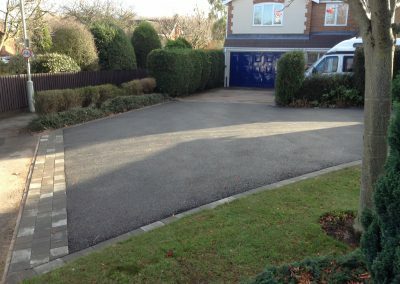 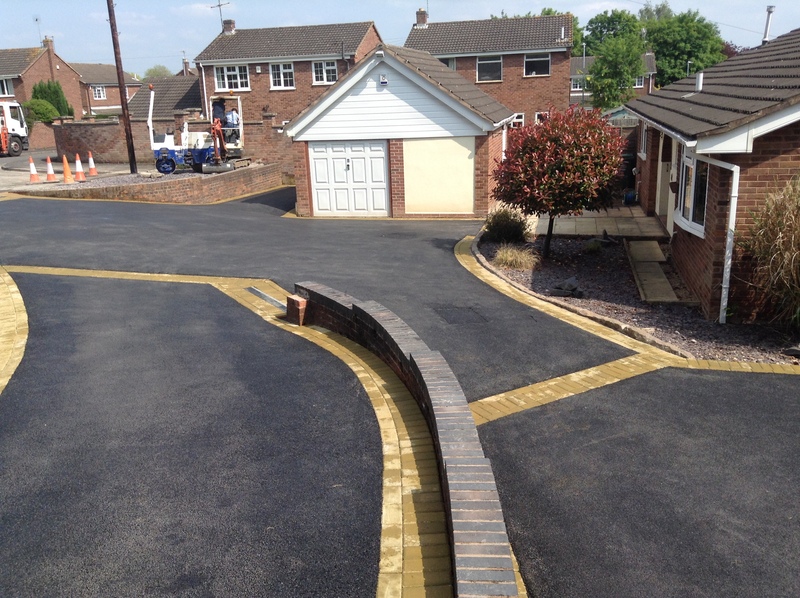 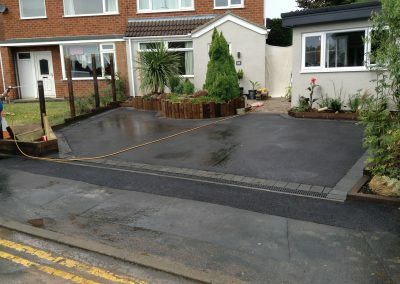 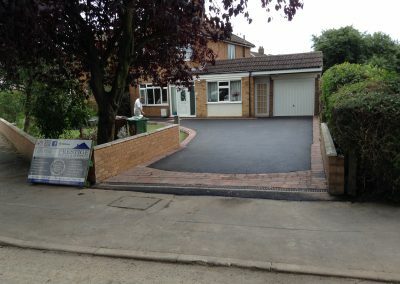 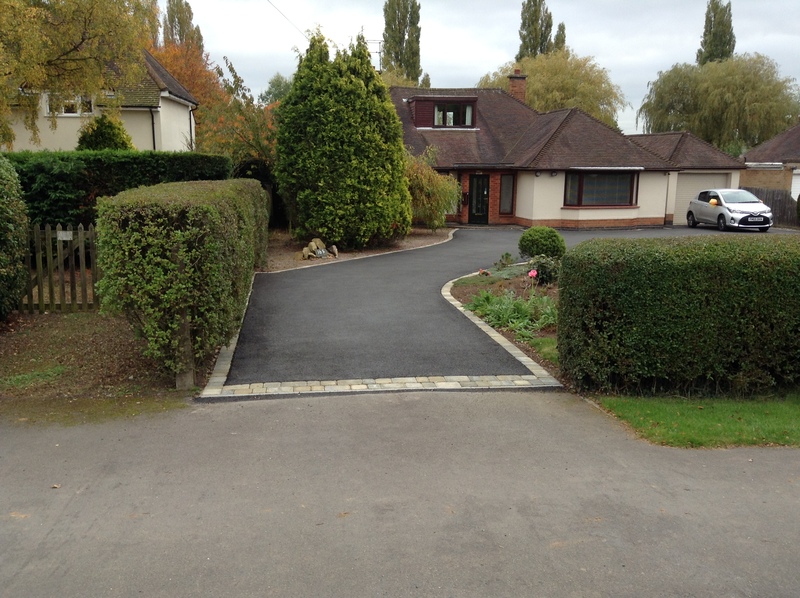 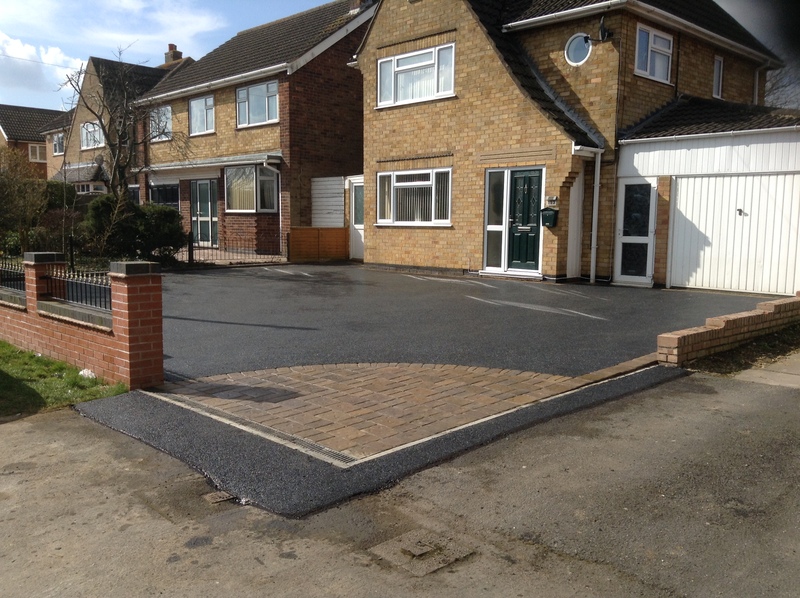 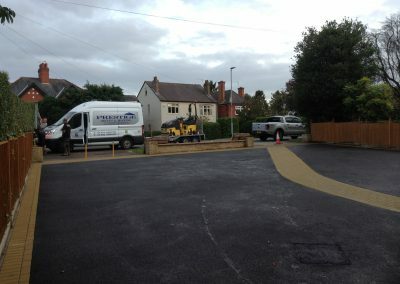 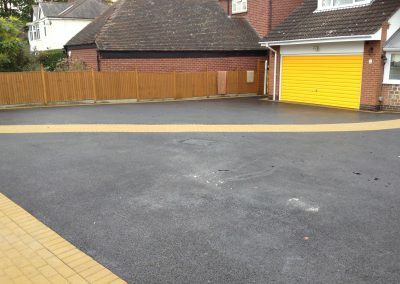 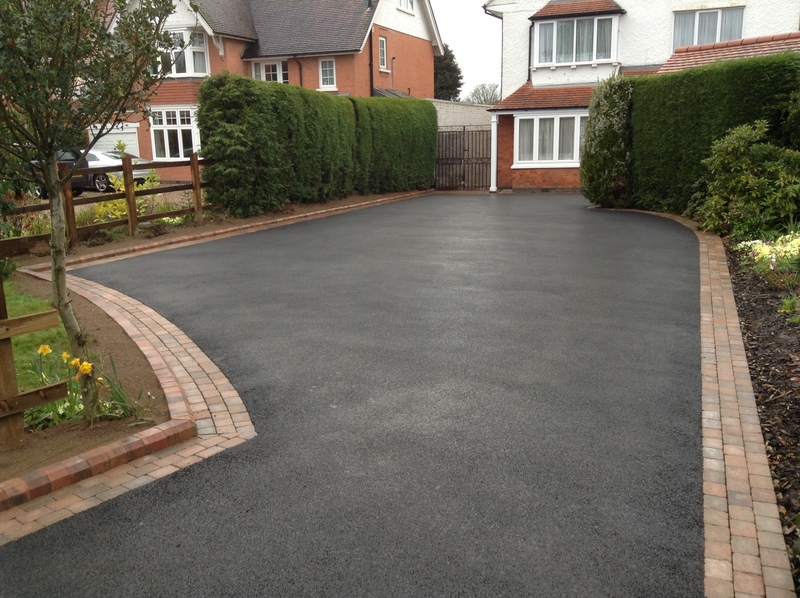 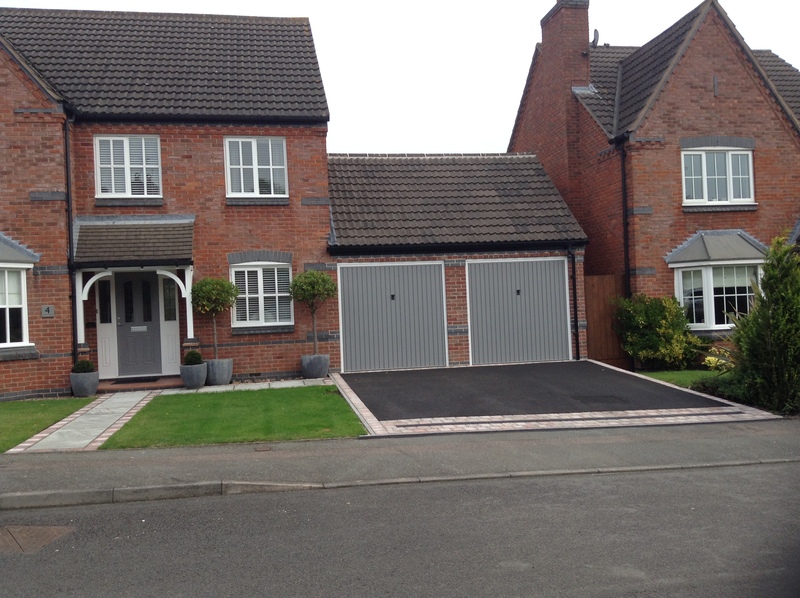 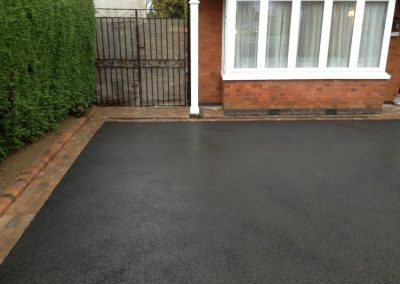 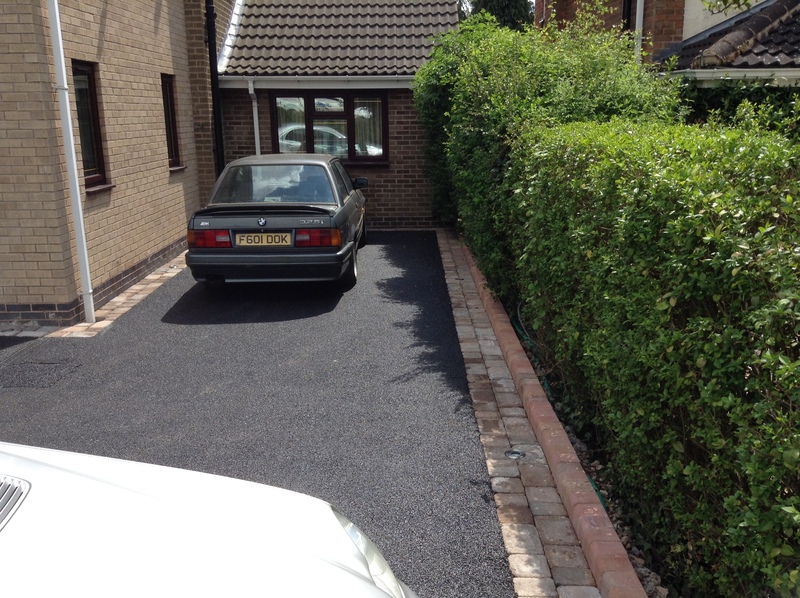 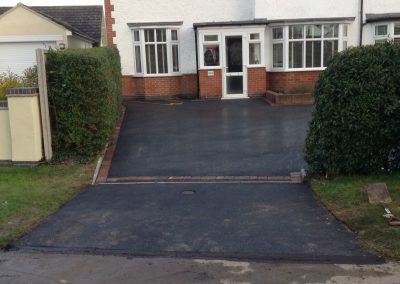 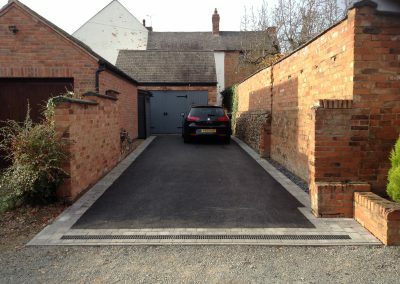 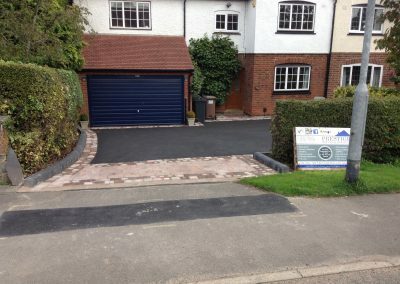 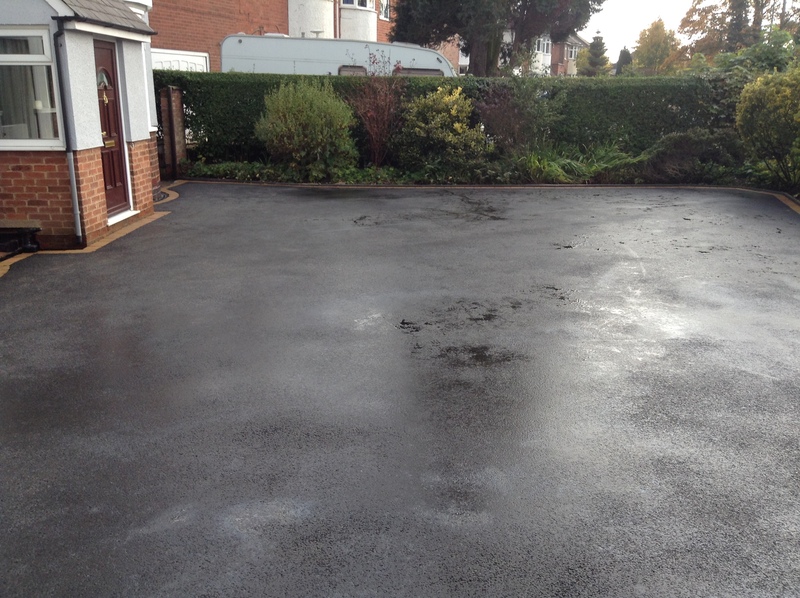 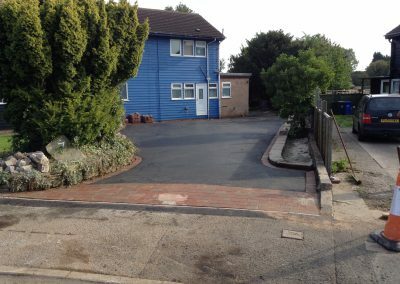 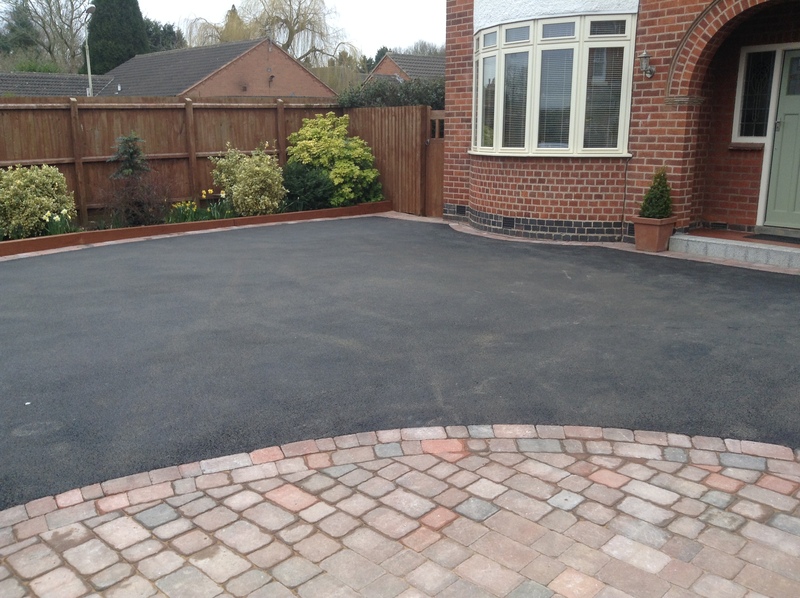 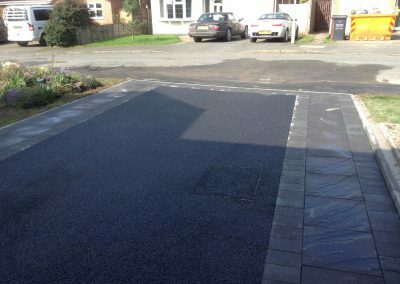 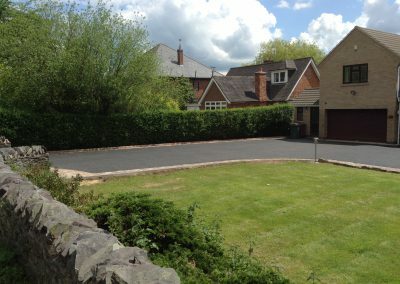 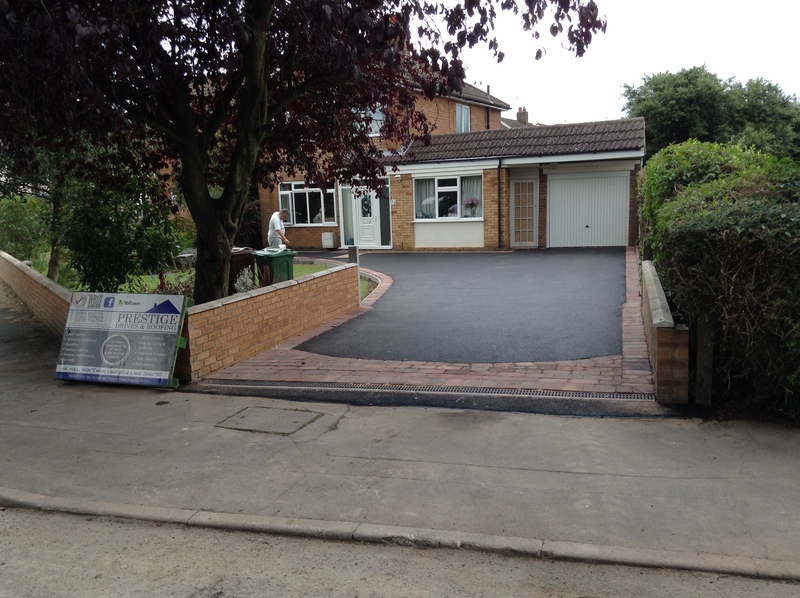 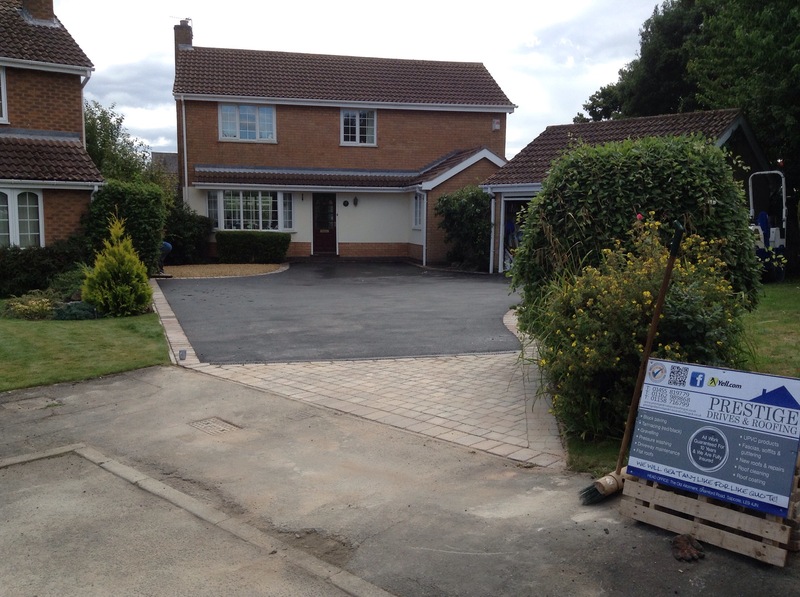 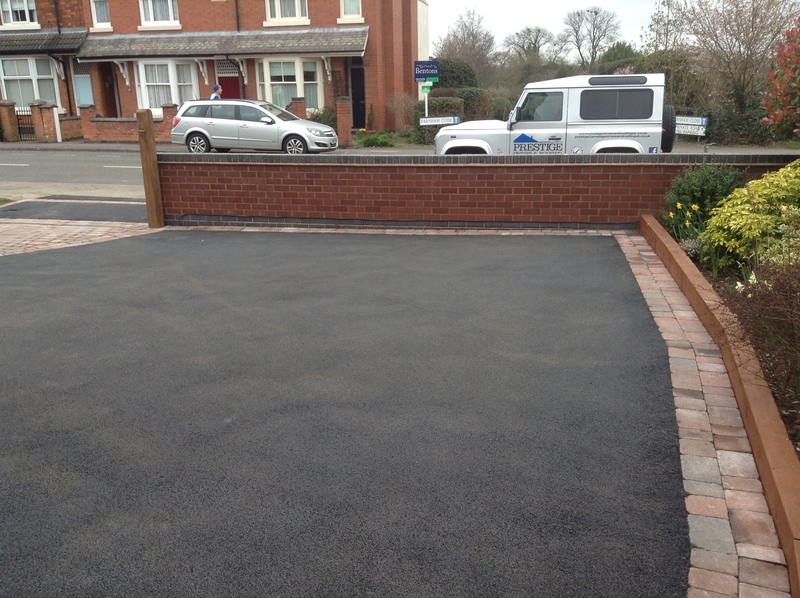 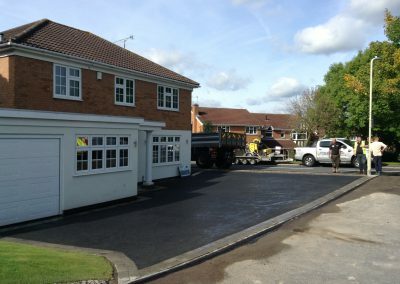 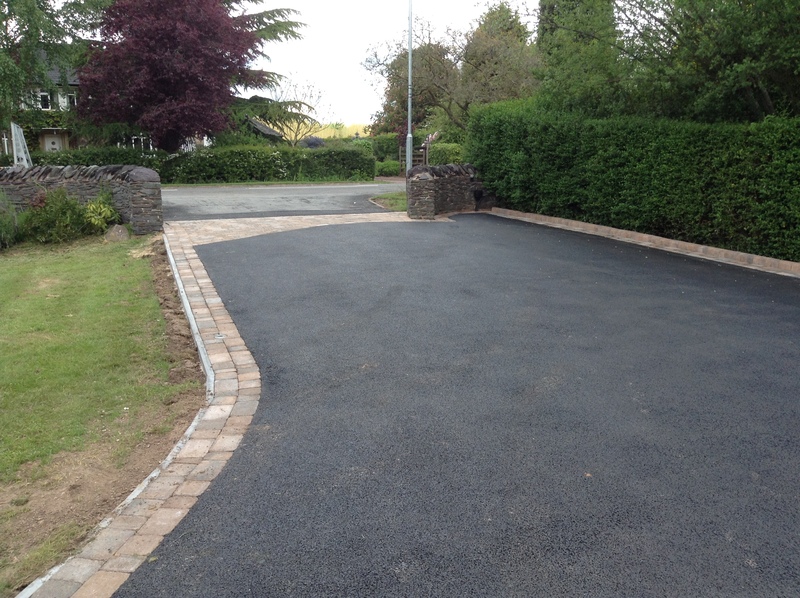 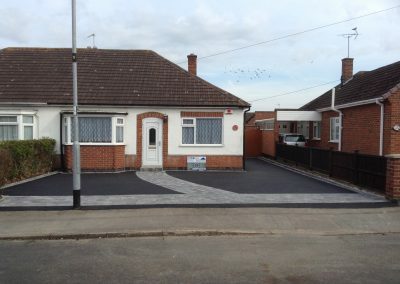 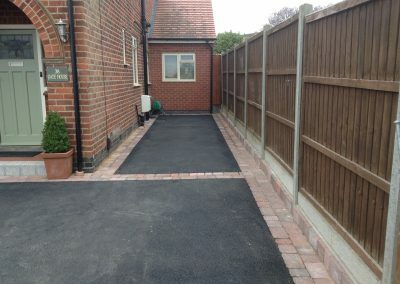 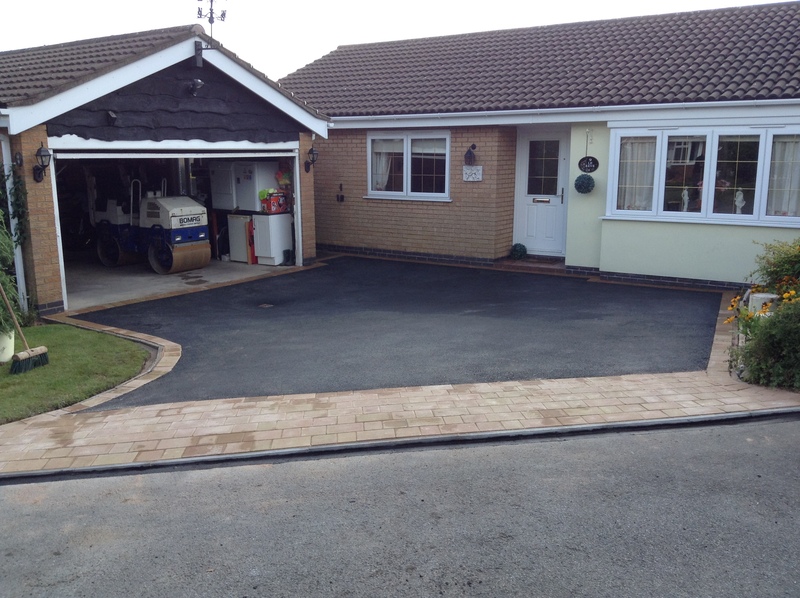 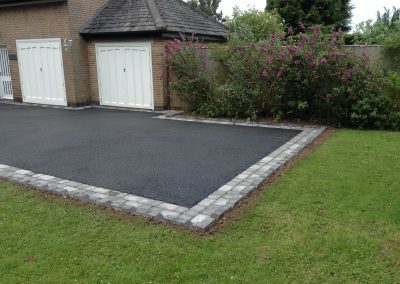 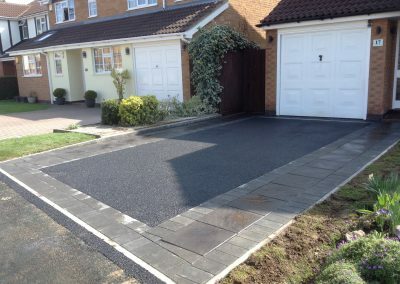 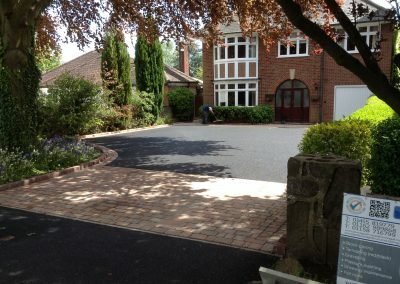 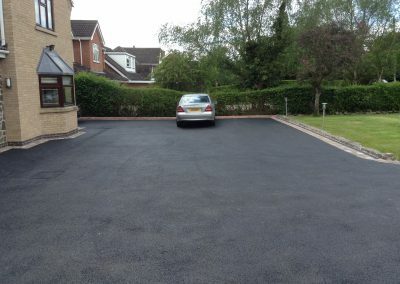 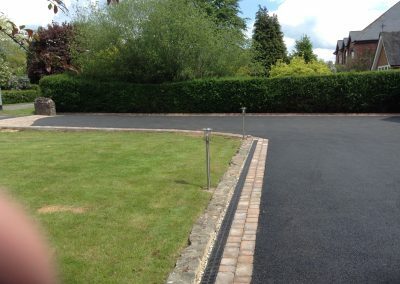 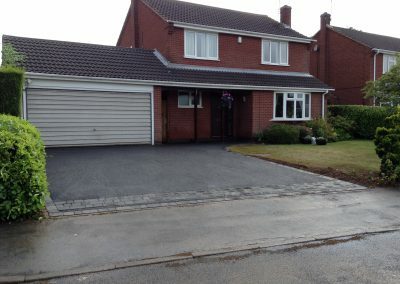 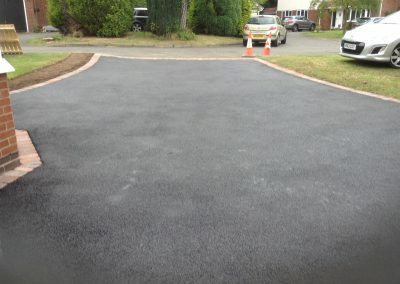 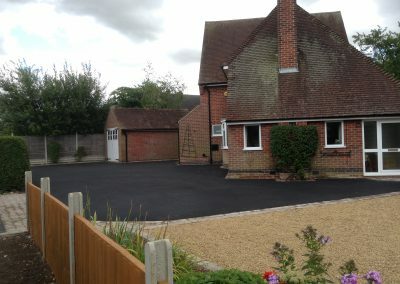 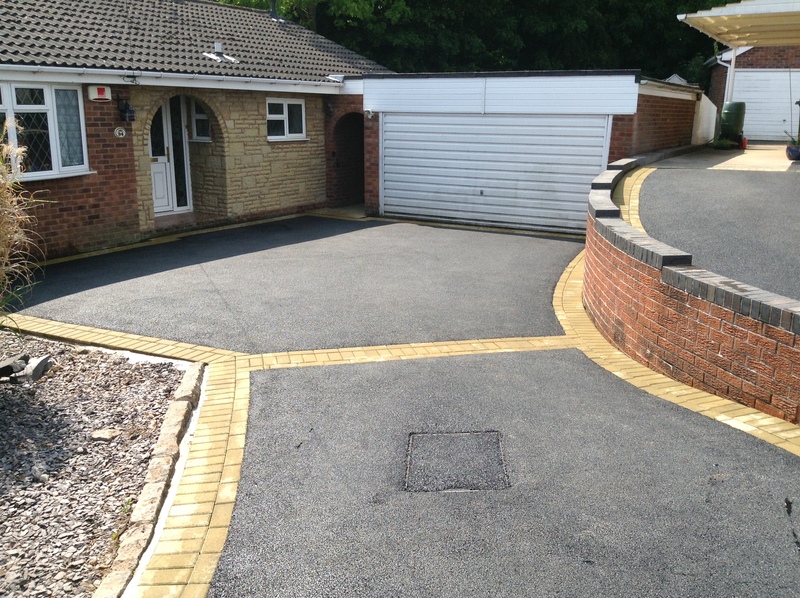 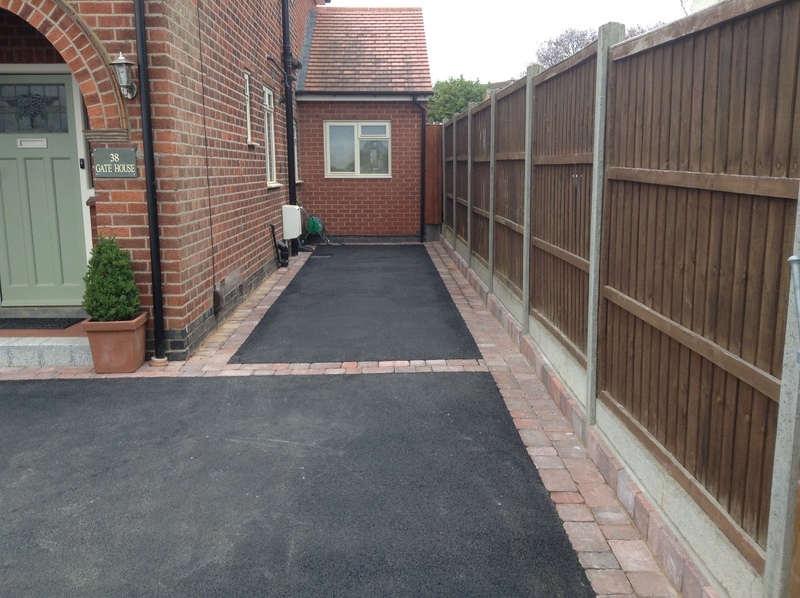 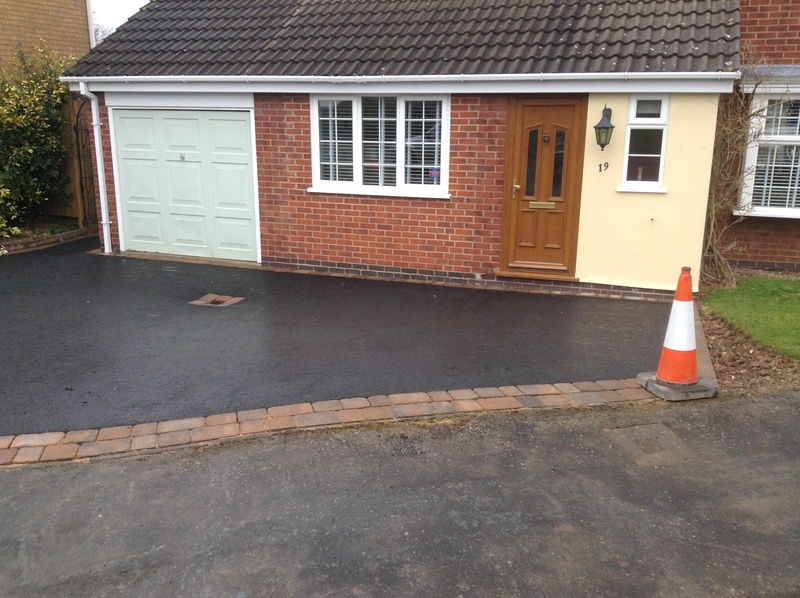 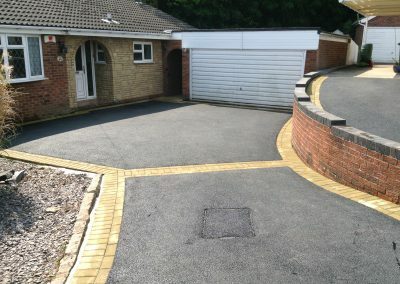 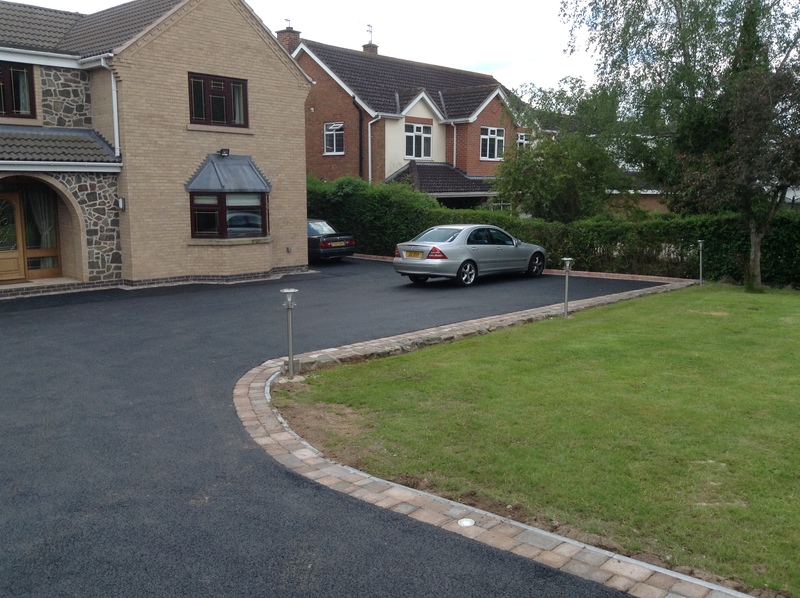 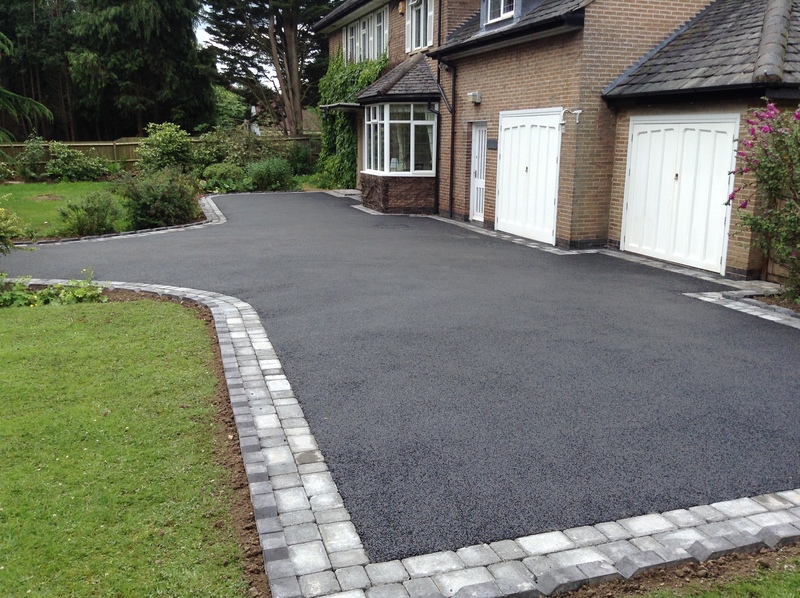 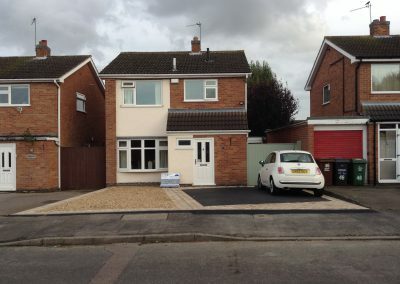 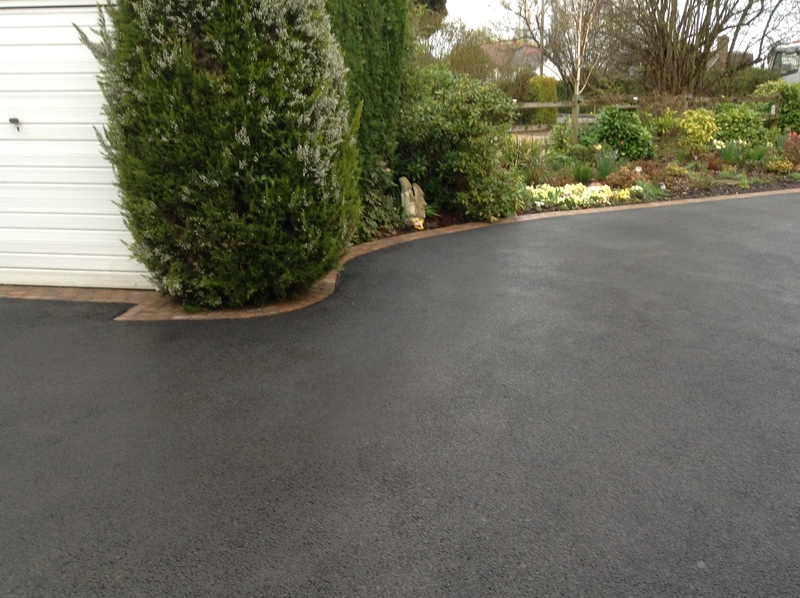 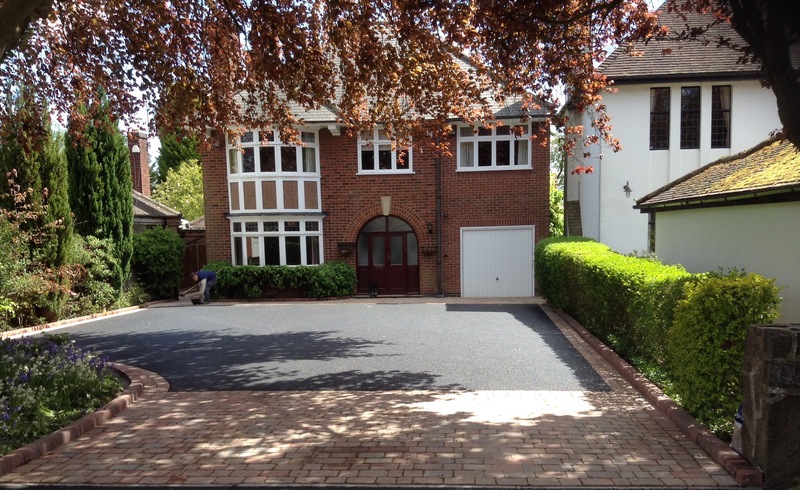 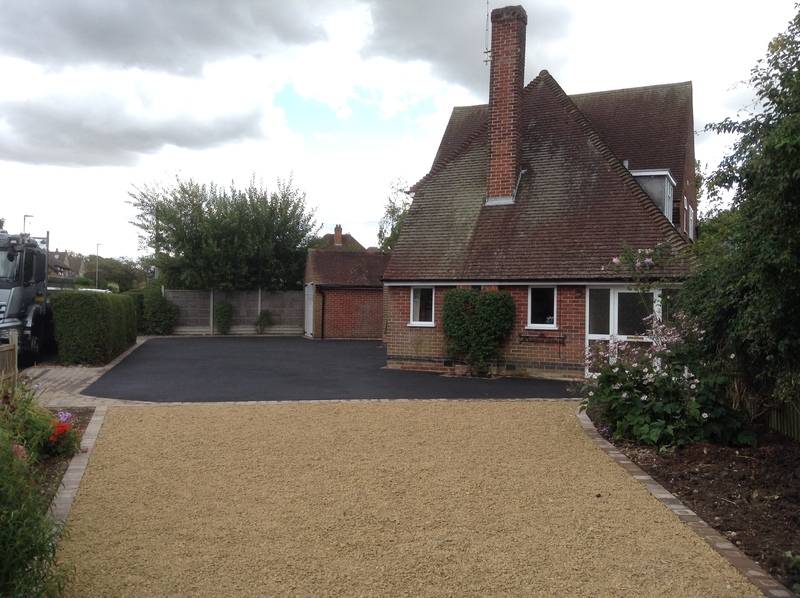 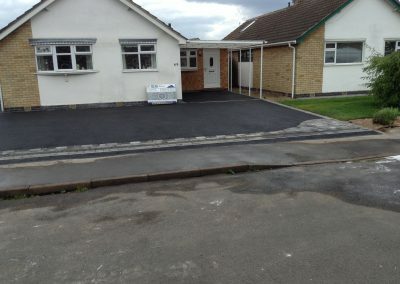 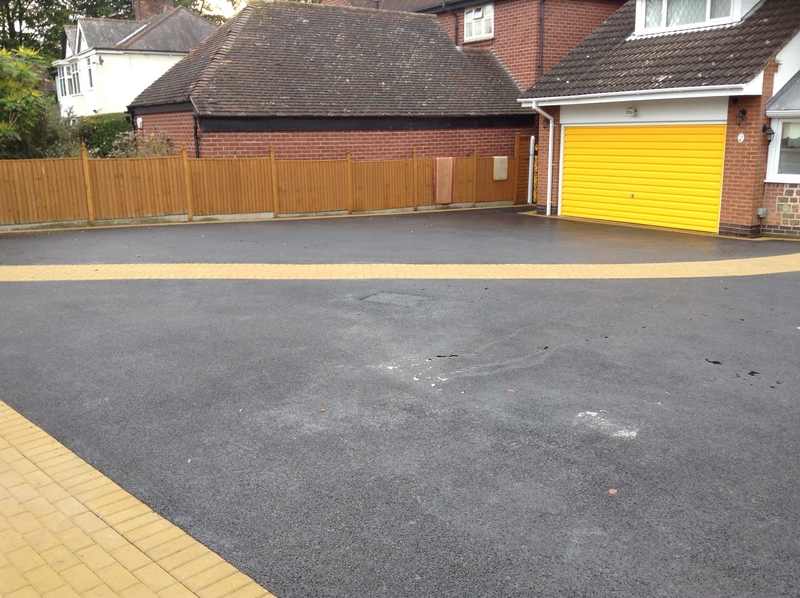 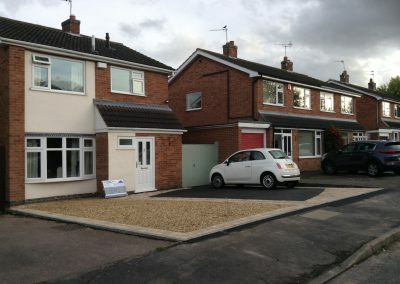 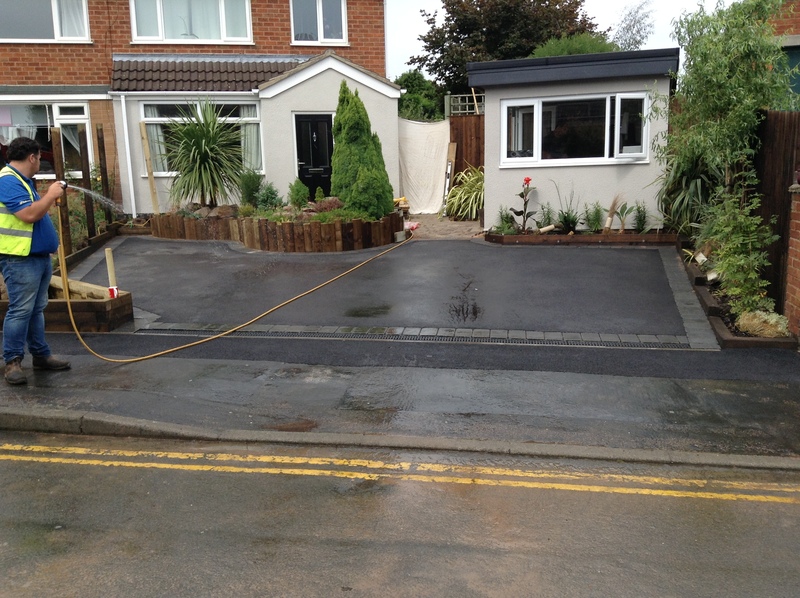 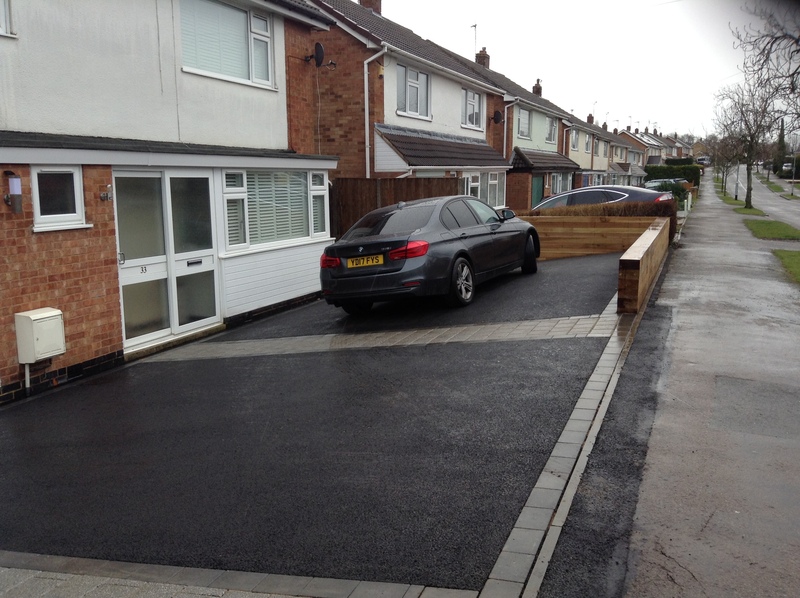 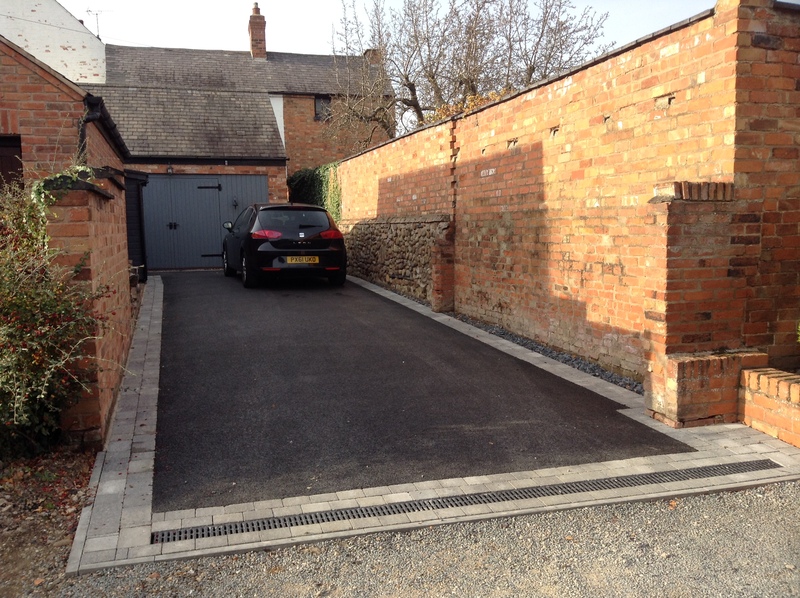 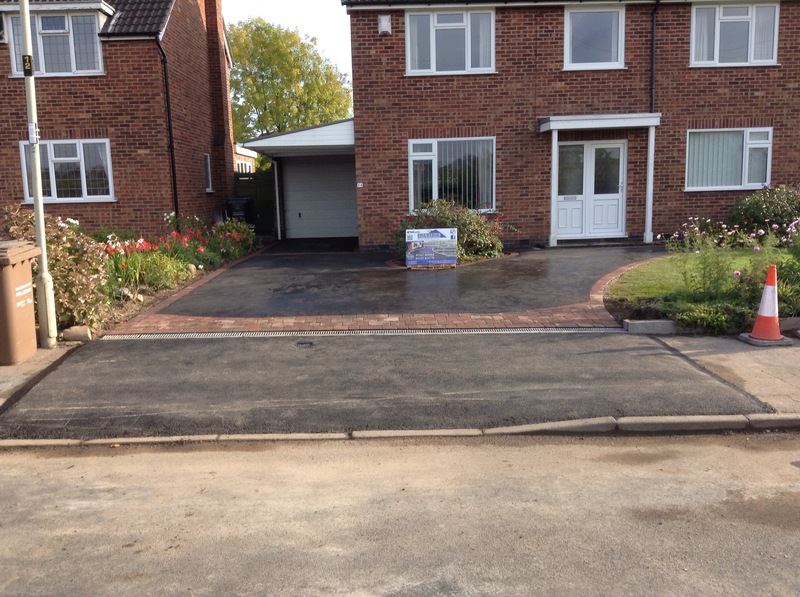 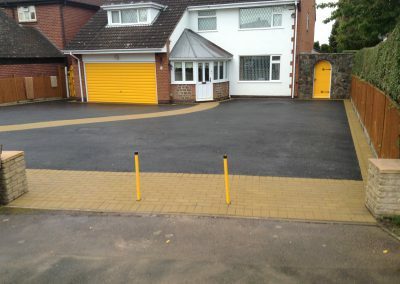 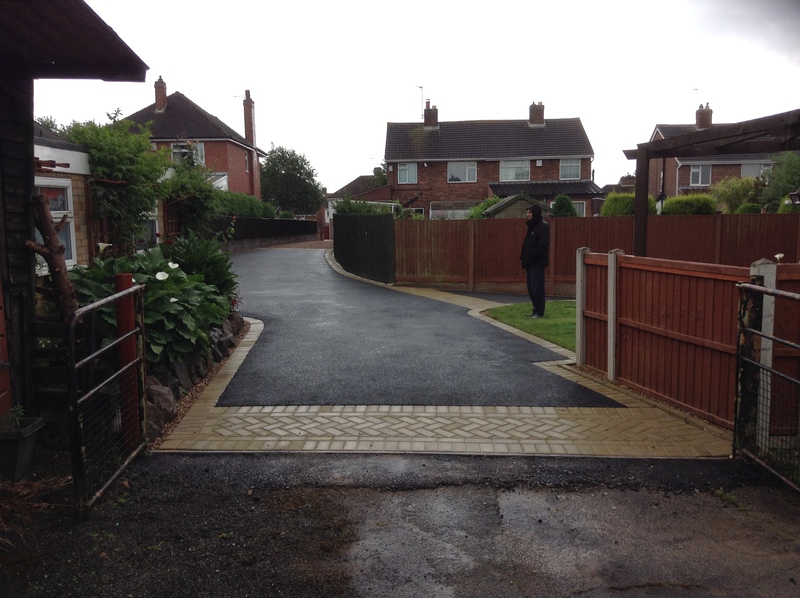 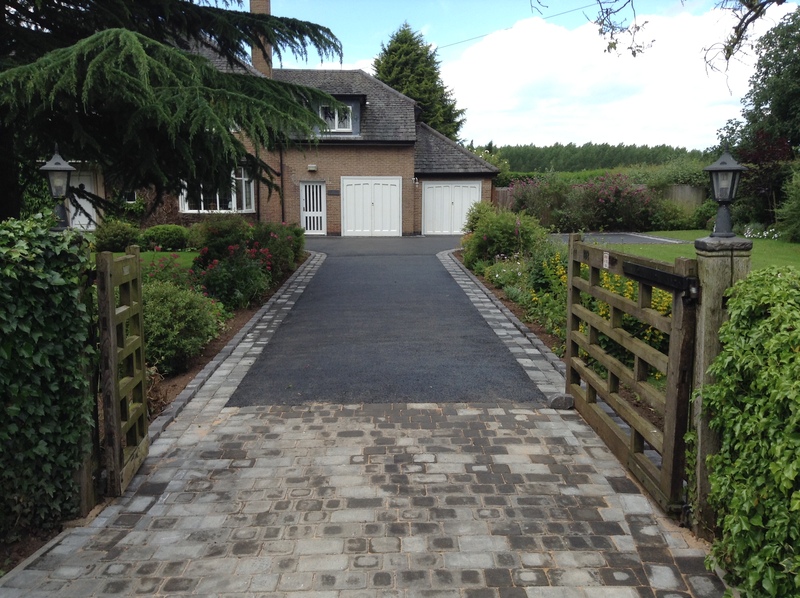 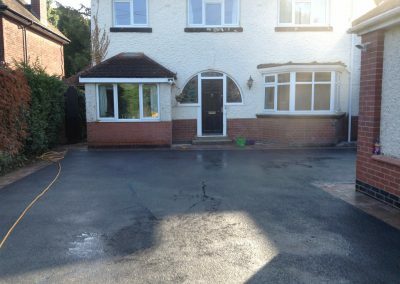 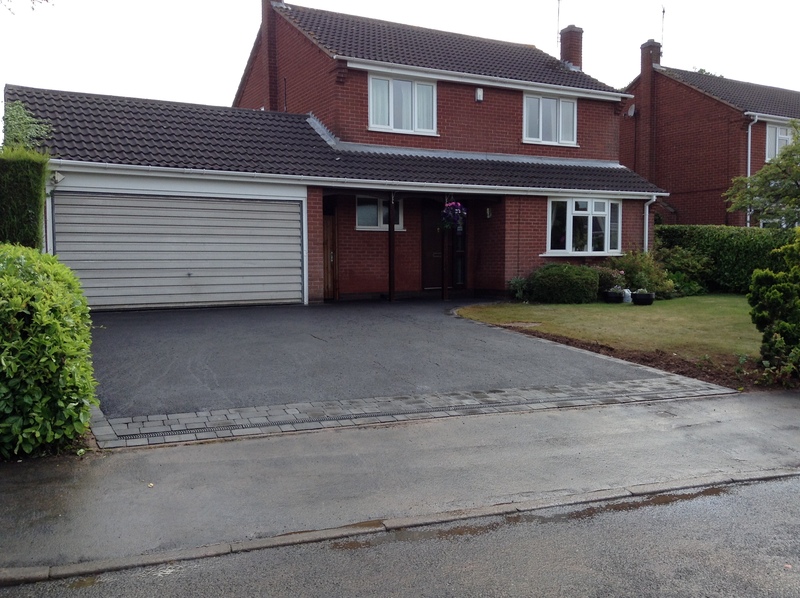 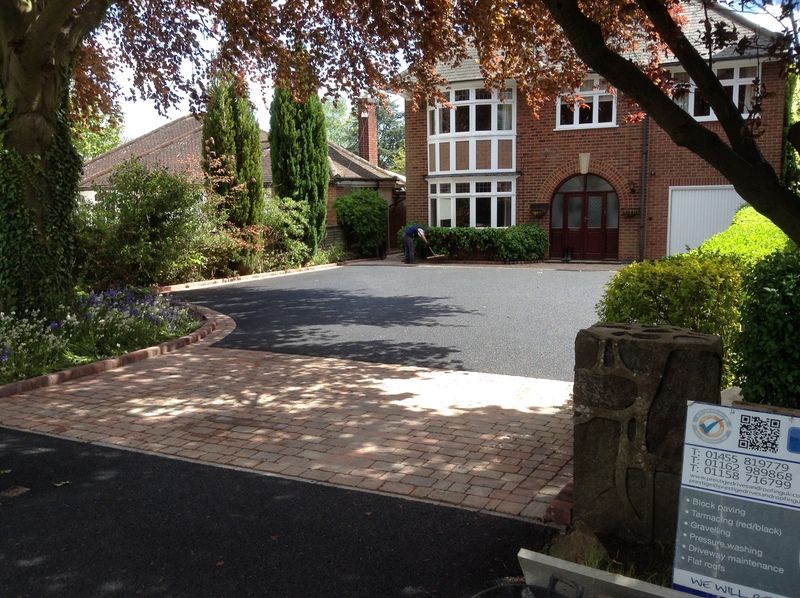 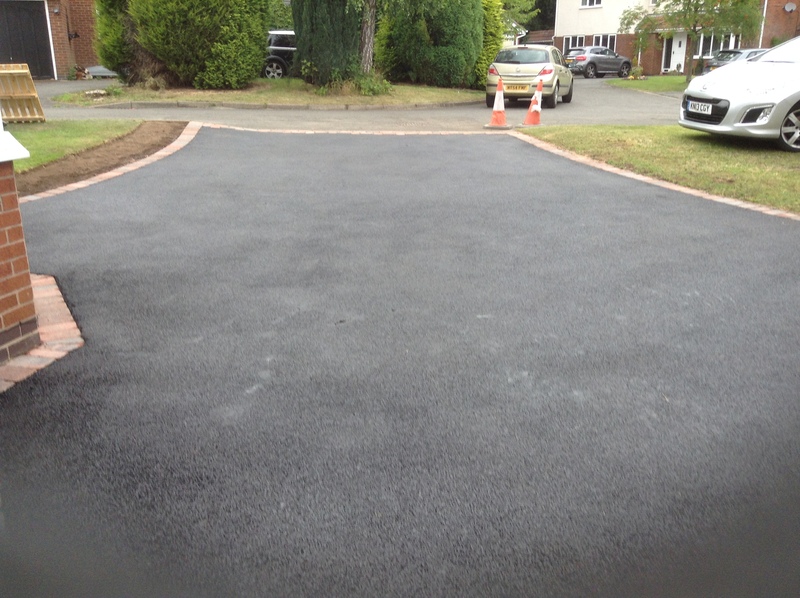 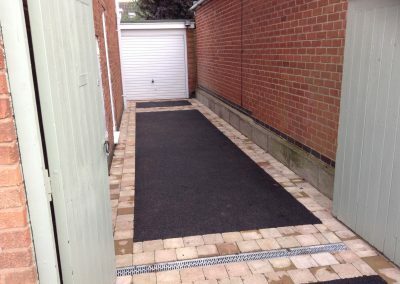 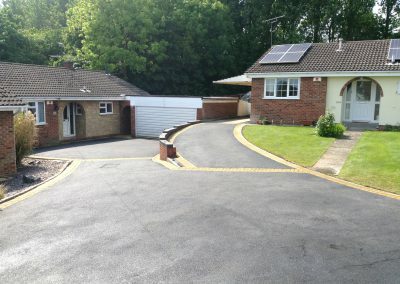 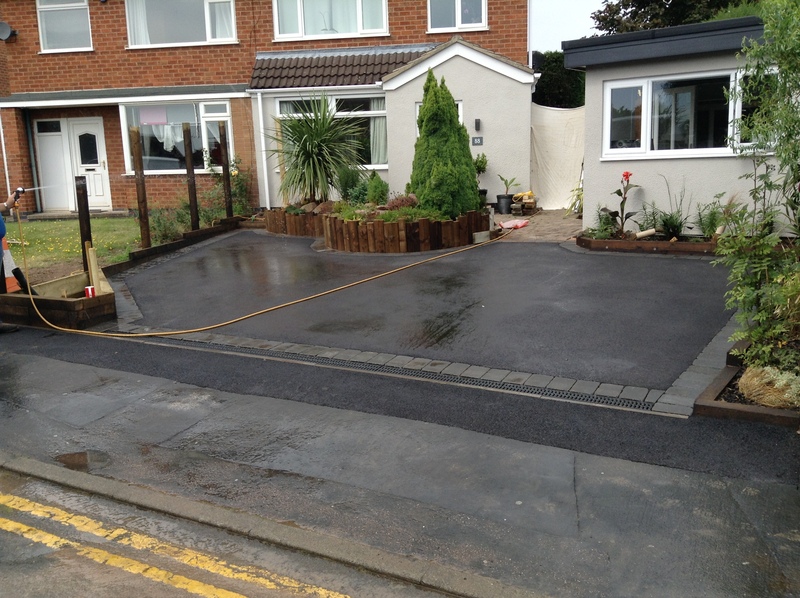 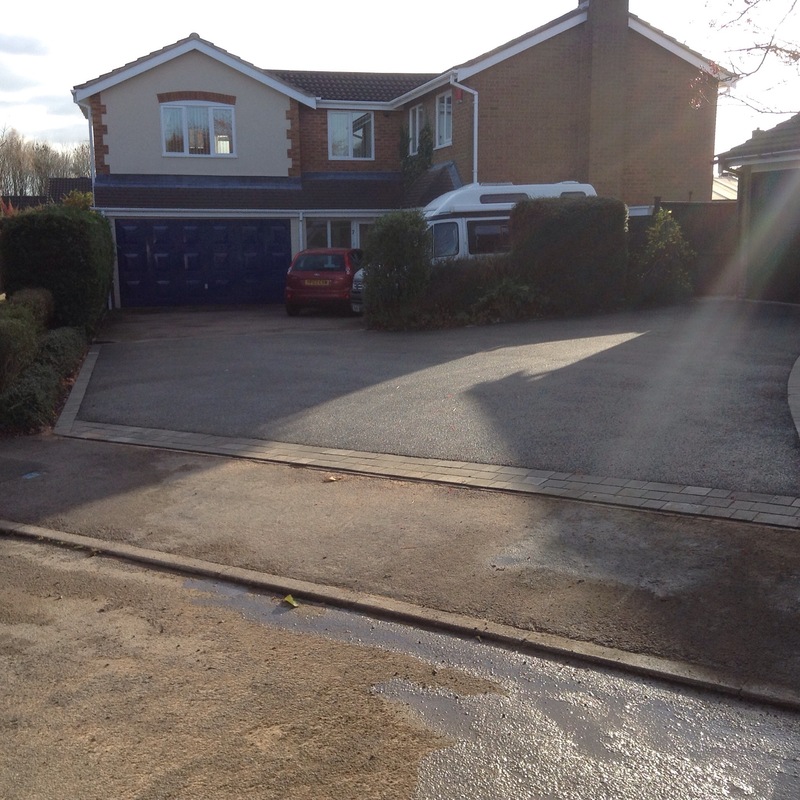 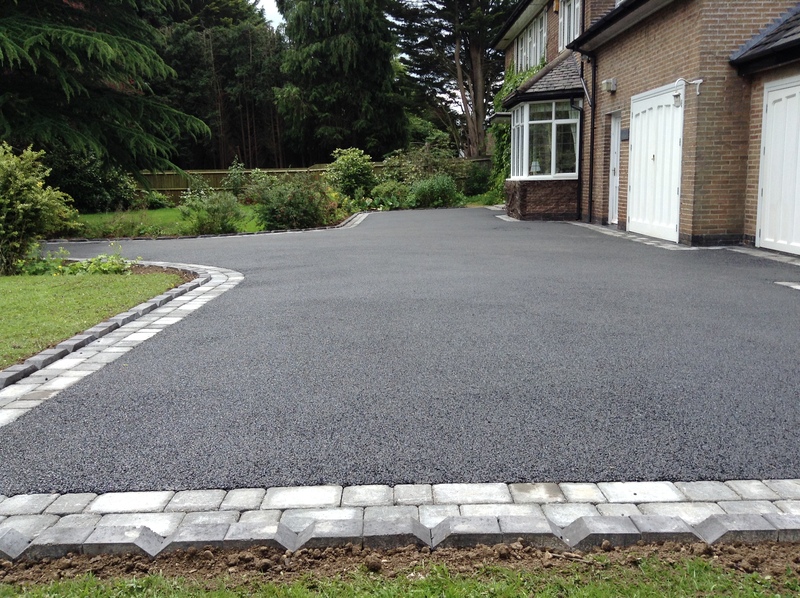 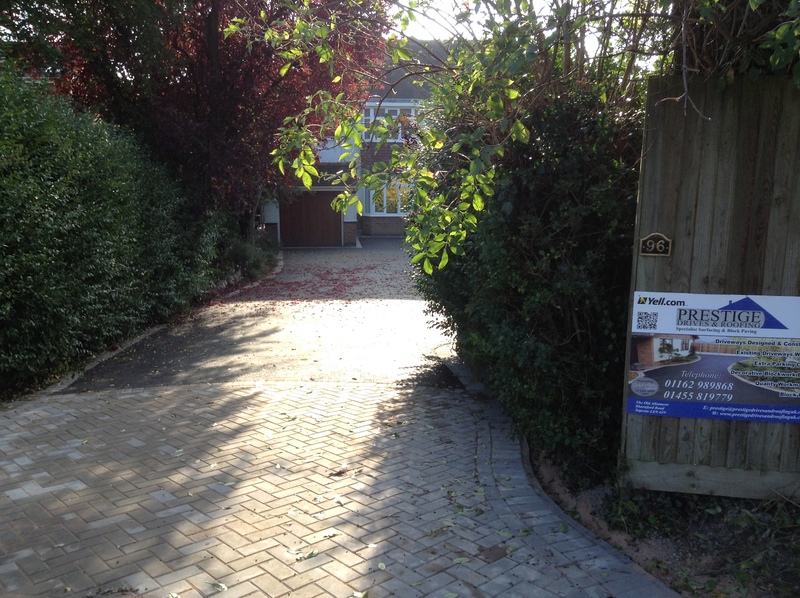 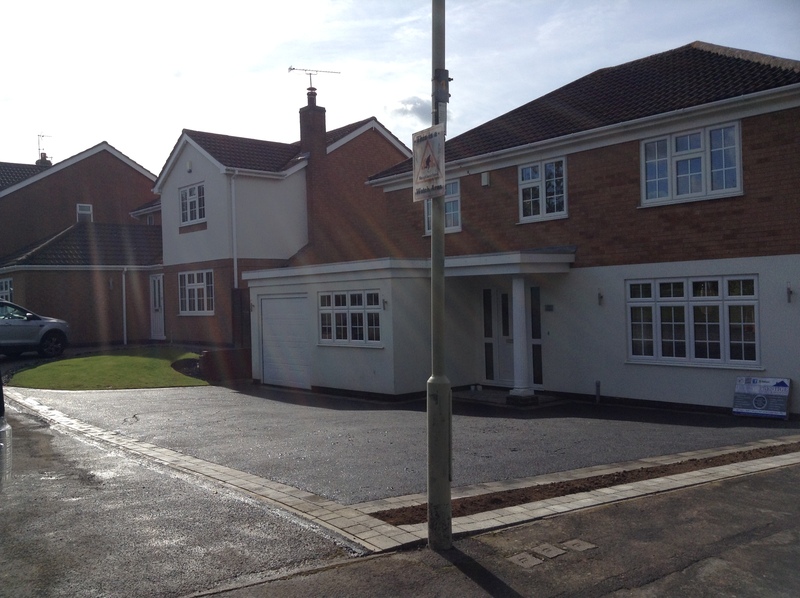 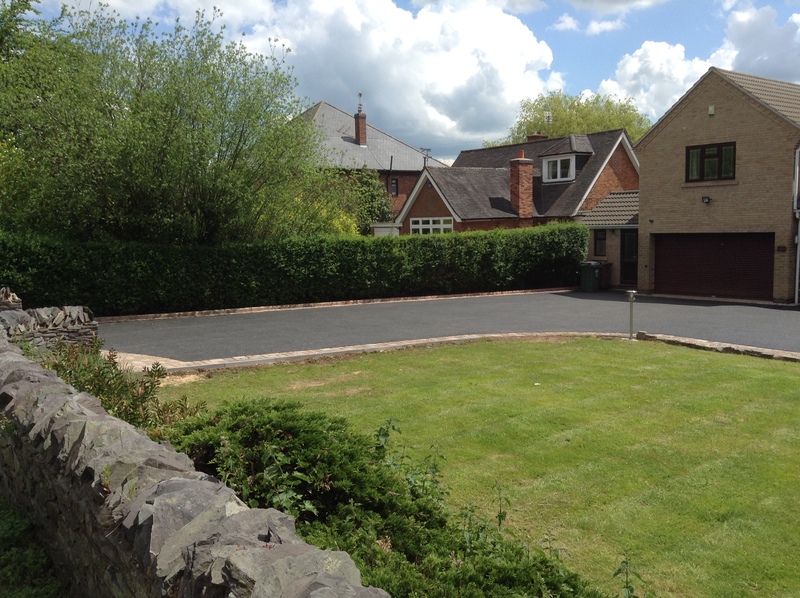 Our most popular driveway features block paving edges and main entrance with the driveway finished in Tarmac. 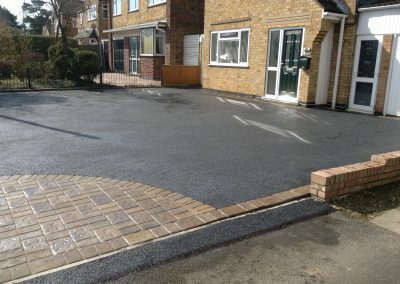 The block pavers provide contrast and strong edges, which prevent the tarmac from deteriorating over time, especially where edges are prone to the weather. 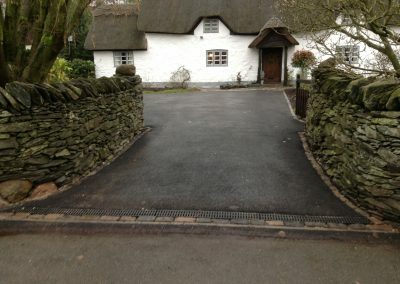 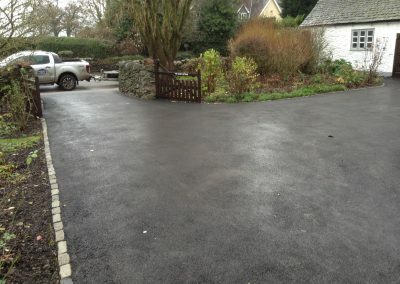 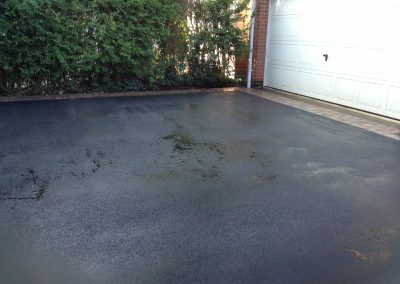 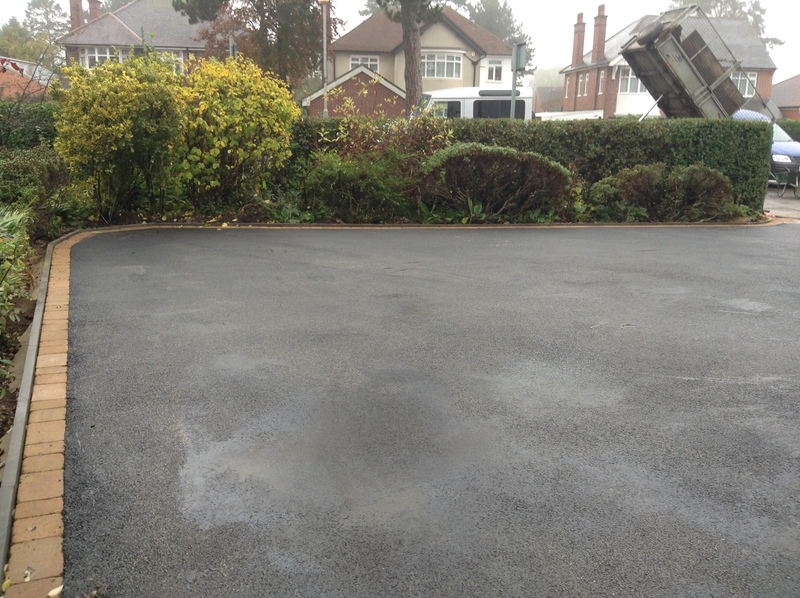 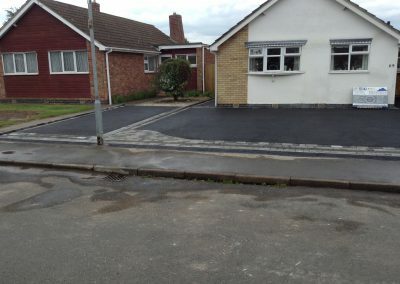 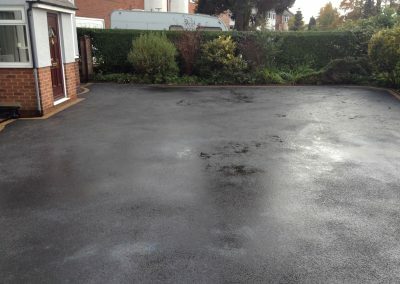 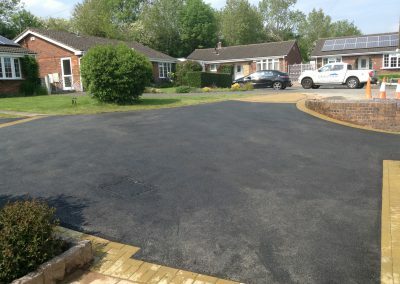 A really good feature of tarmac is that it requires very little maintenance and cleaning. 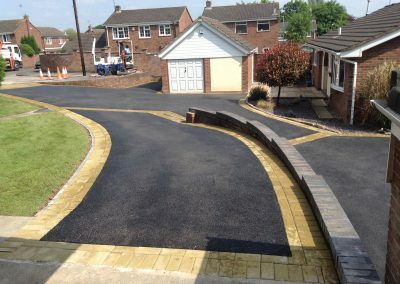 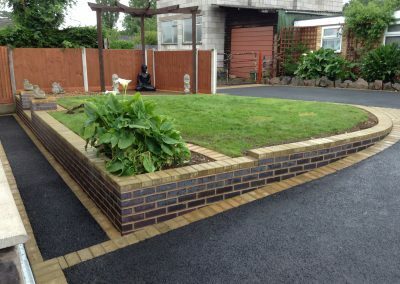 Block paving is a really good choice for driveways, patios and paths because there are plenty of contrasting colours to choose from, and we can also install the blocks in various layouts. 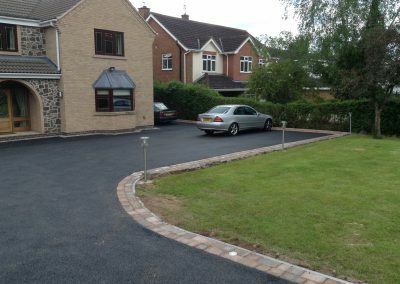 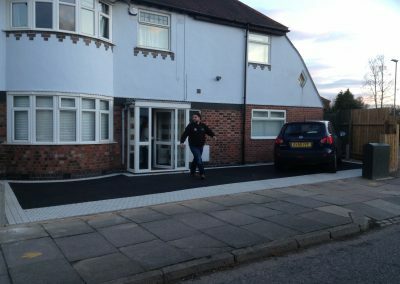 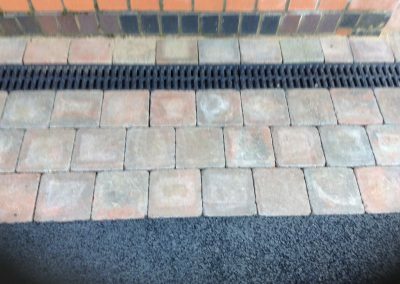 Block paving is really effective when used on driveways on modern properties because it modernises the landscape around the home. 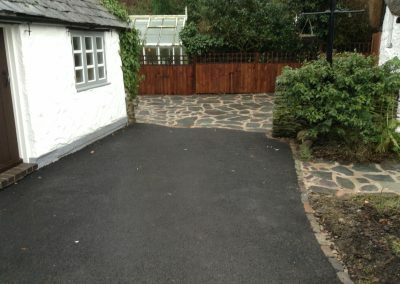 Cobble paving is ideal on character properties where you want to maintain the aged look and feel of the dwelling. 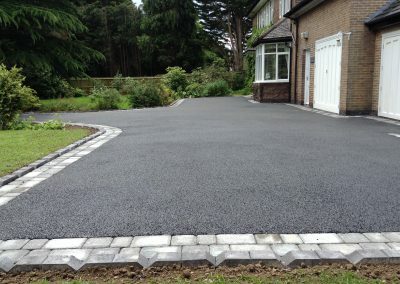 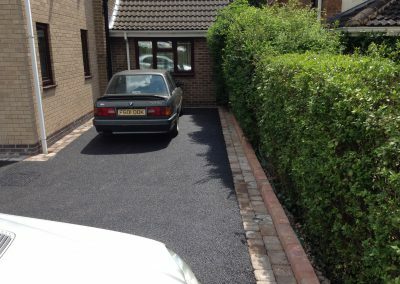 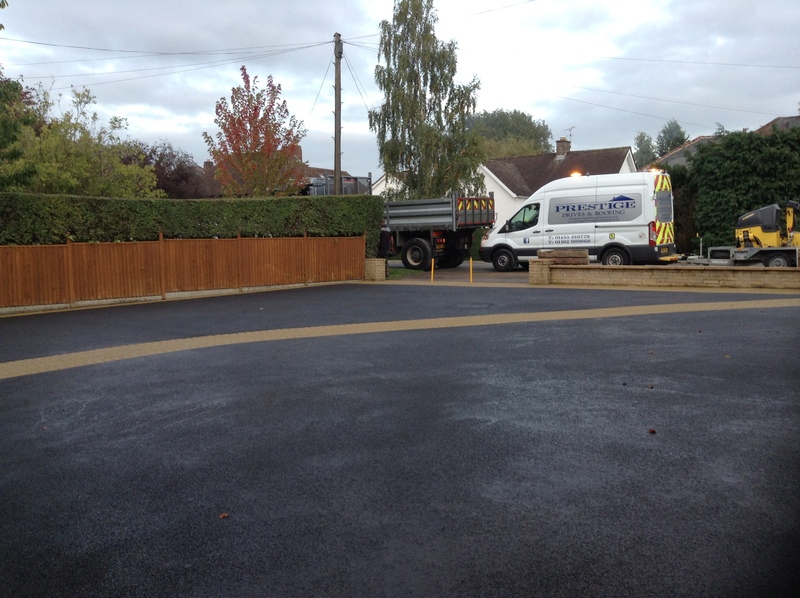 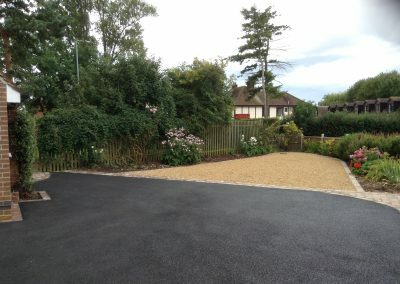 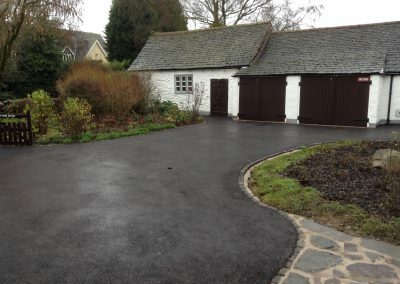 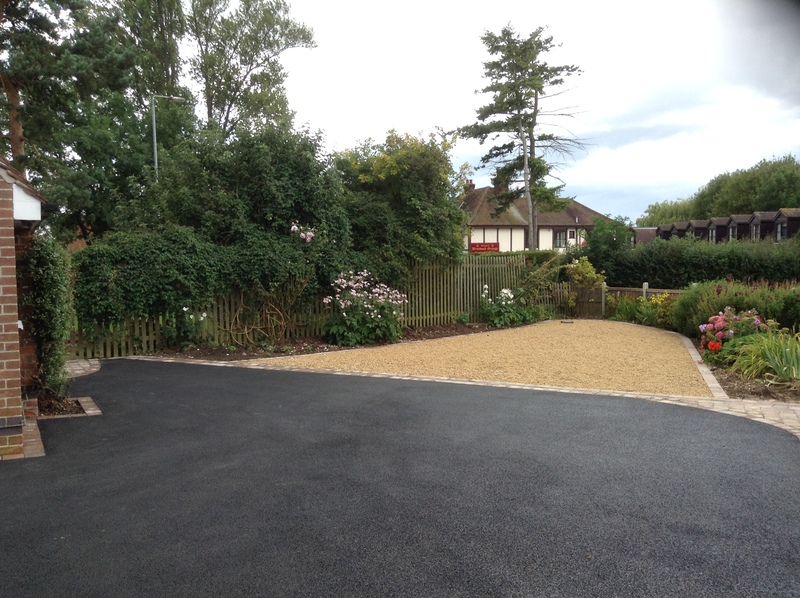 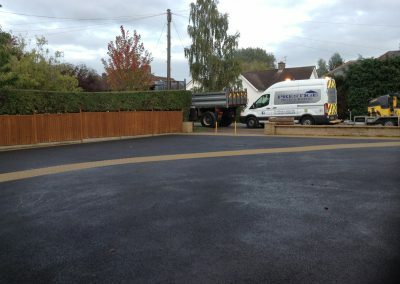 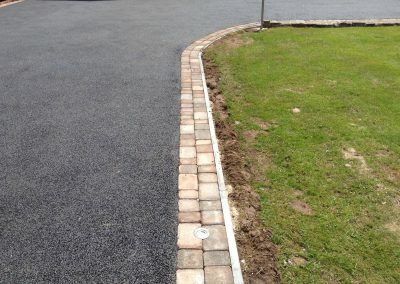 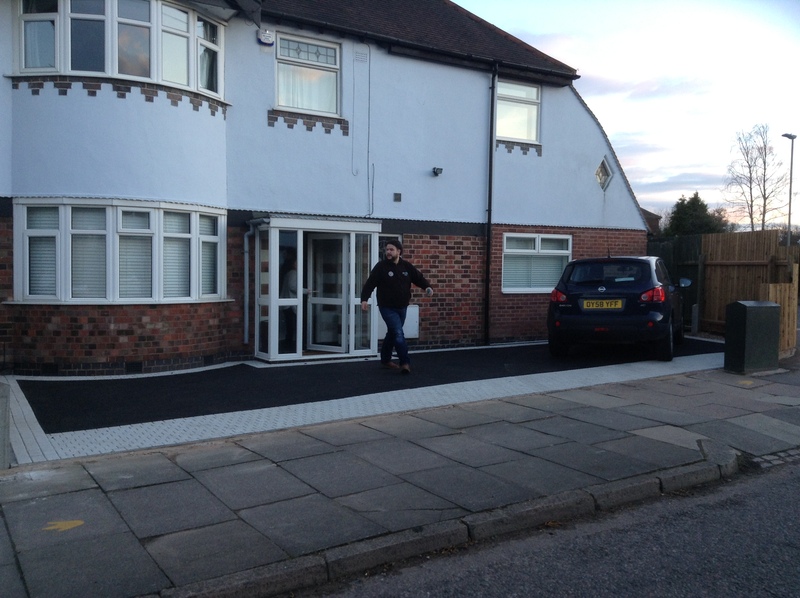 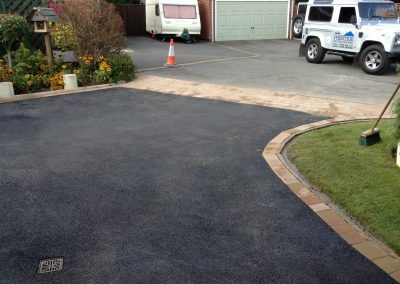 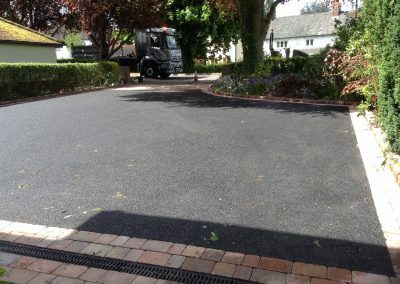 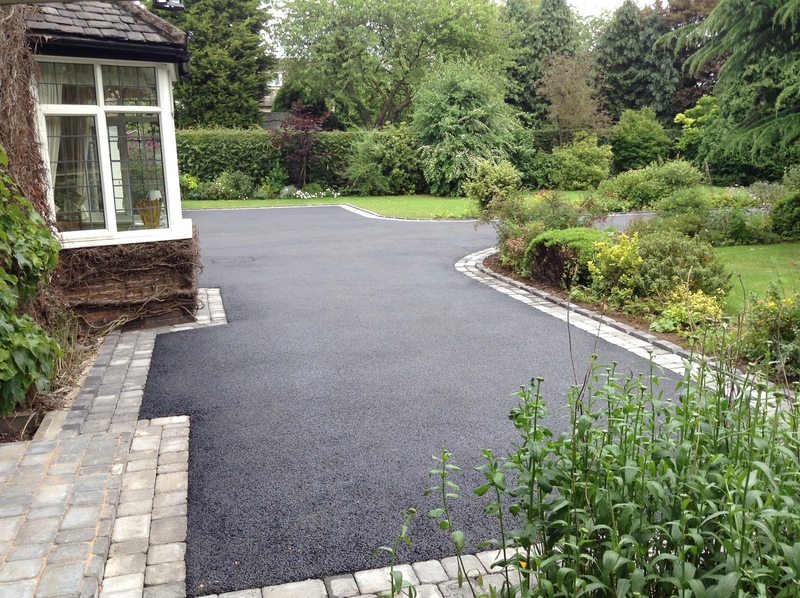 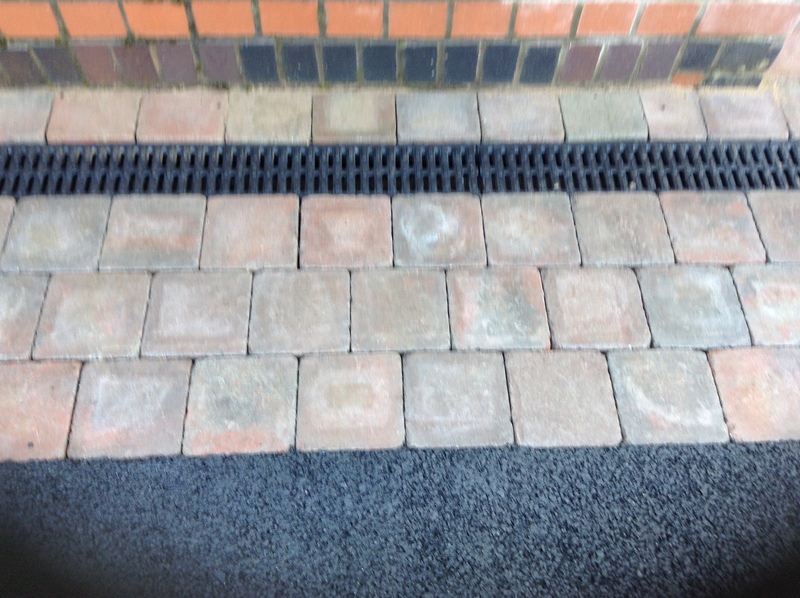 Resin is an attractive permeable driveway surface that complies with building regulations and is SUDS compliant. 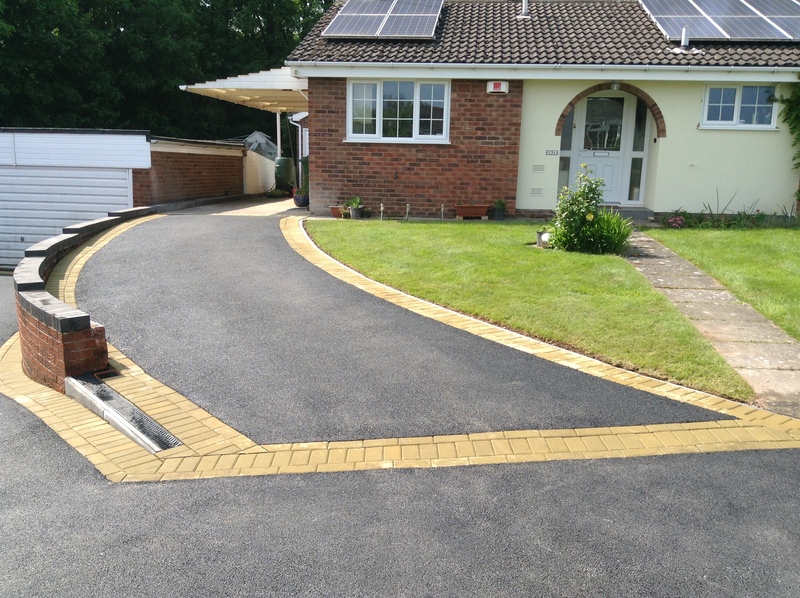 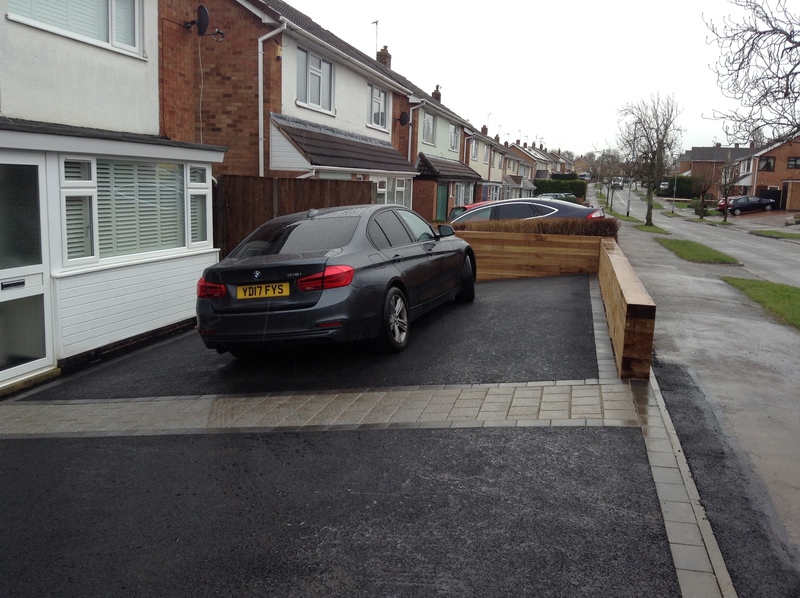 SUDS is a requirement for modern driveways to reduce the impact and risk of flooding. 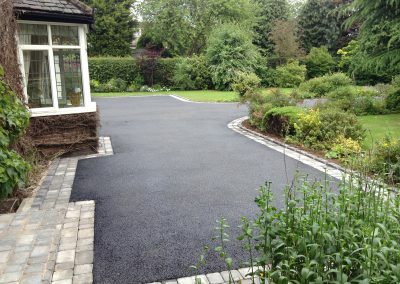 Resin driveways are comprised of a dried aggregate bound in resin. The resin essentially glues the new surface in place, creating a hard wearing, low maintenance surface.